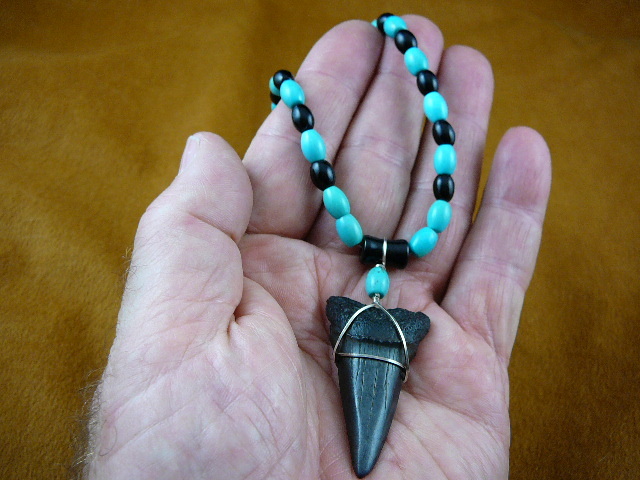 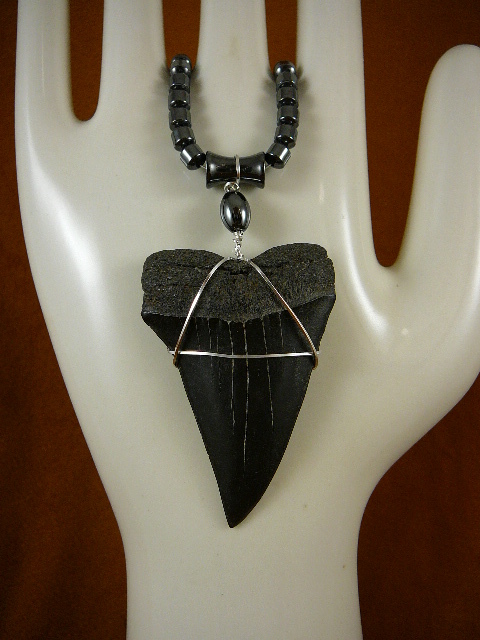 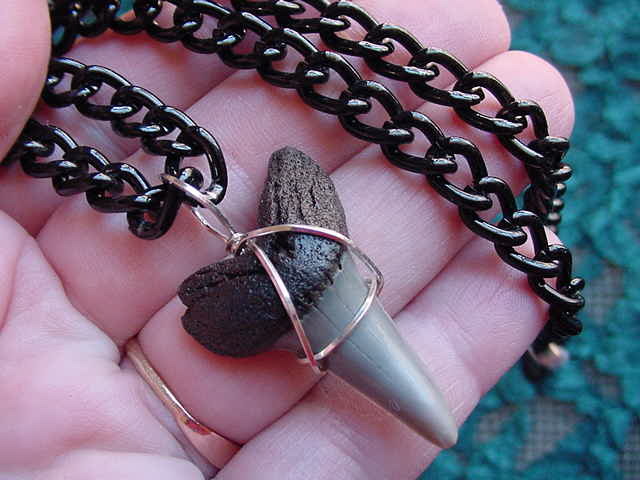 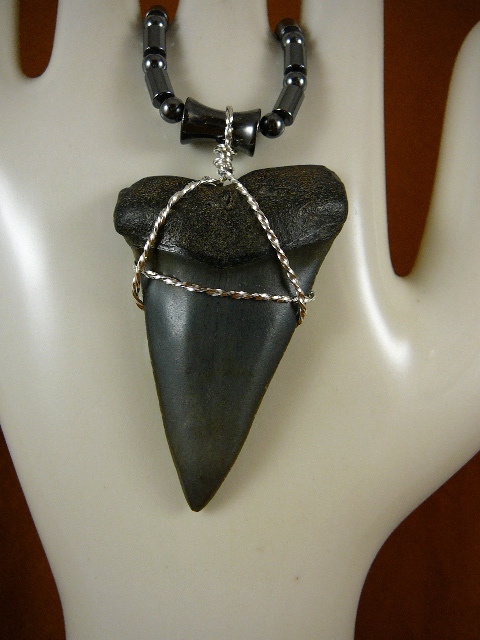 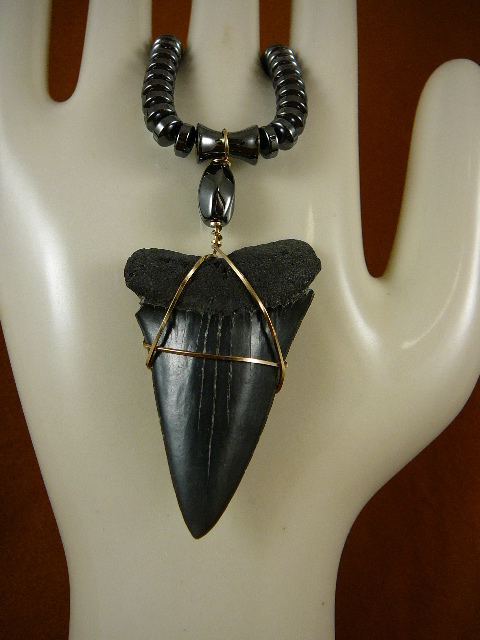 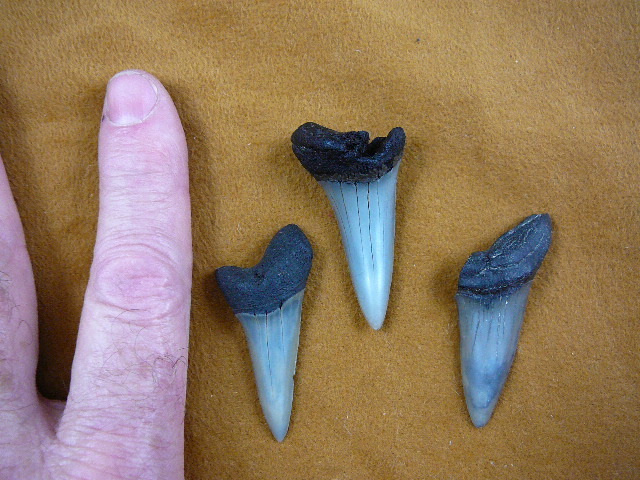 The mako shark has long sharp curved teeth up to 2-1/2" long. 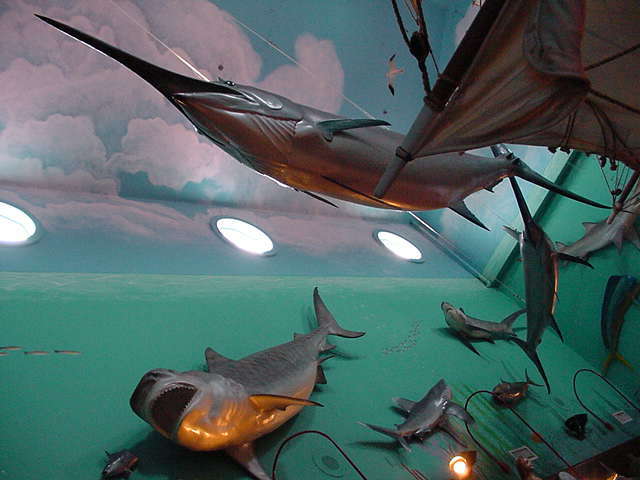 The modern day version is a sport fish that jumps like swordfish. 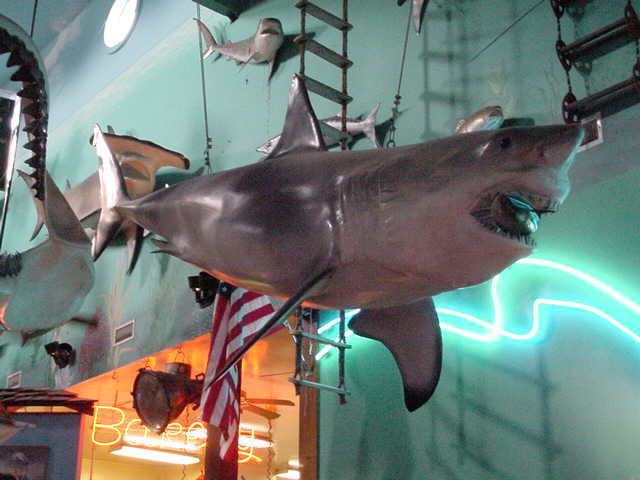 The torpedo in World War II was fashioned from his streamlined shape. 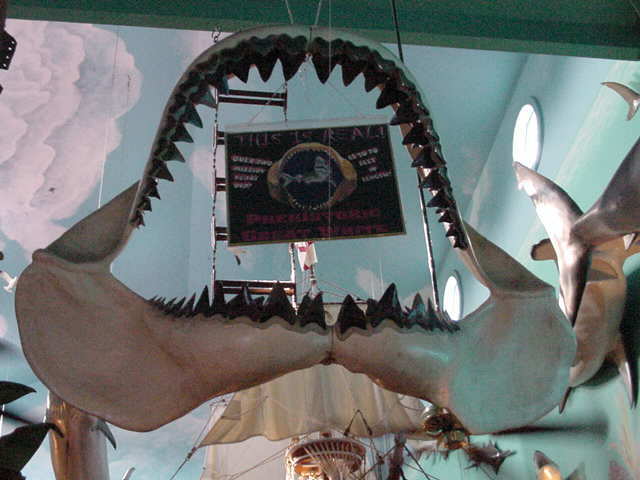 It grows to ten feet and a half a ton. 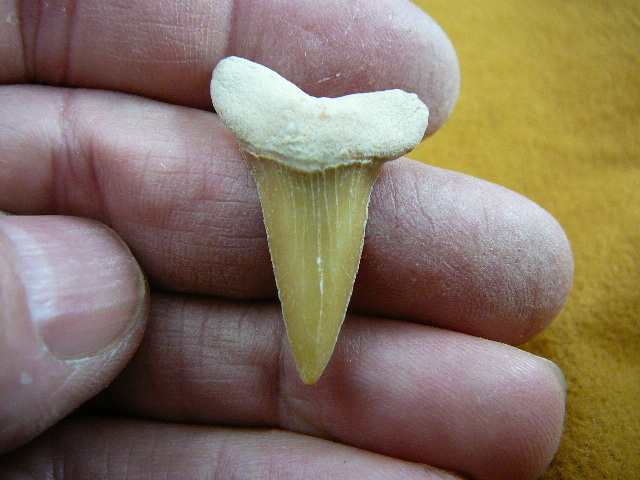 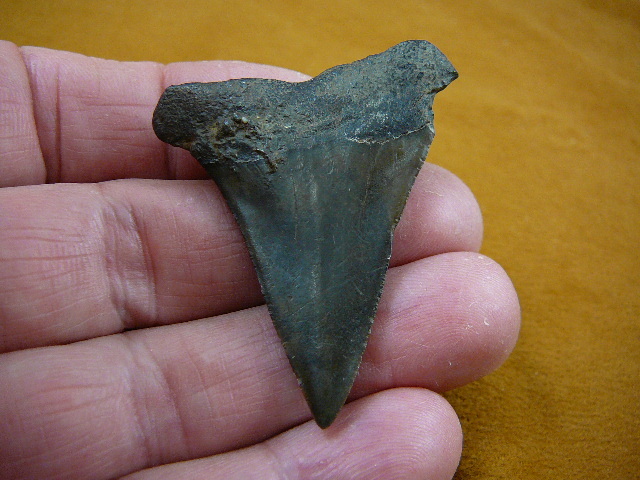 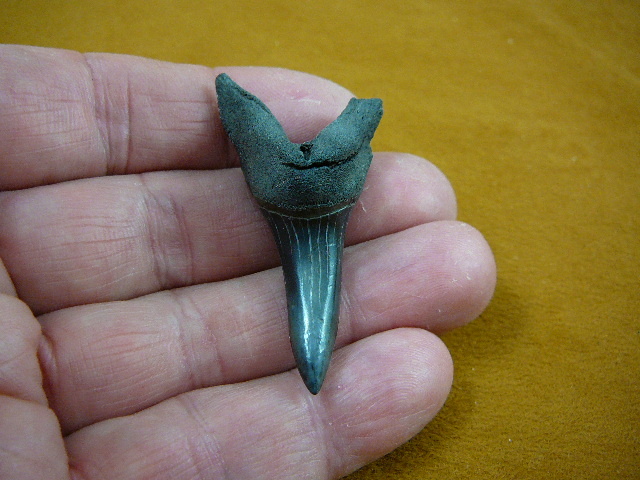 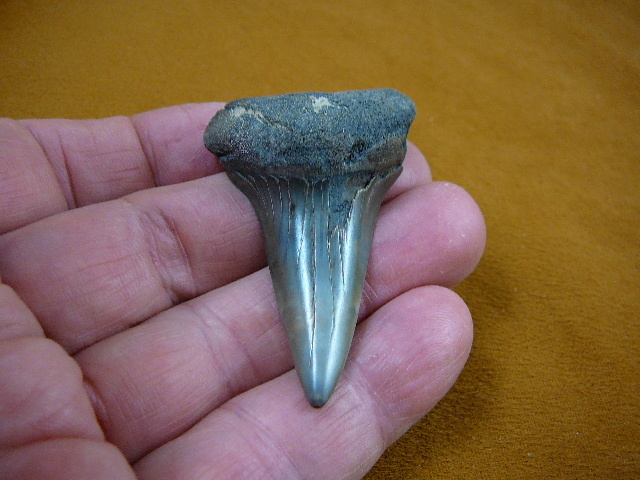 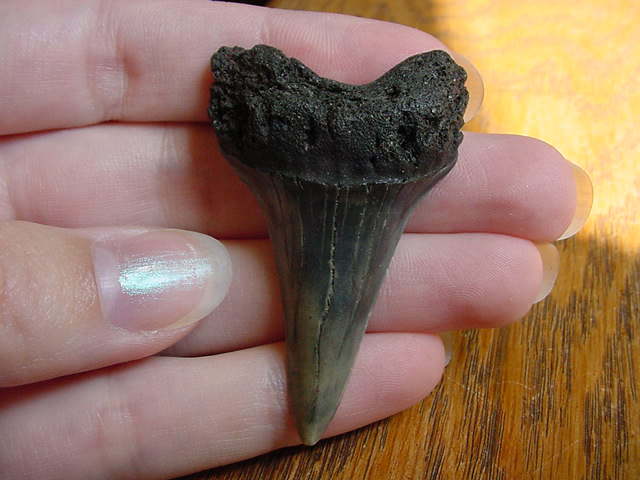 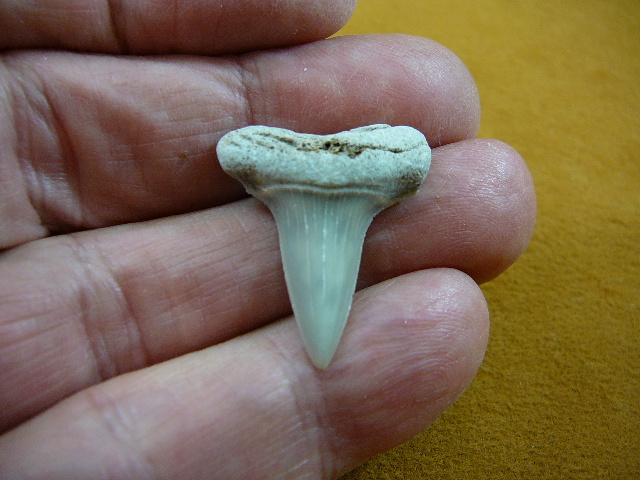 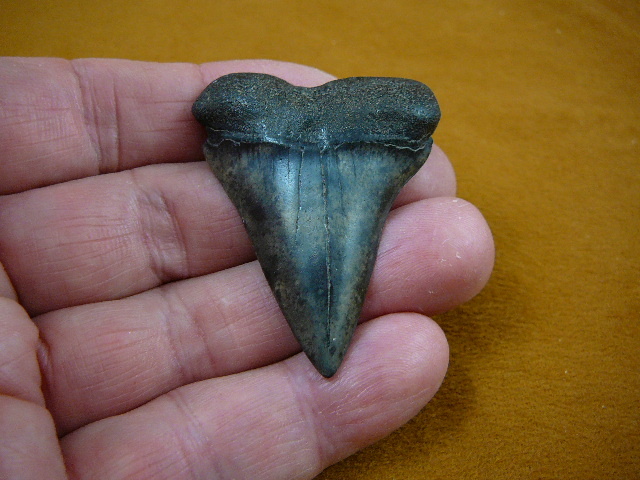 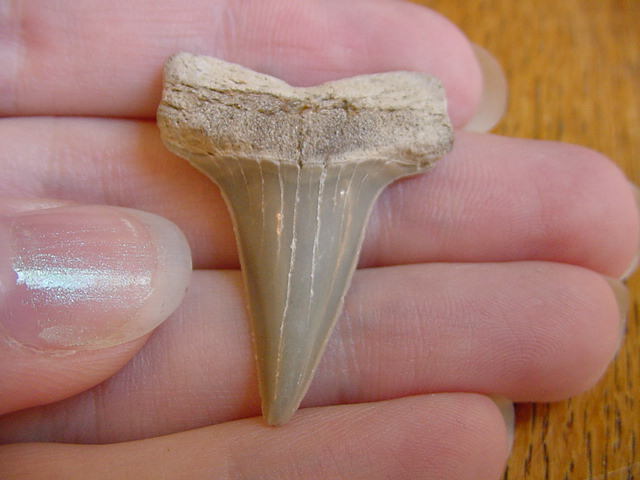 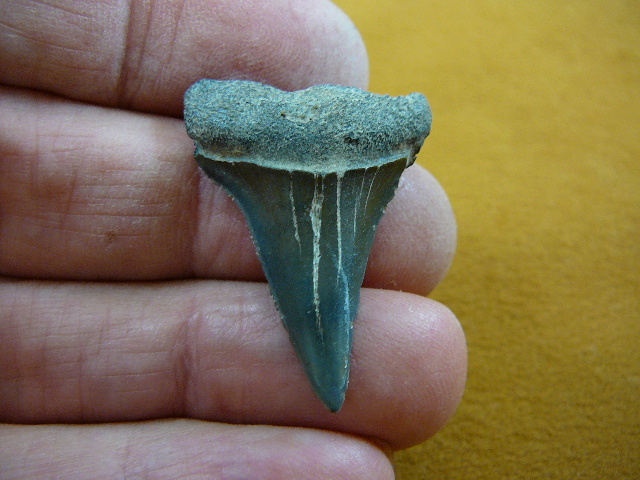 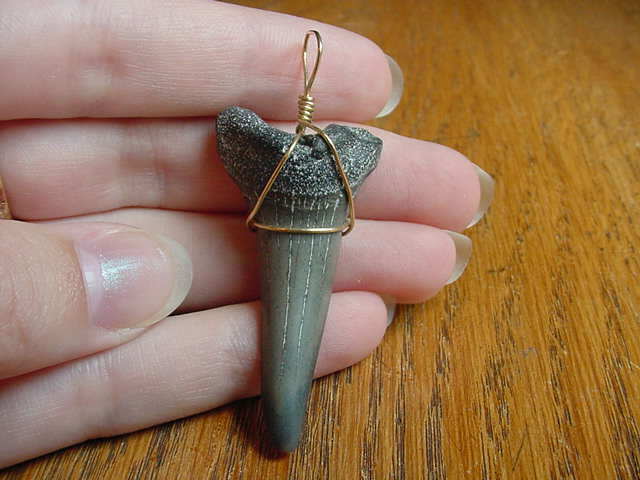 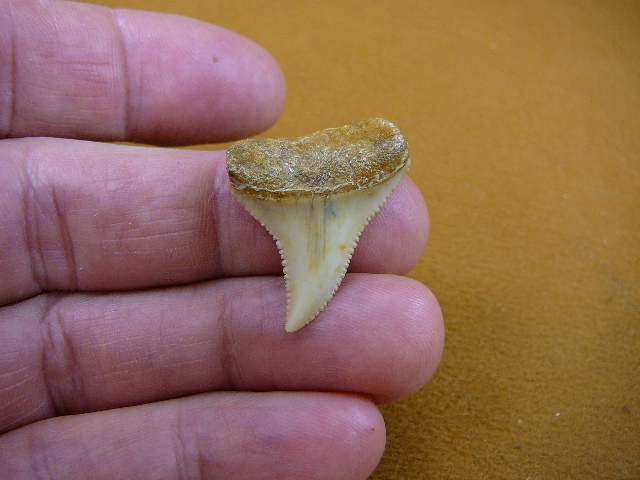 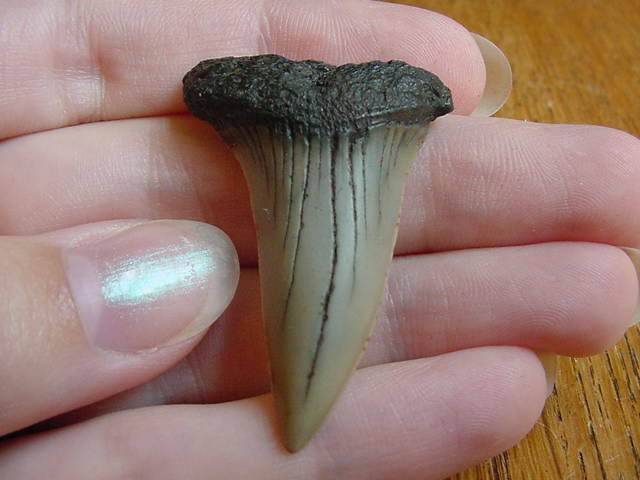 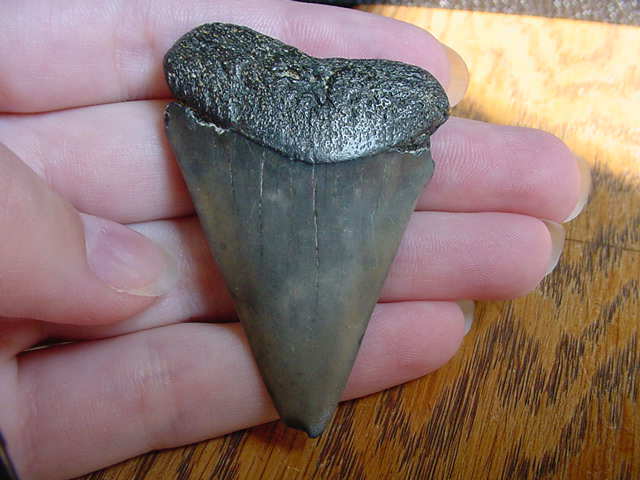 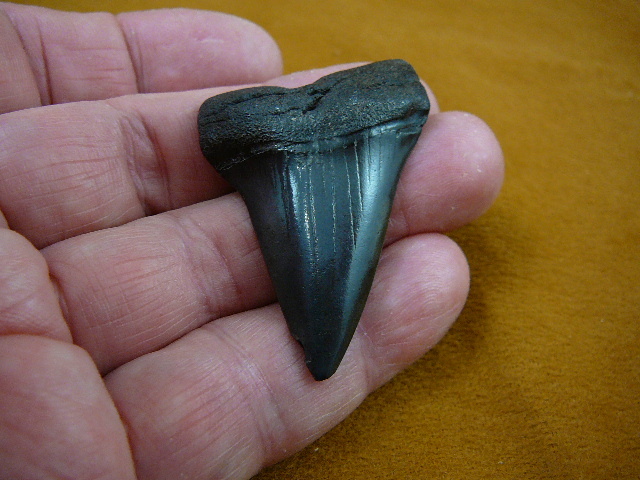 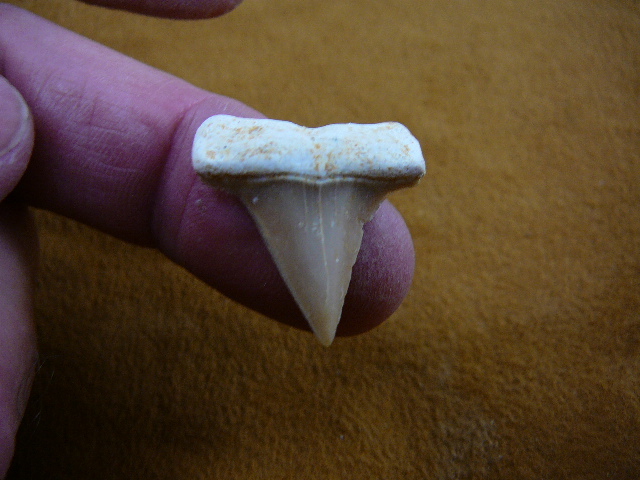 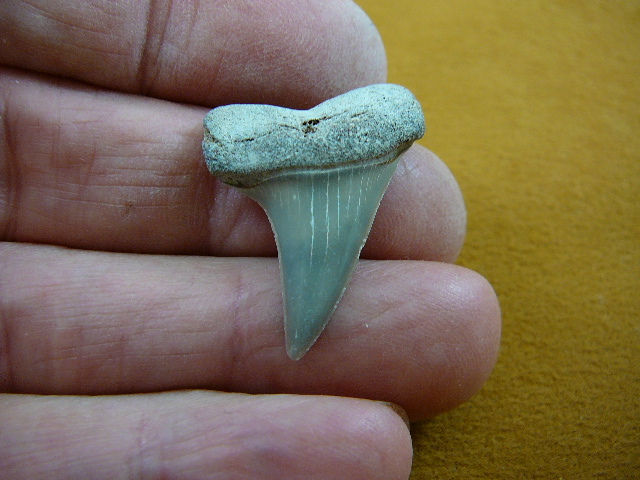 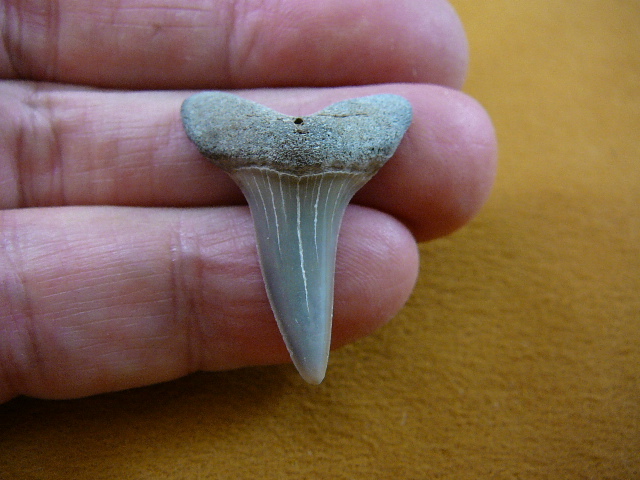 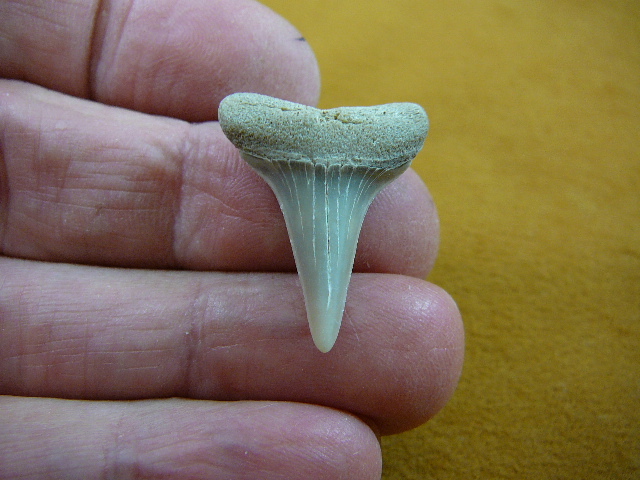 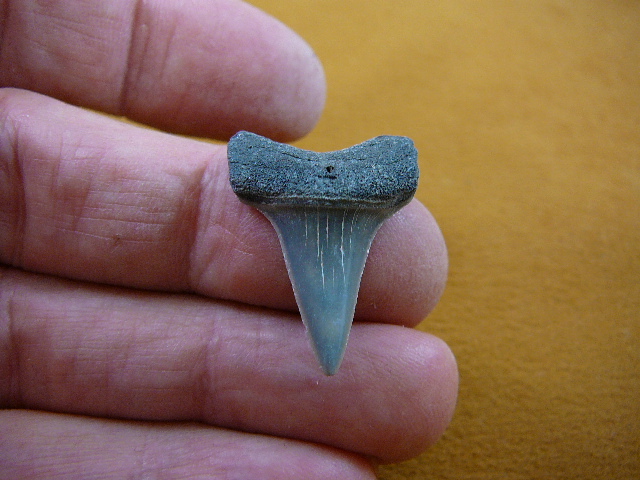 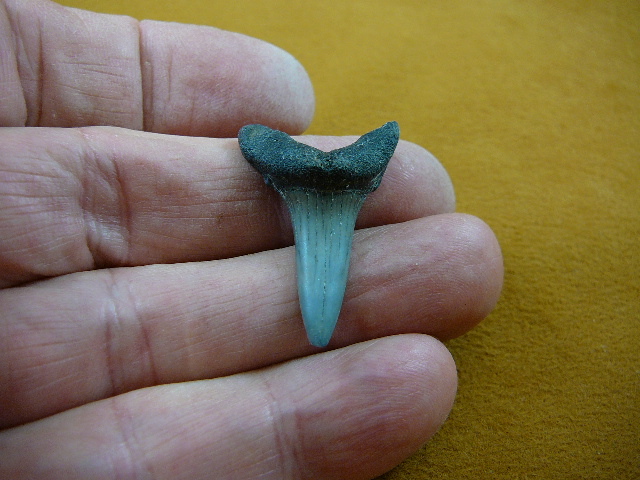 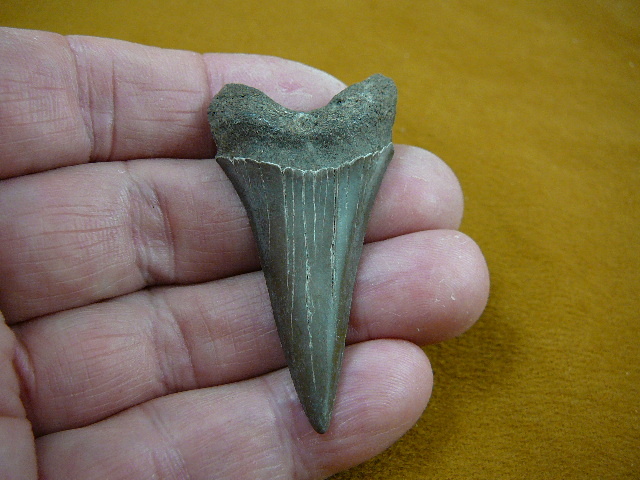 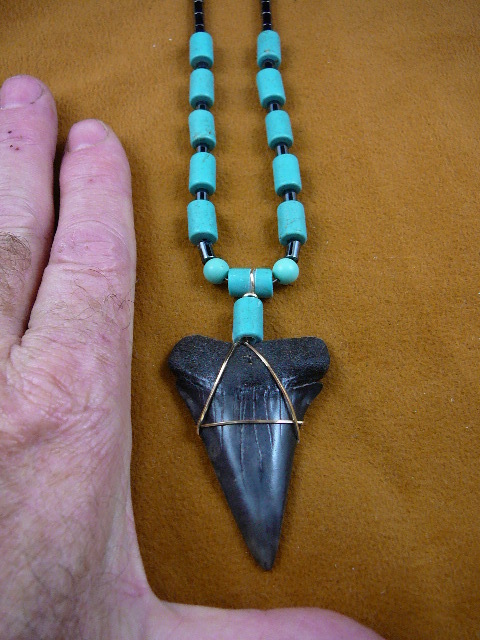 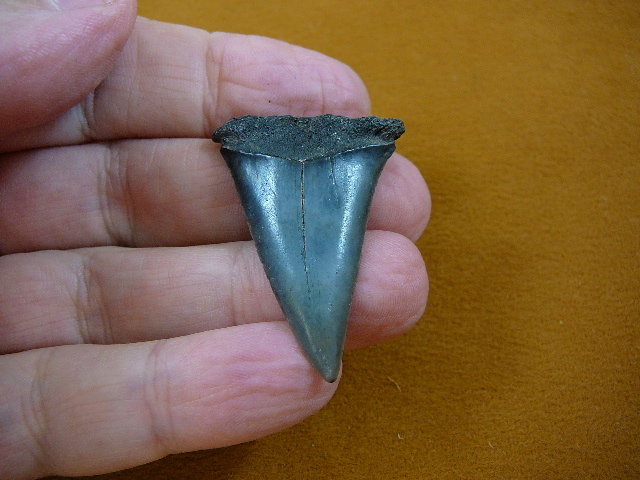 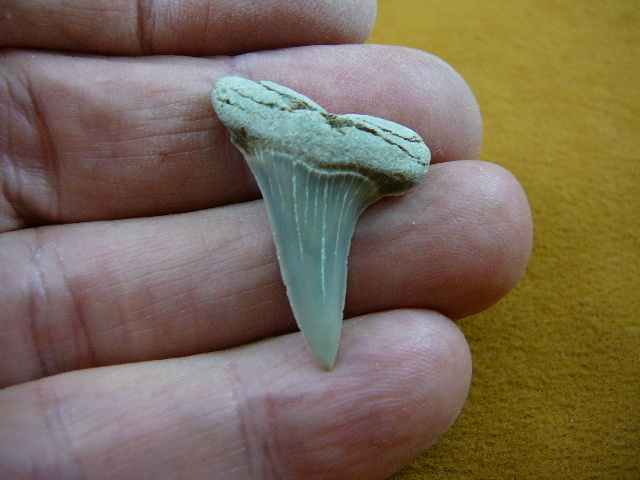 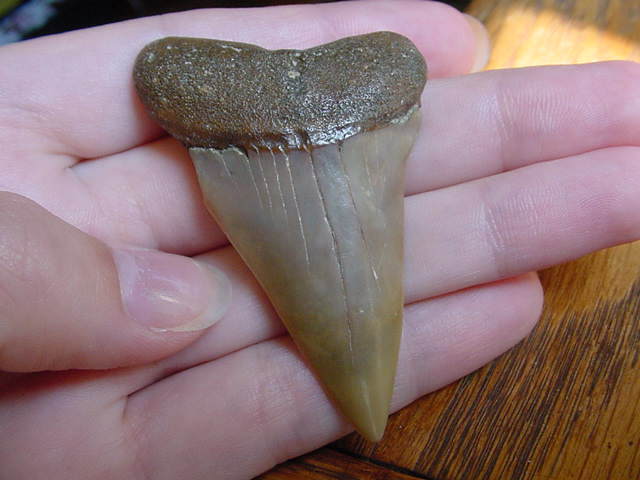 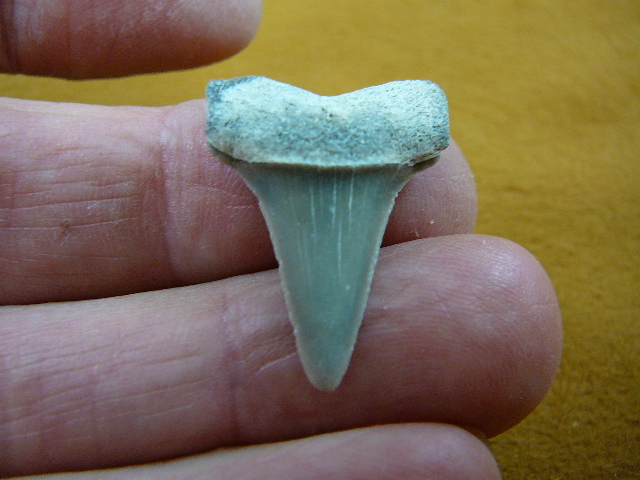 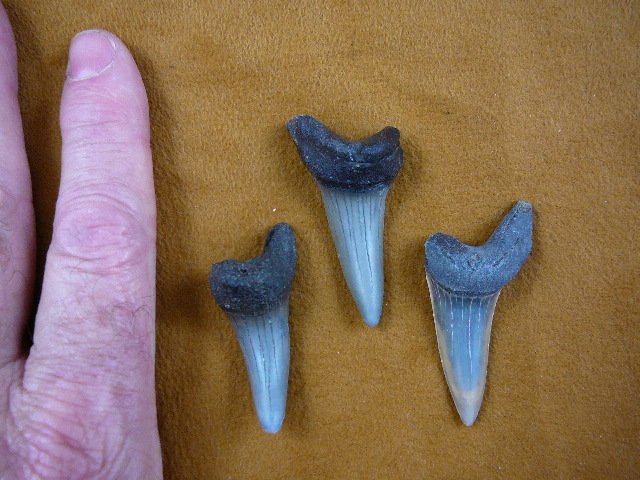 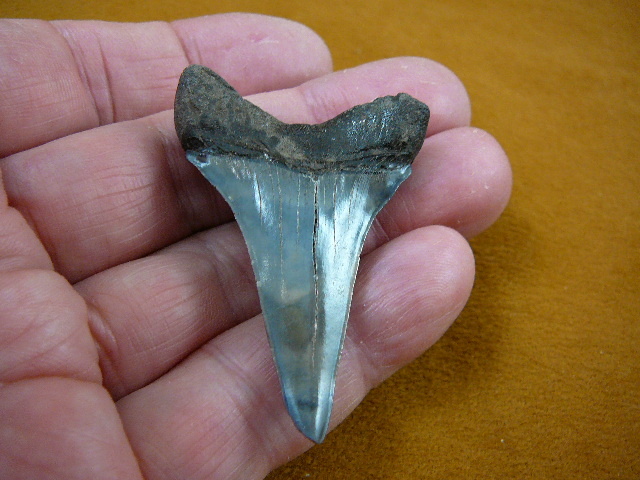 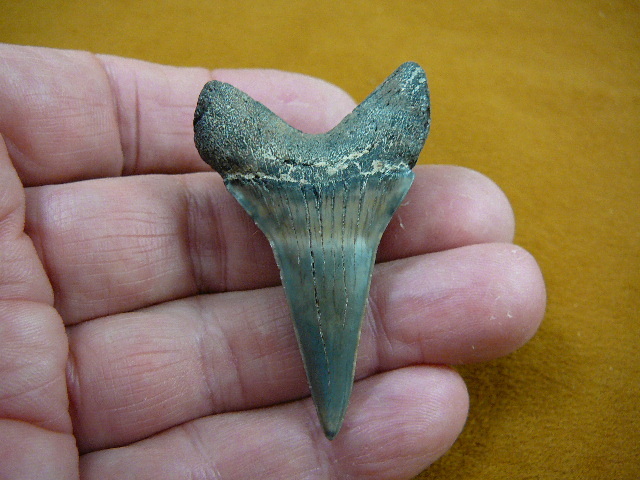 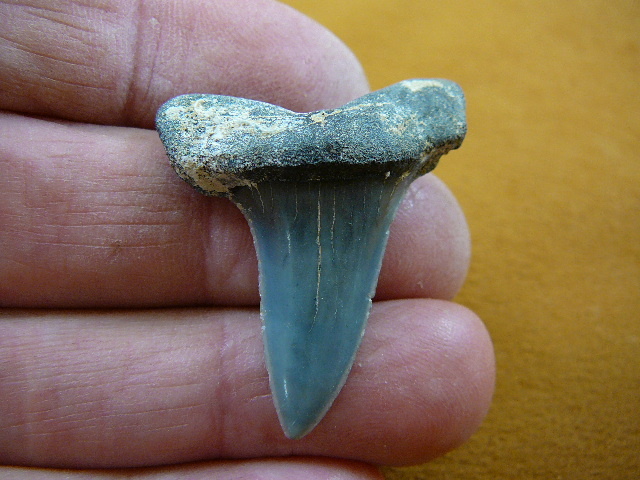 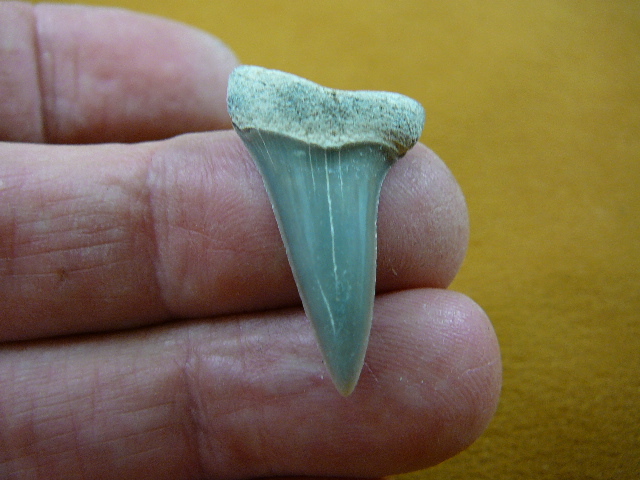 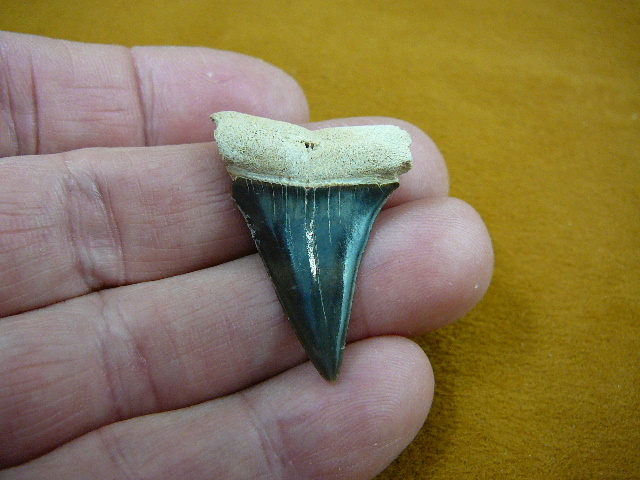 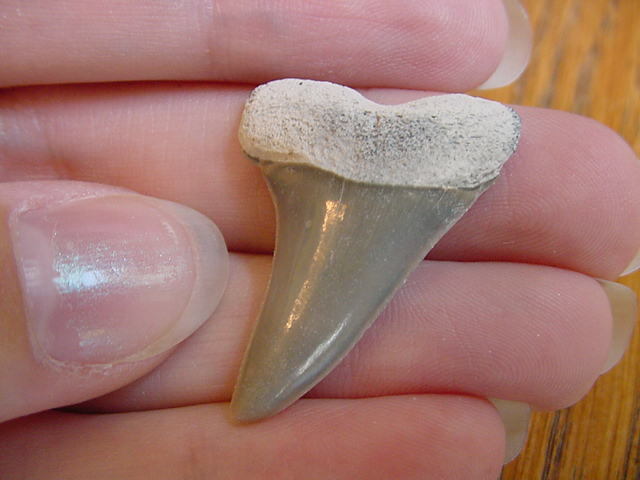 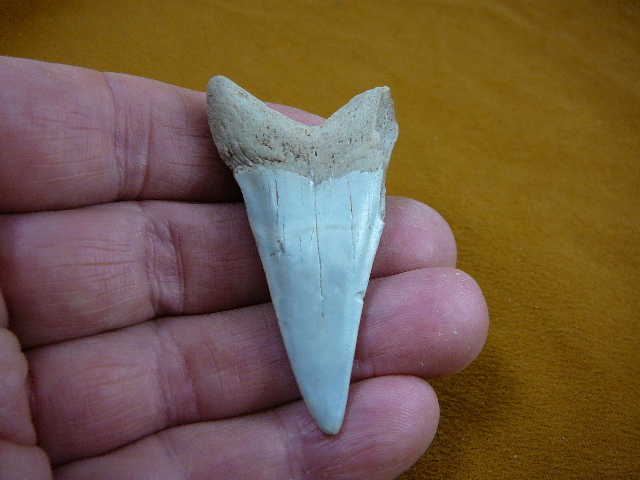 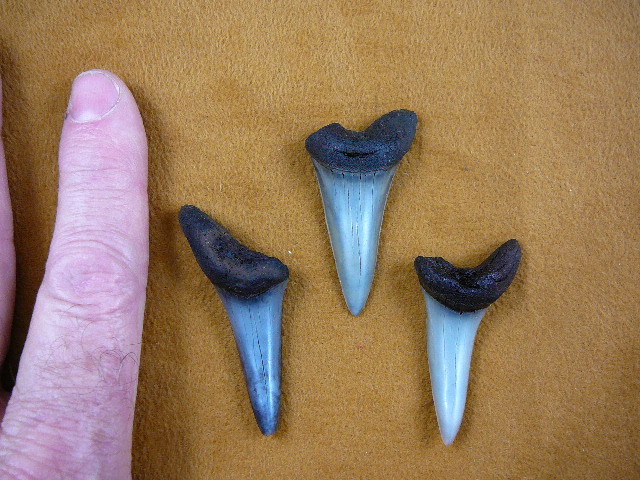 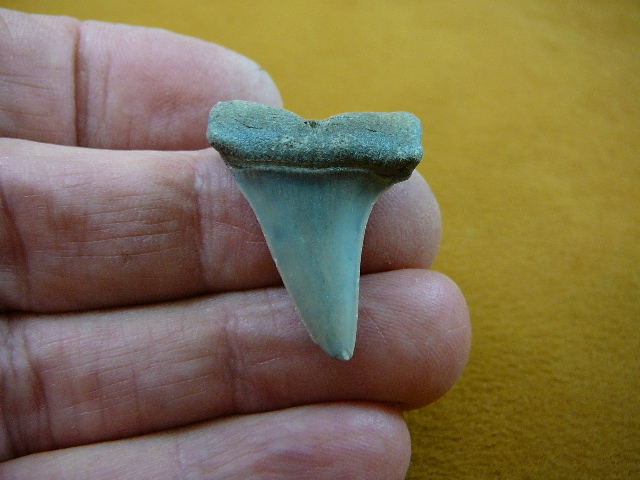 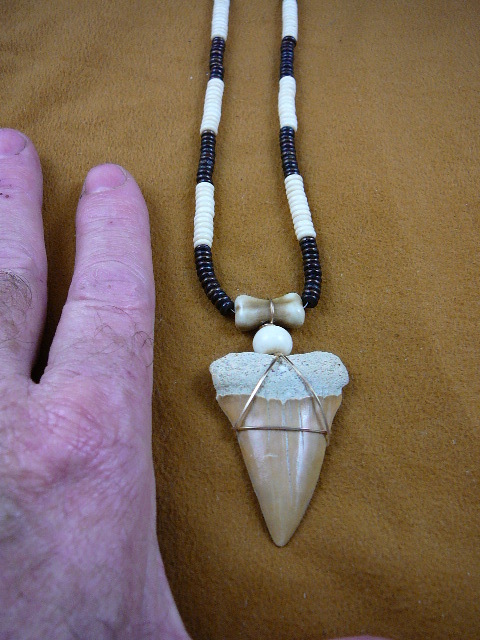 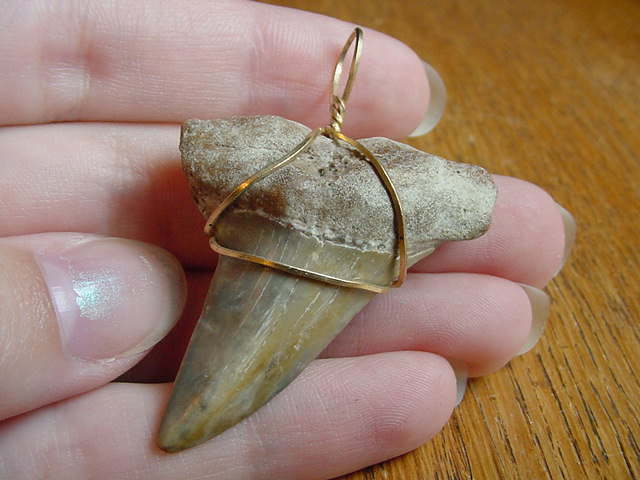 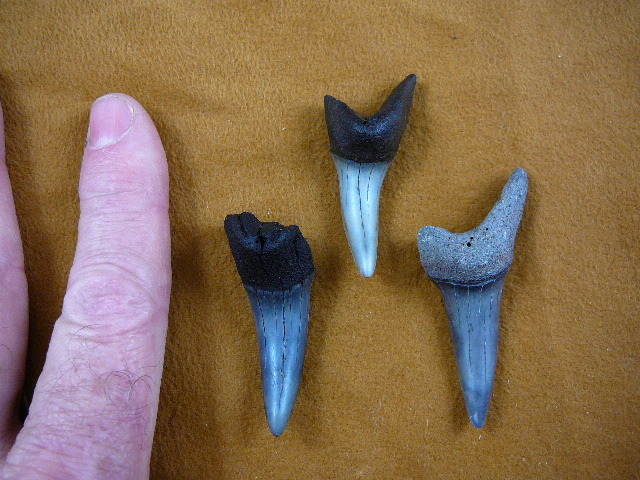 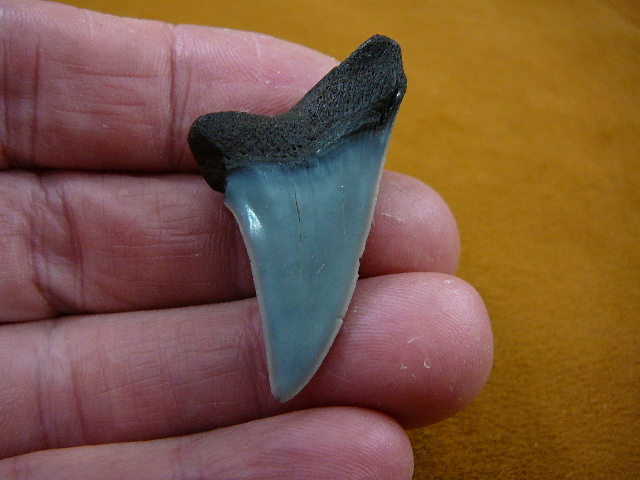 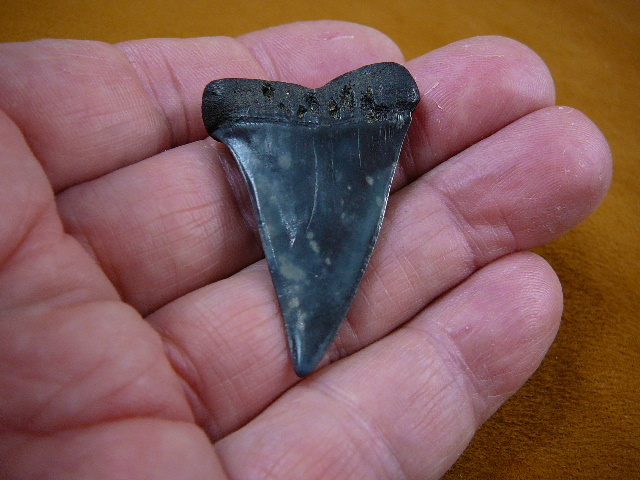 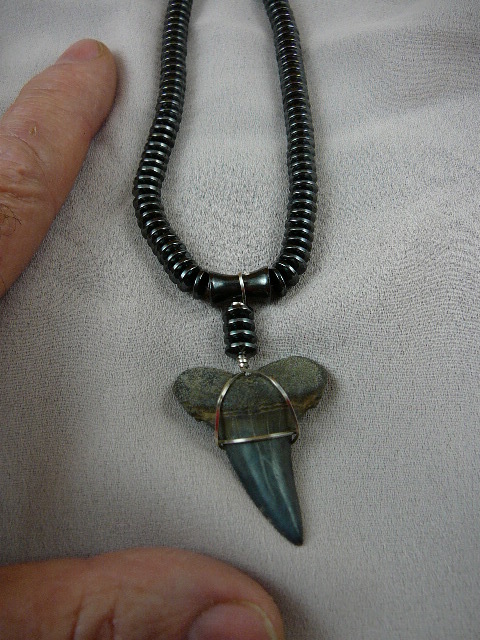 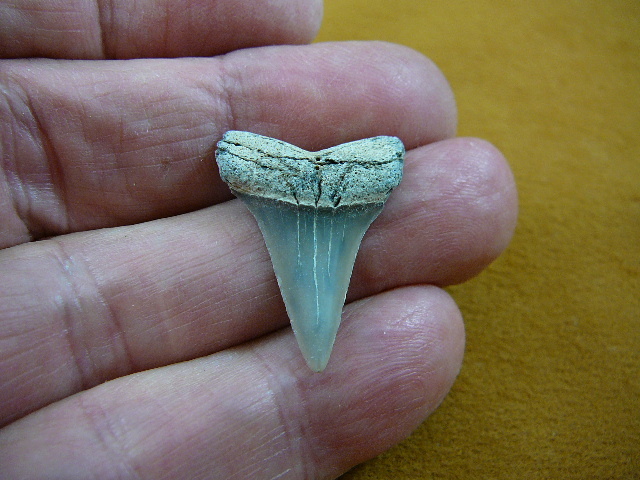 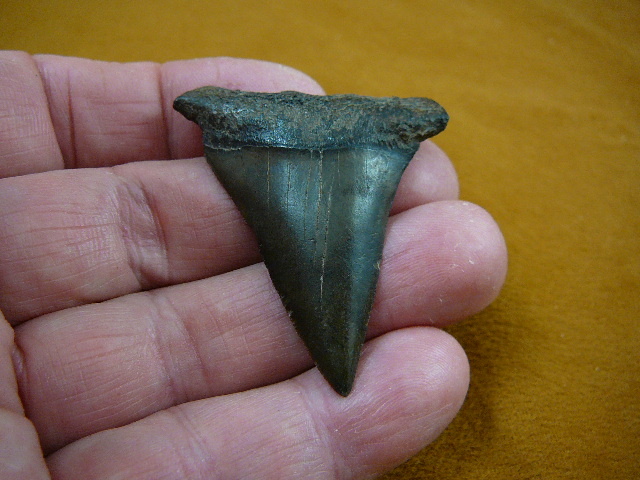 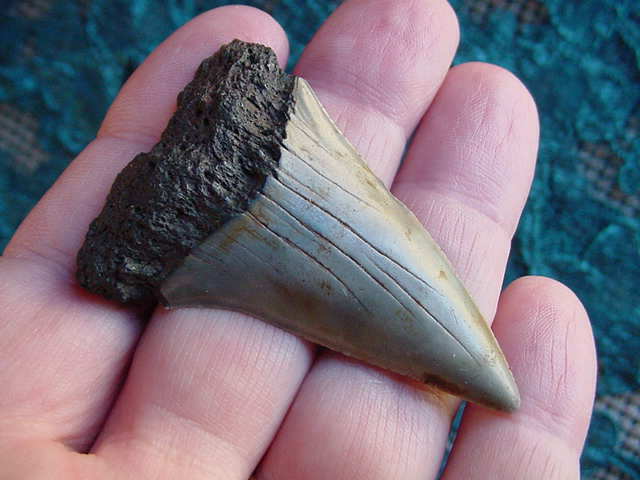 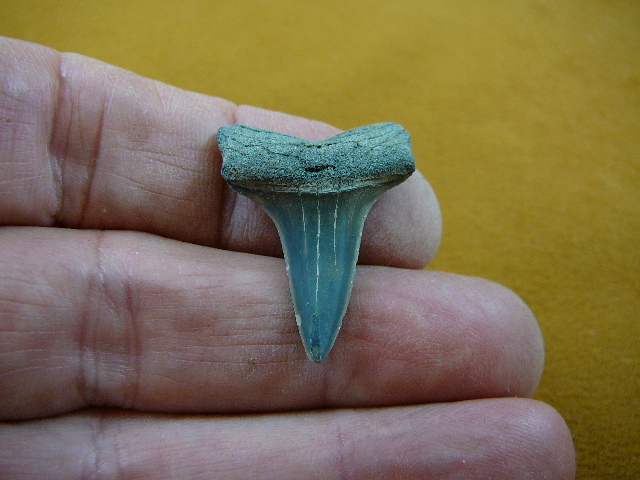 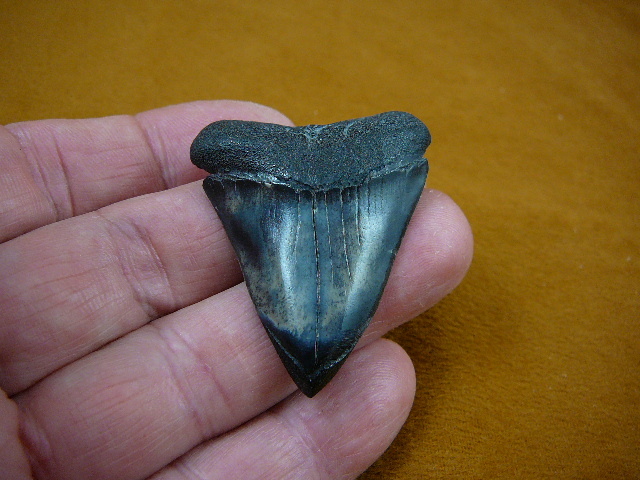 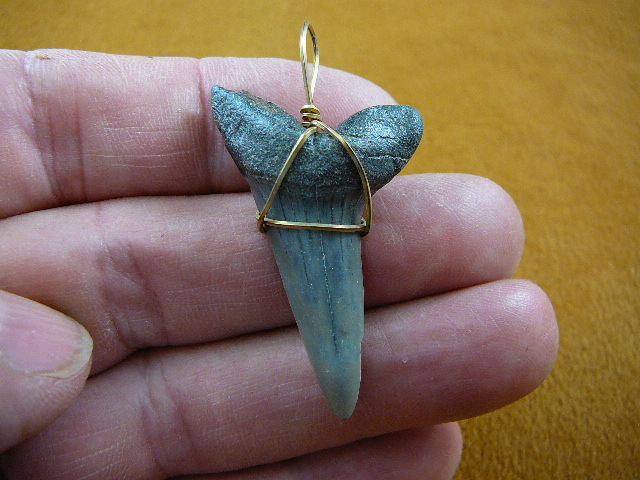 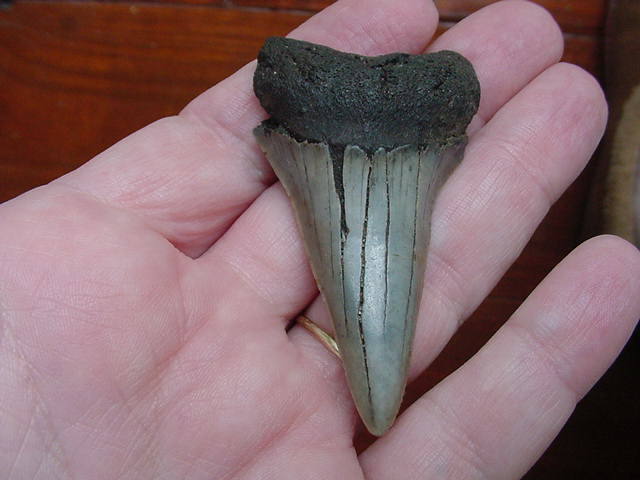 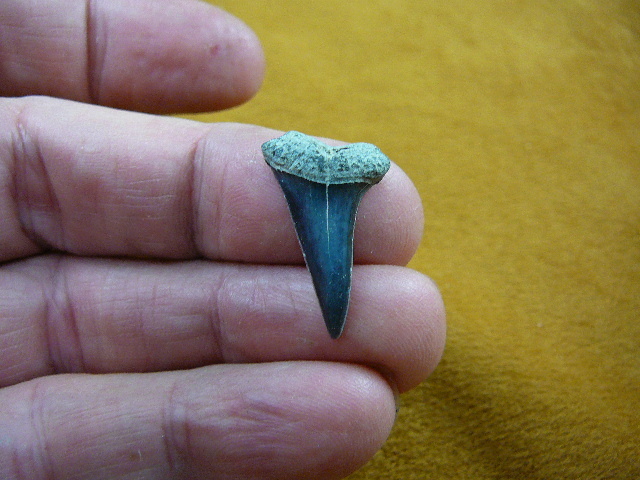 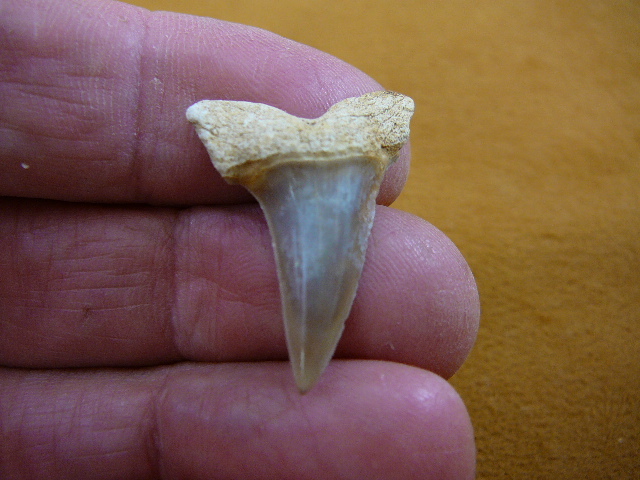 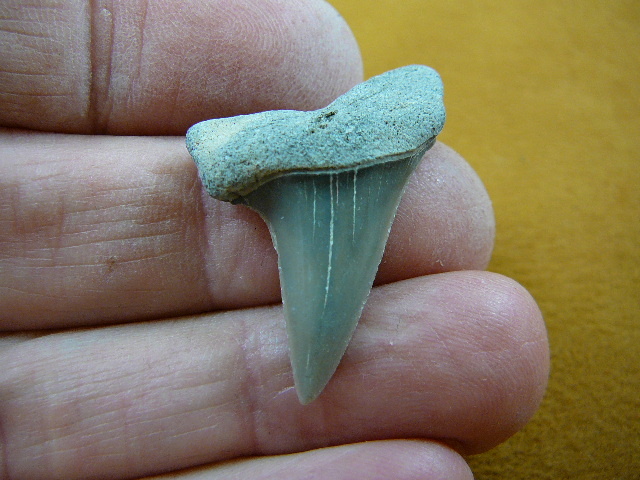 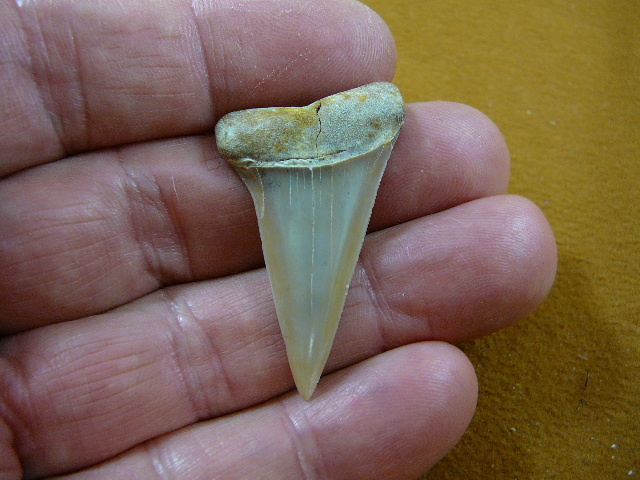 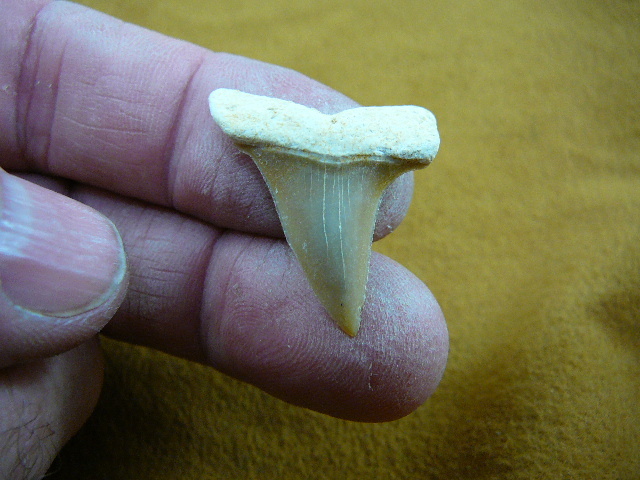 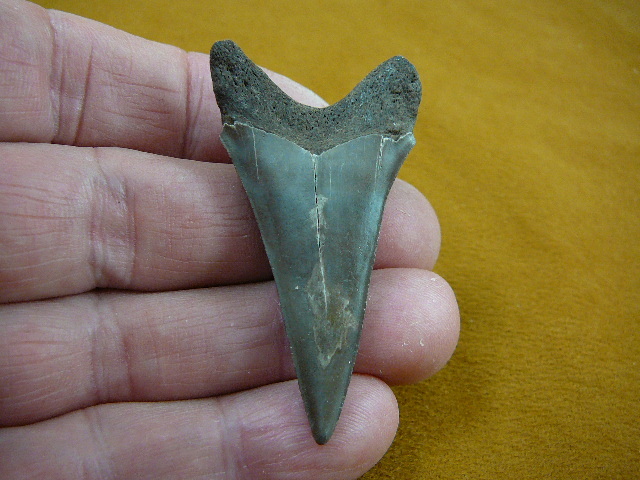 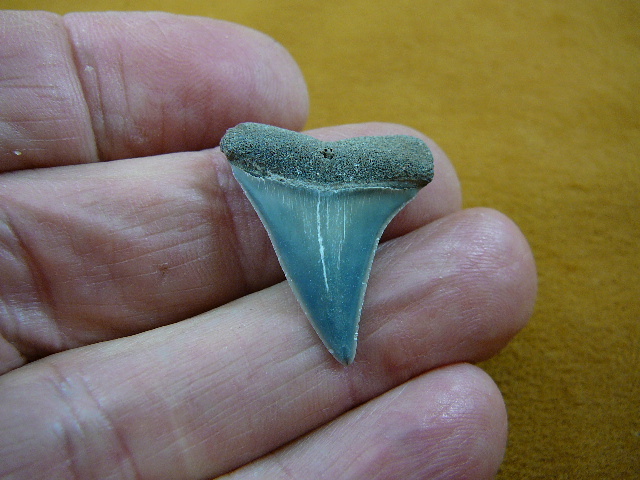 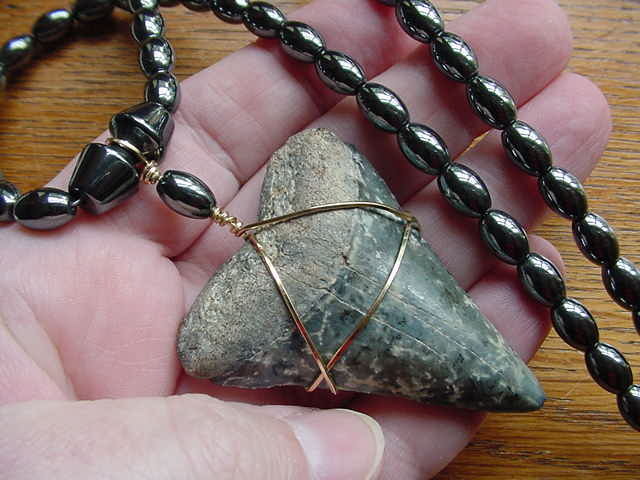 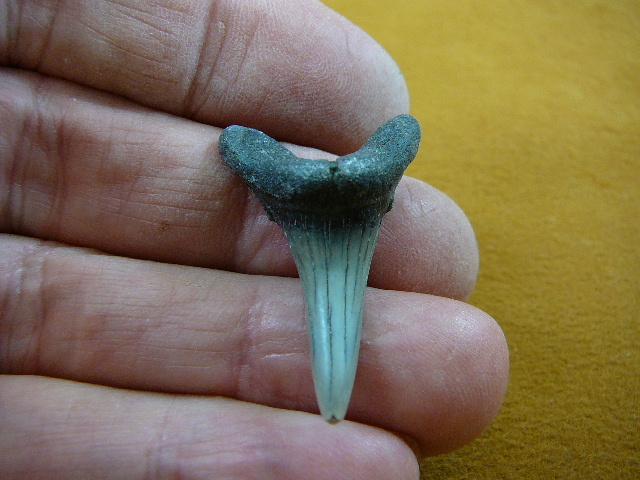 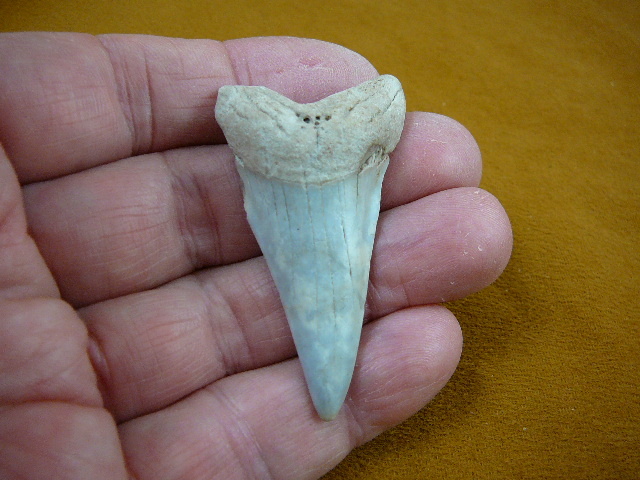 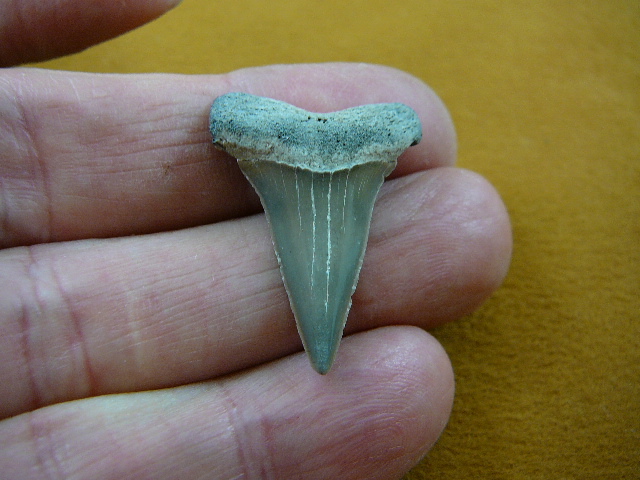 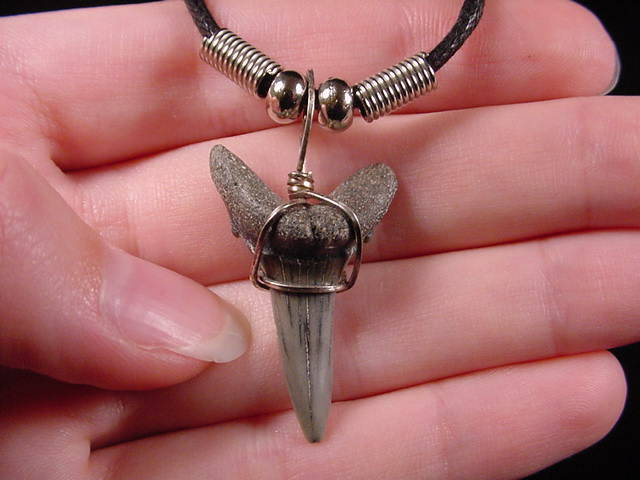 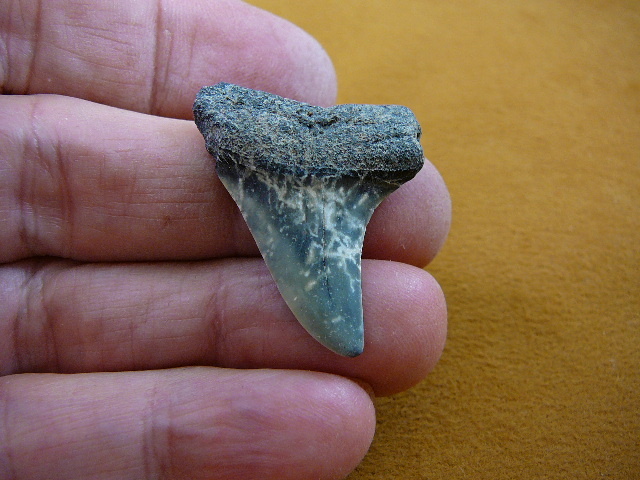 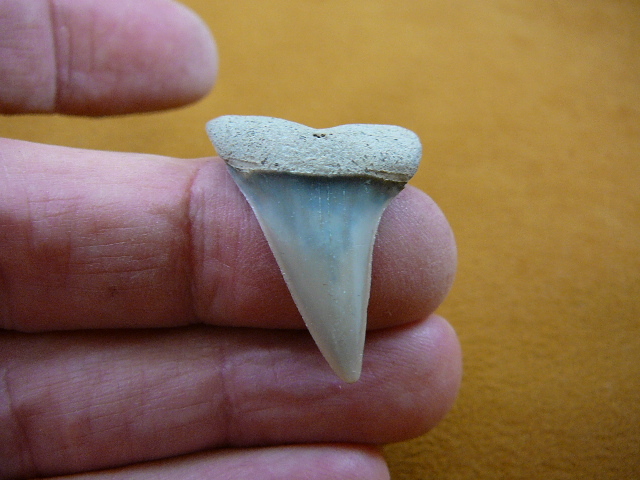 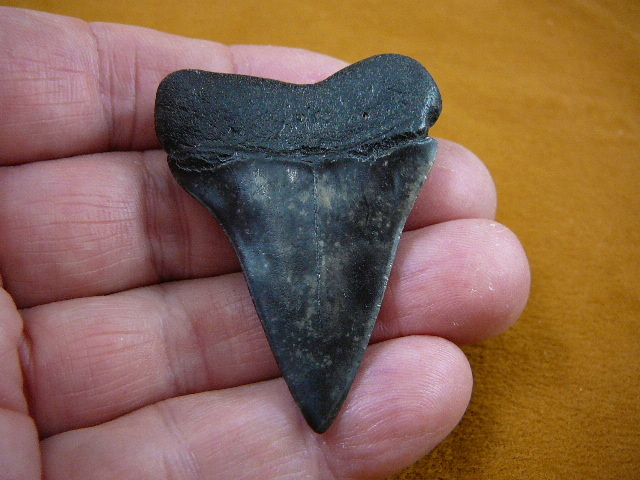 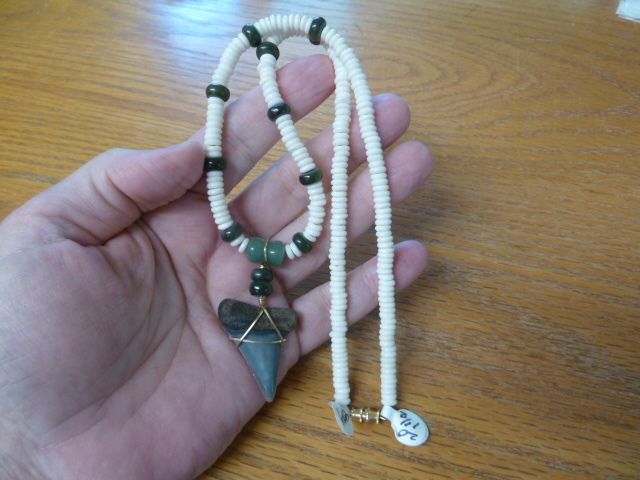 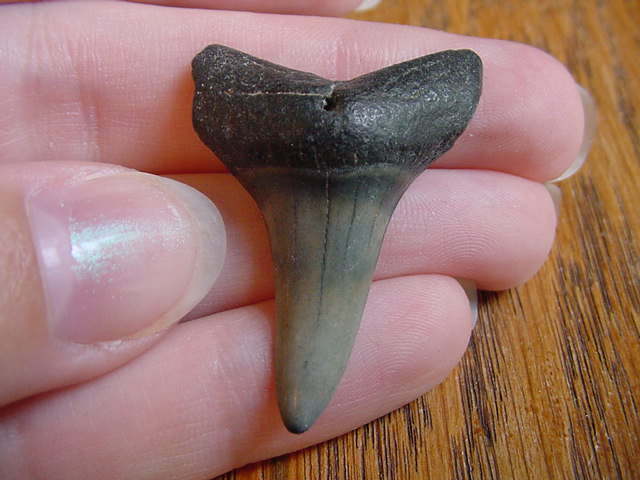 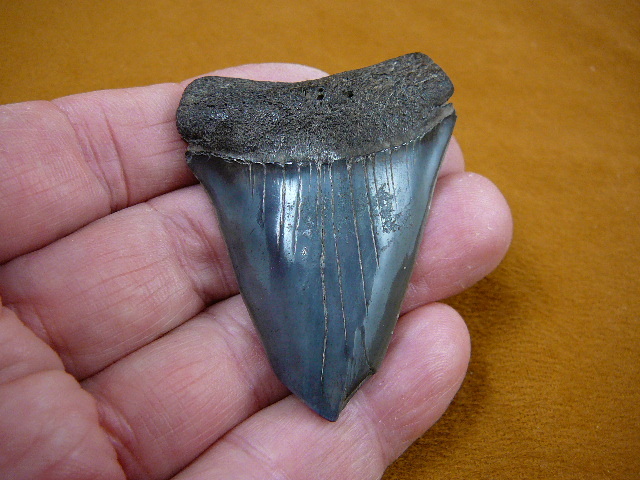 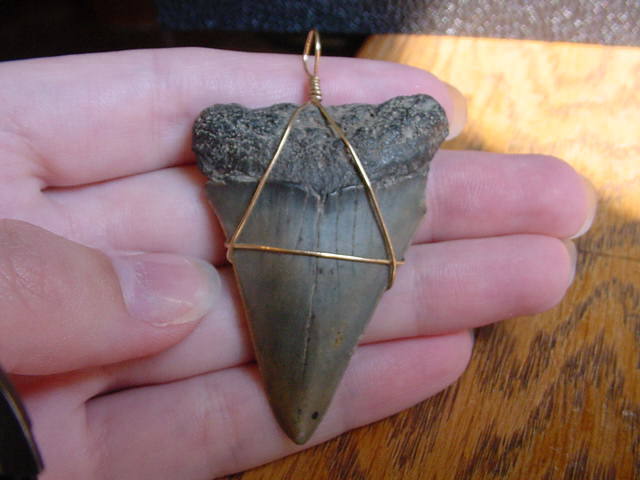 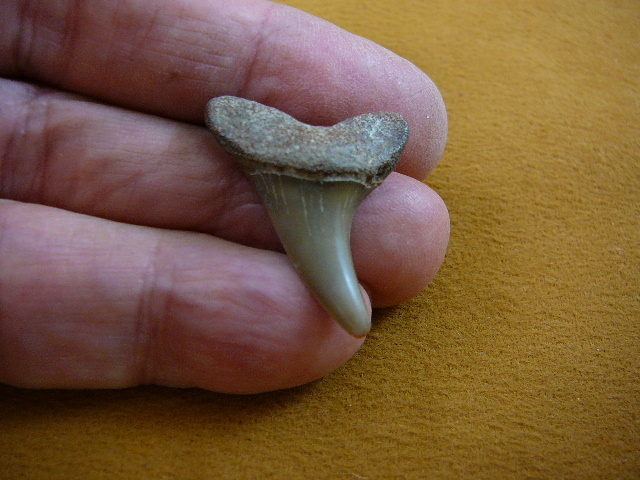 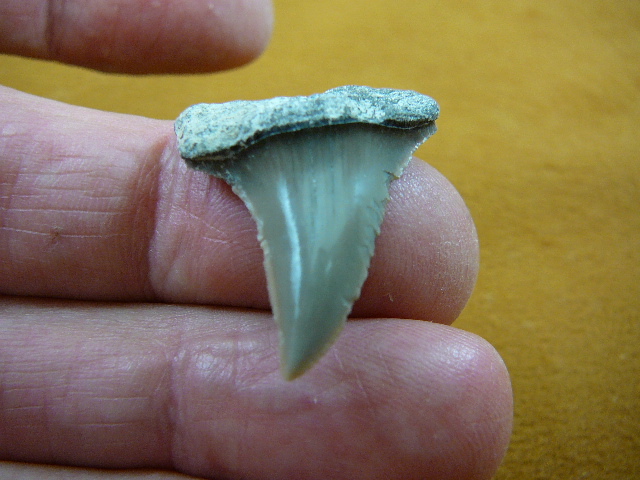 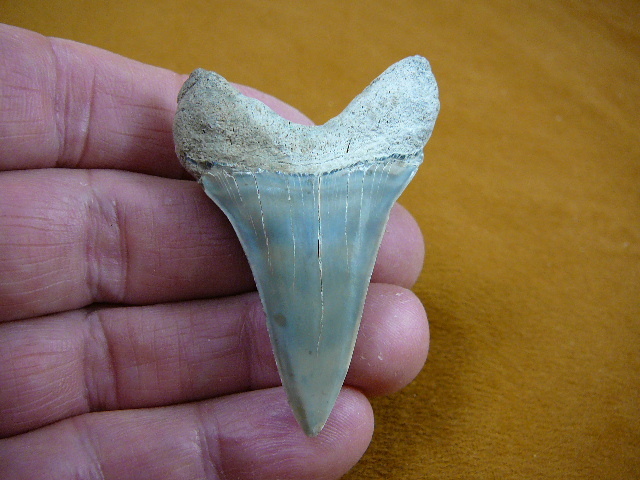 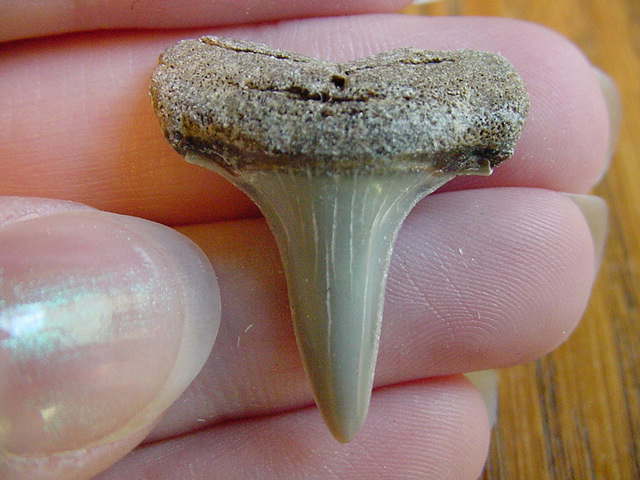 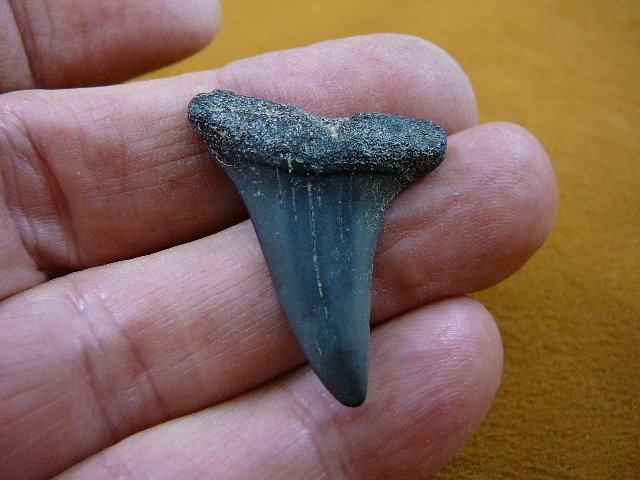 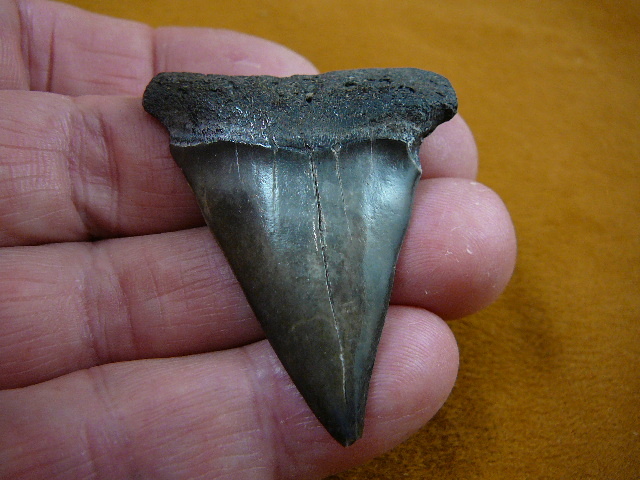 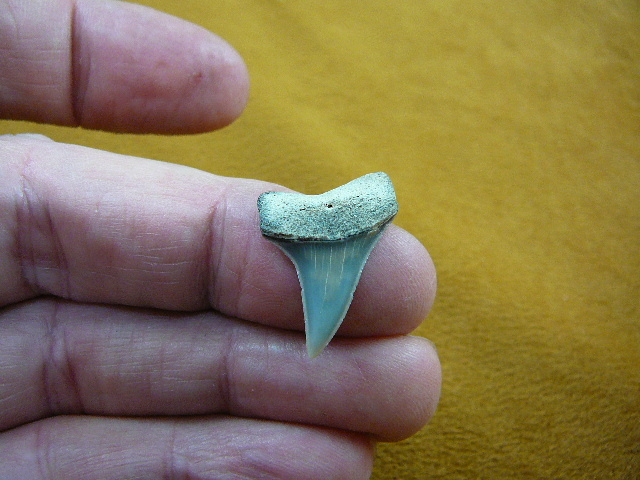 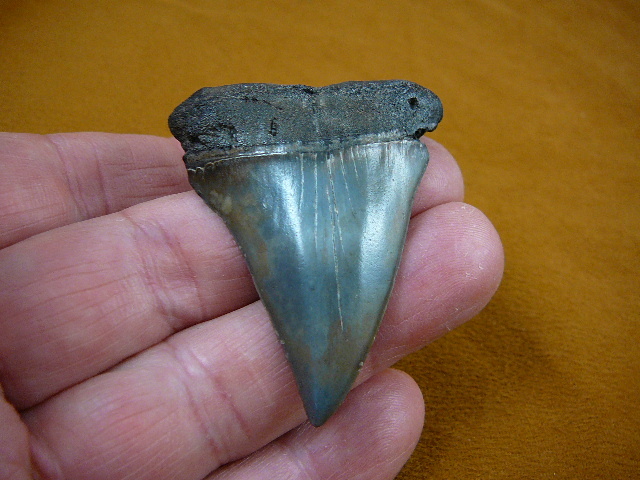 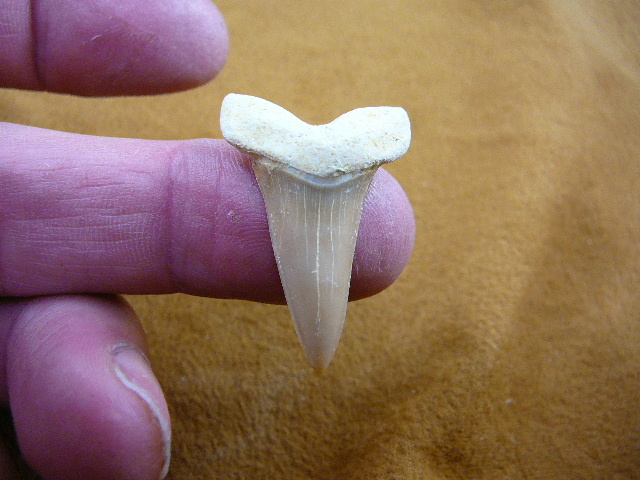 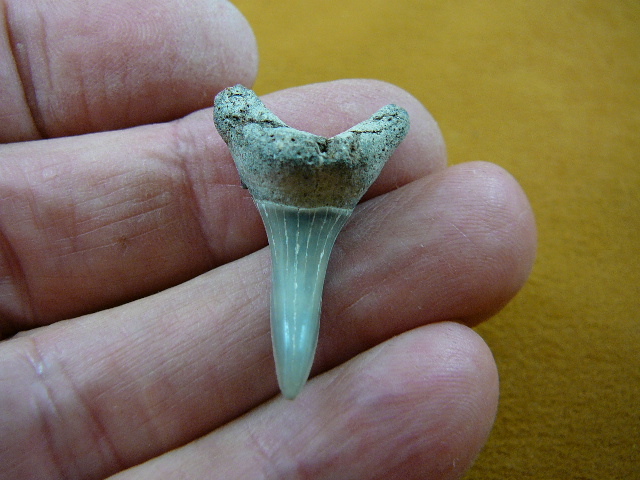 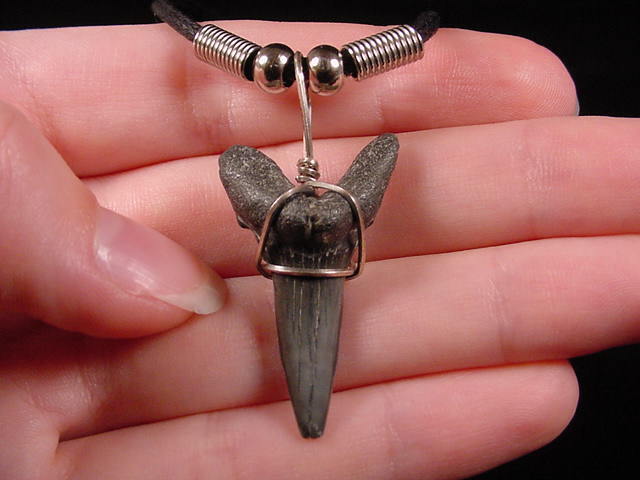 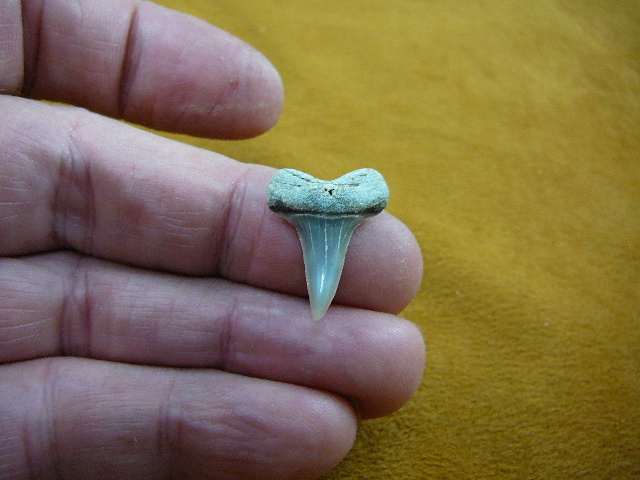 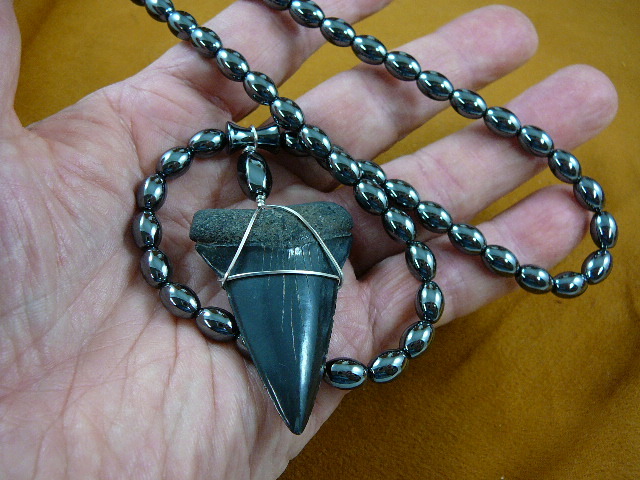 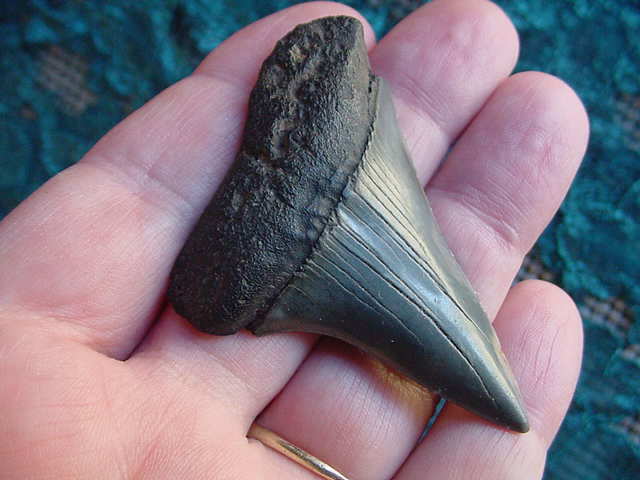 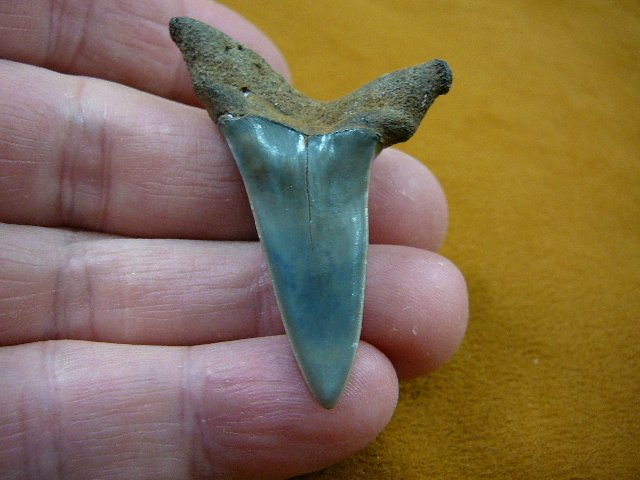 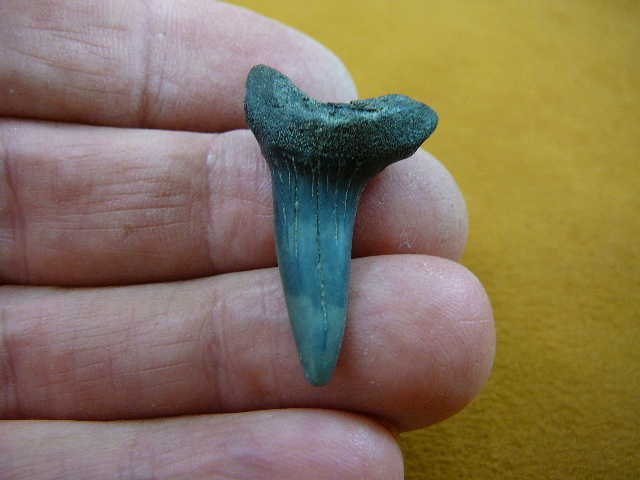 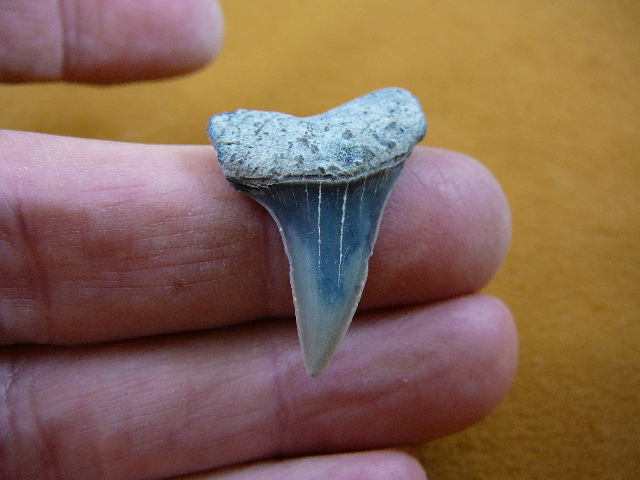 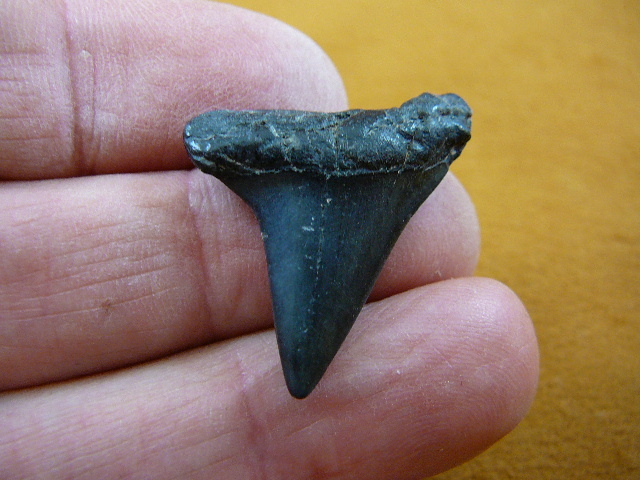 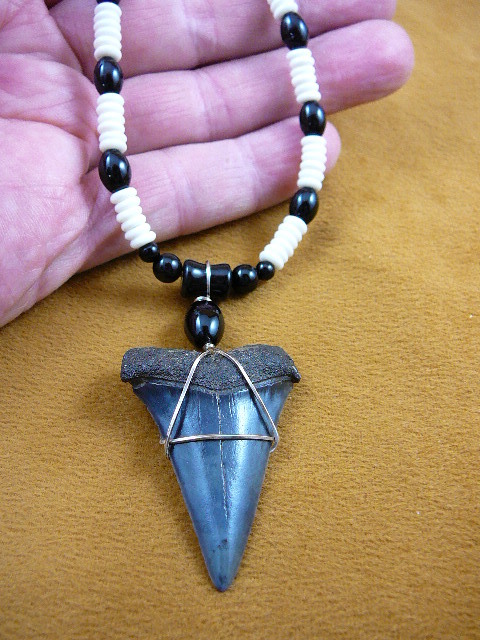 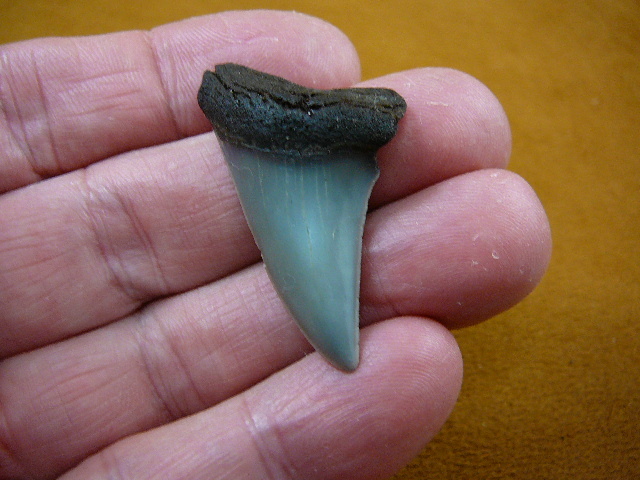 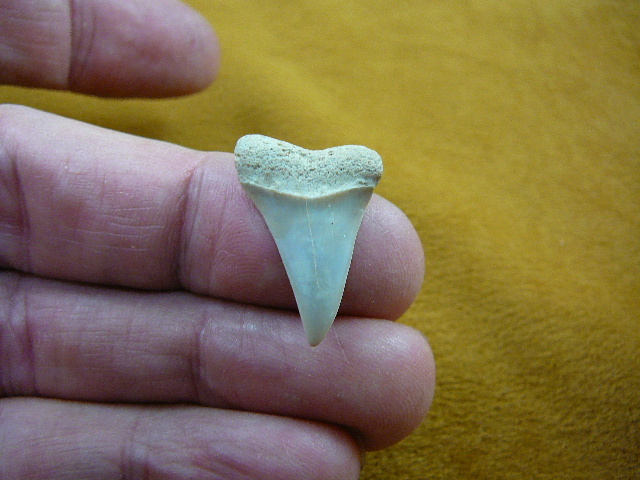 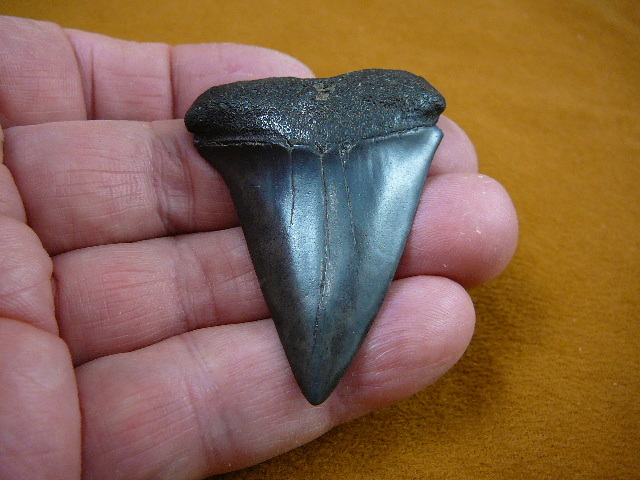 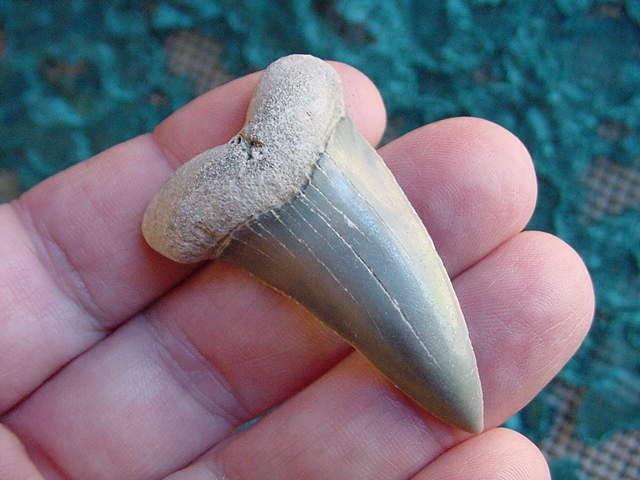 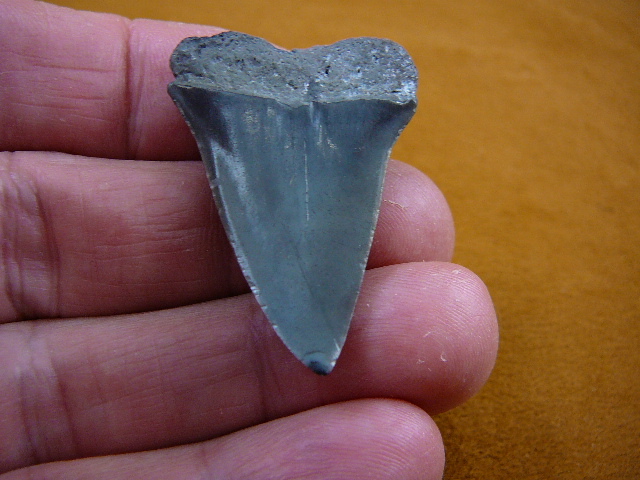 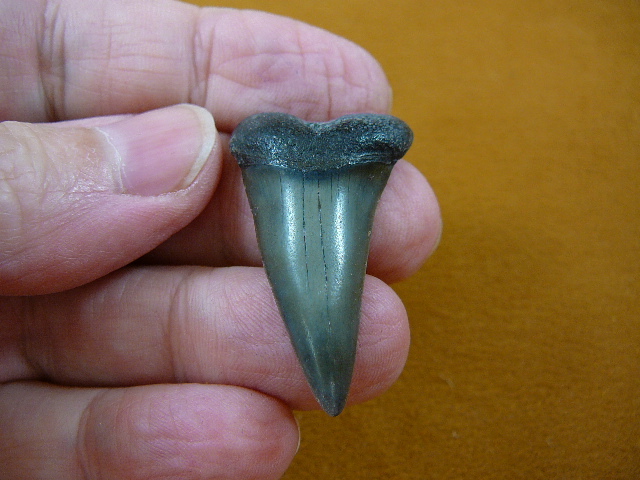 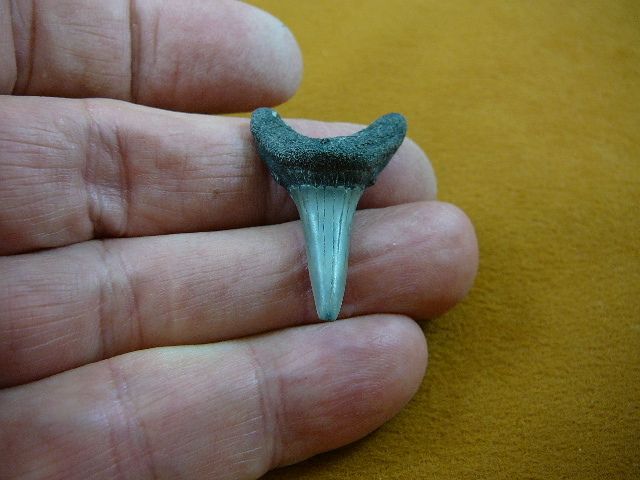 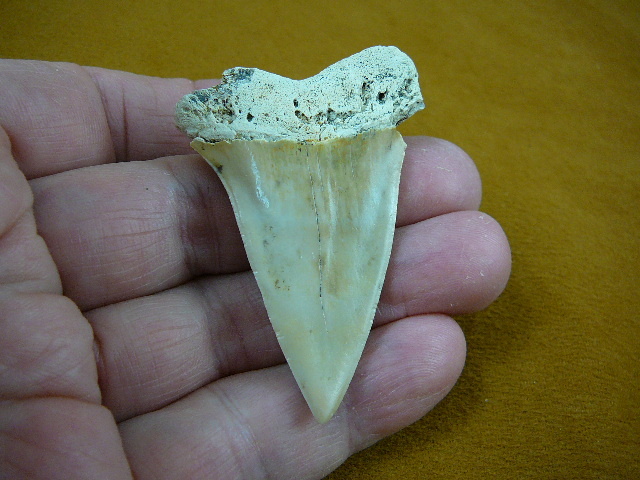 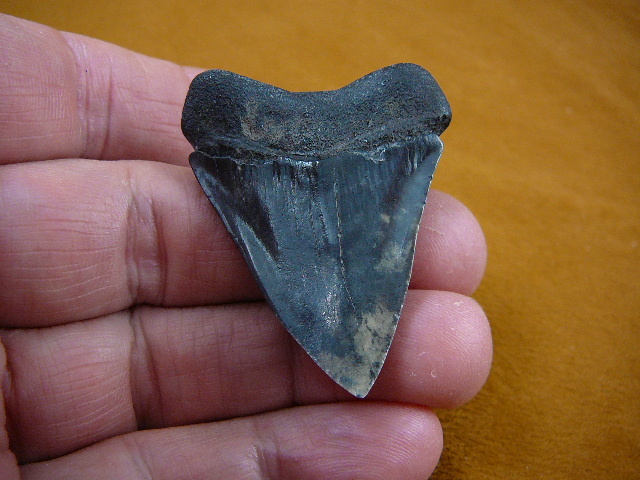 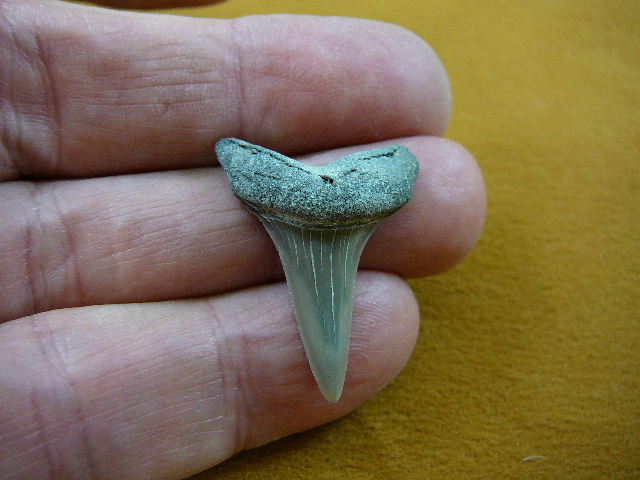 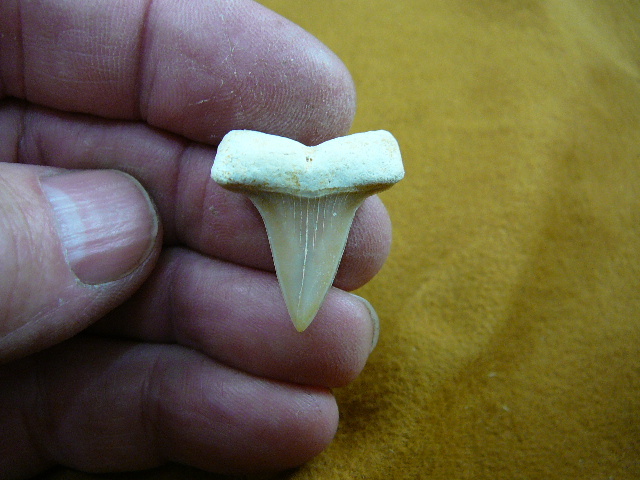 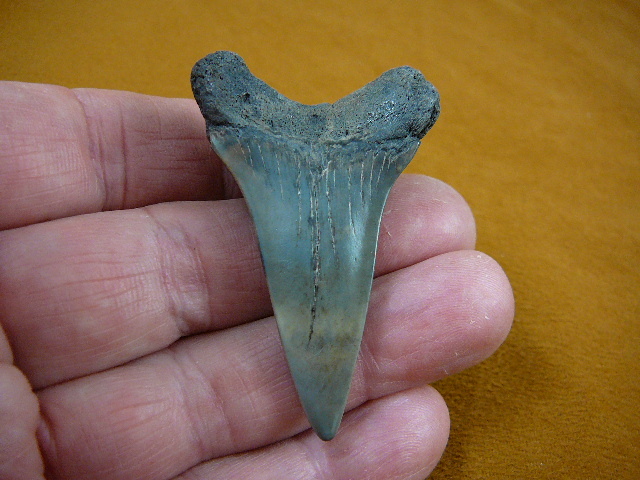 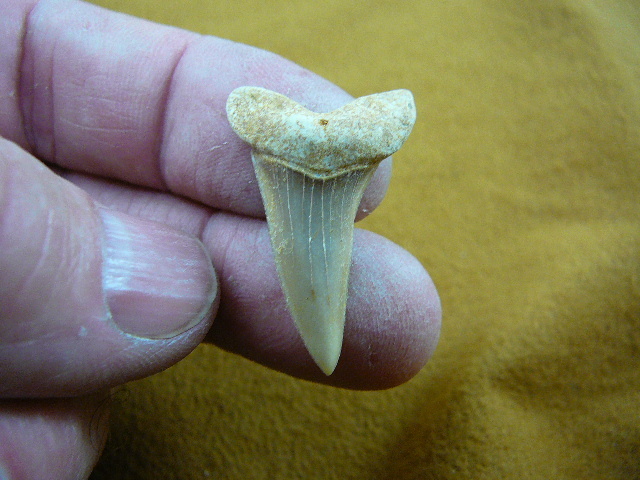 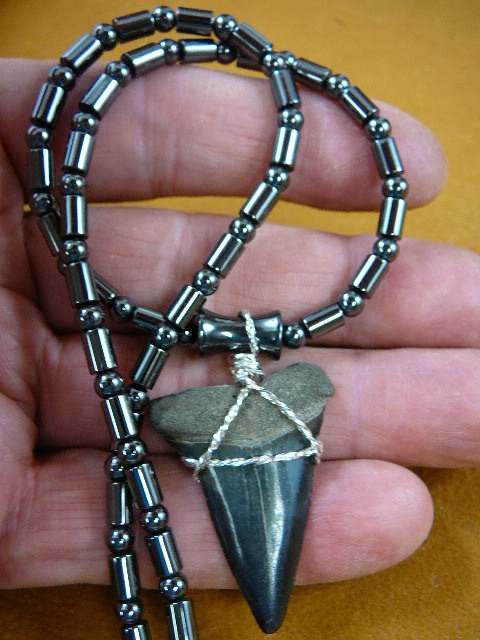 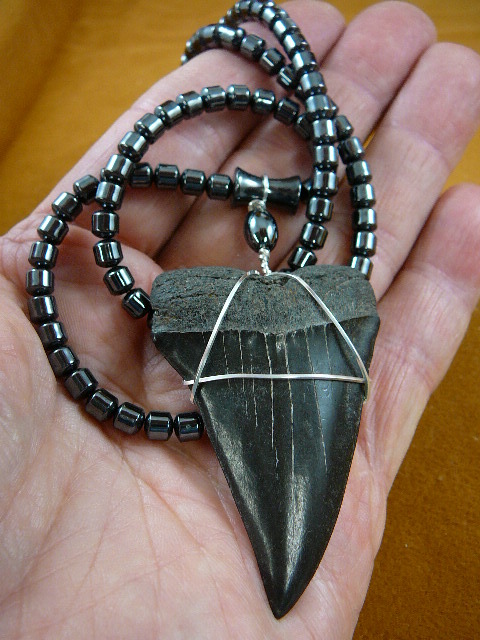 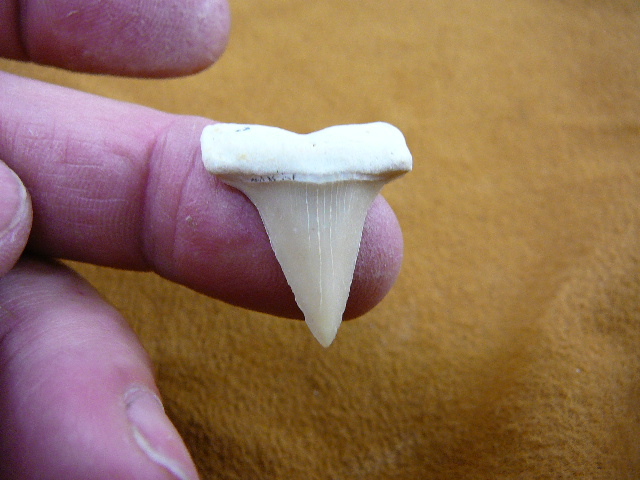 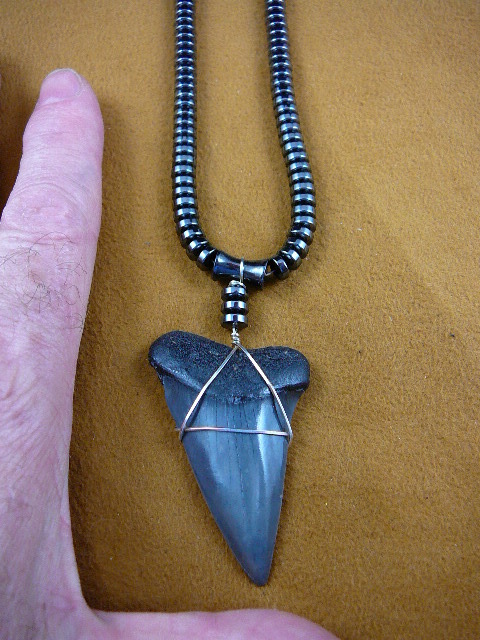 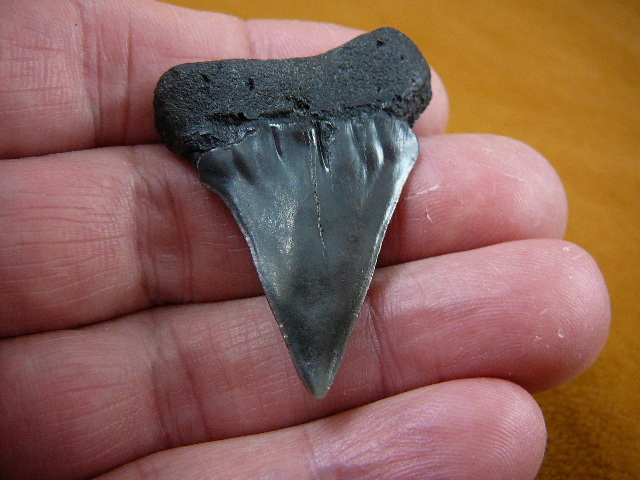 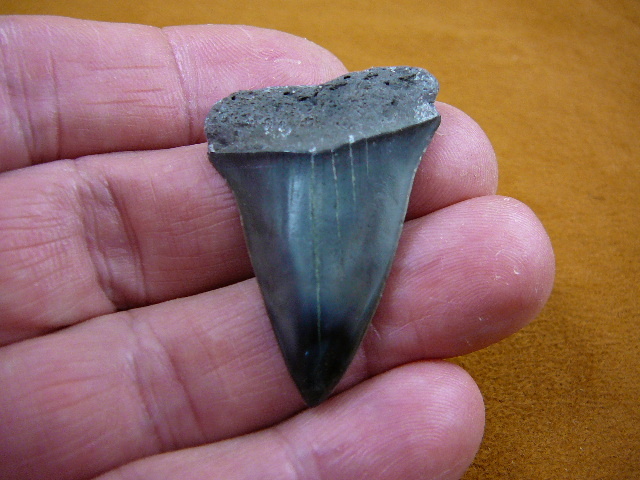 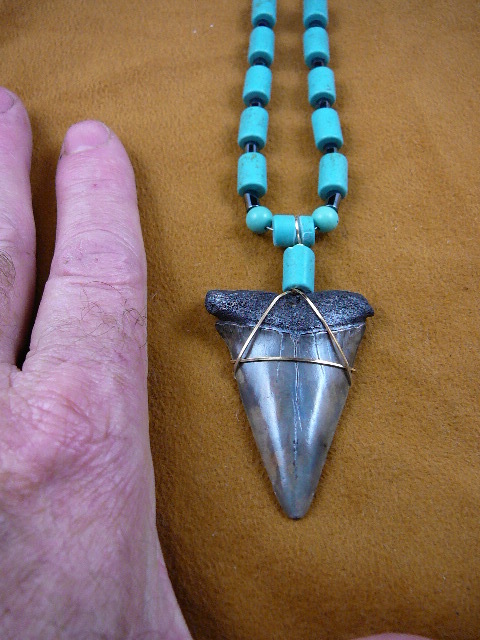 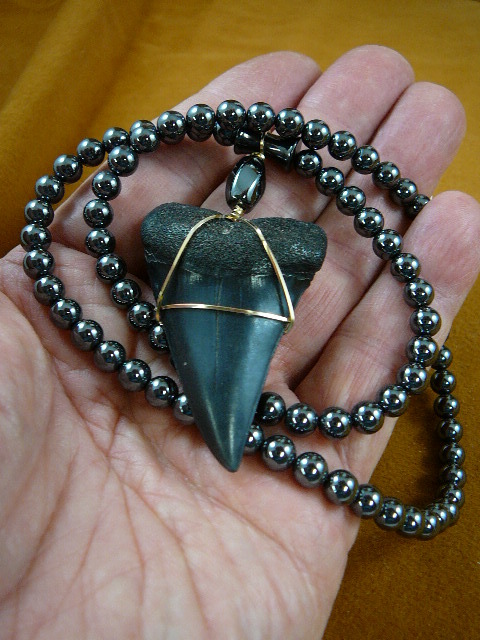 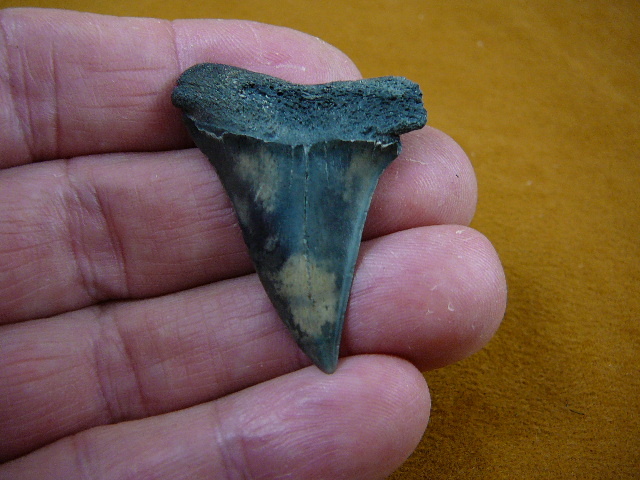 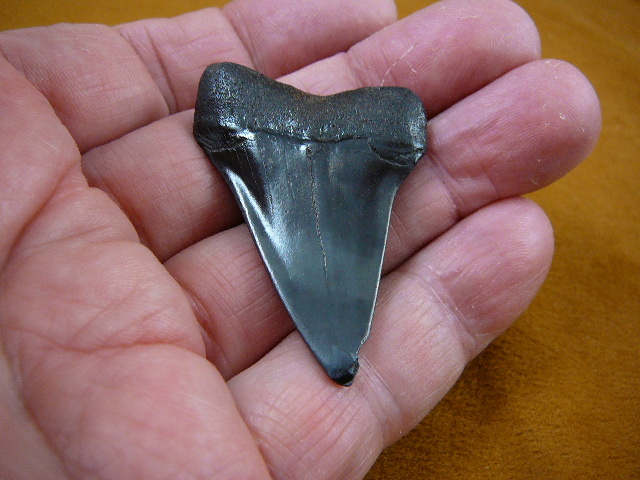 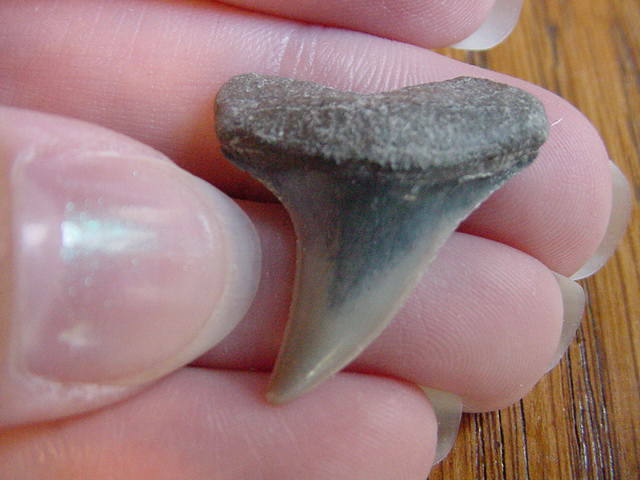 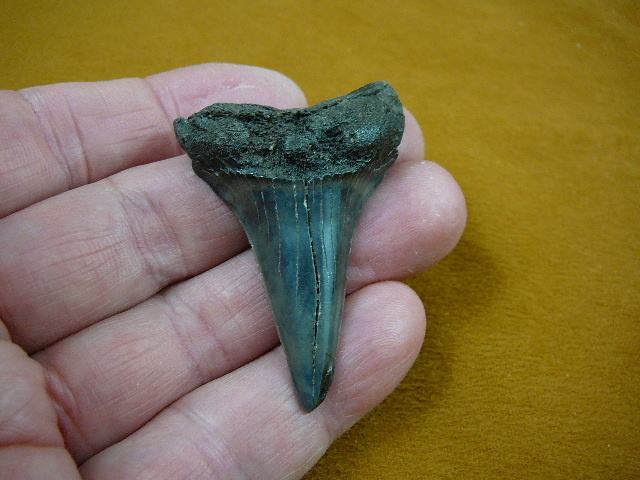 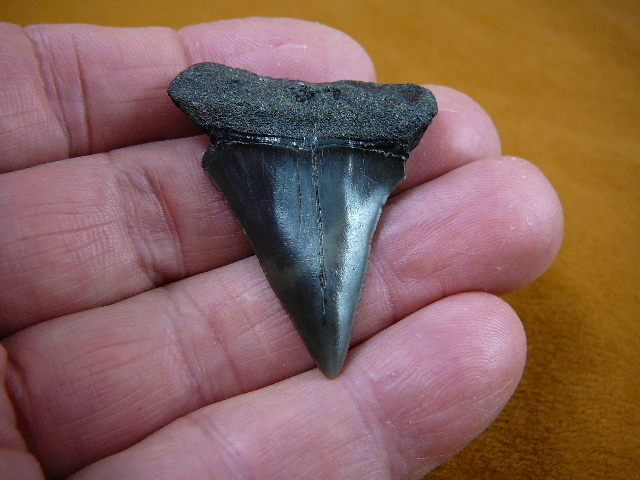 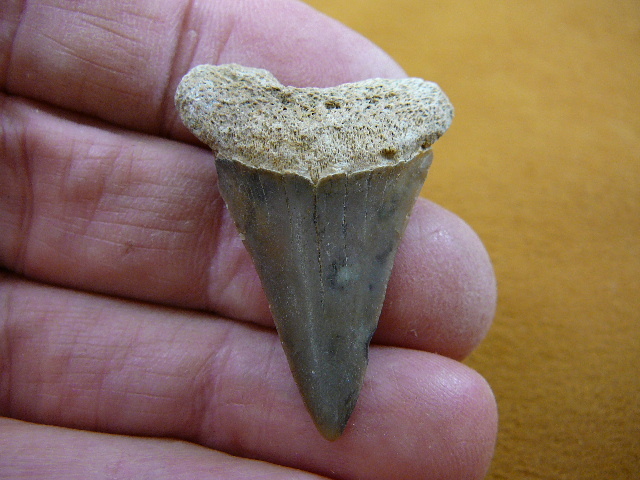 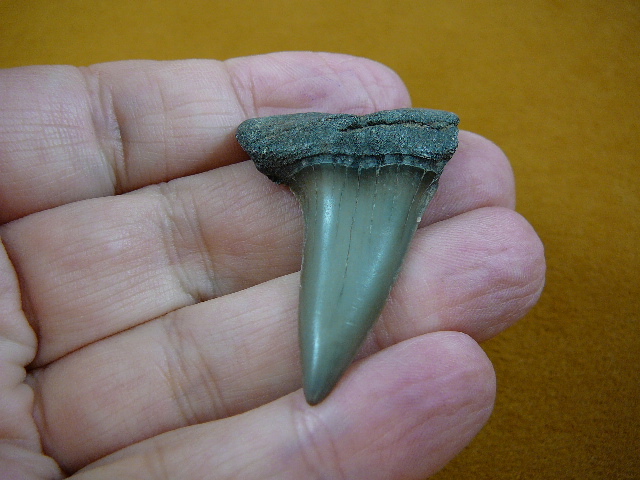 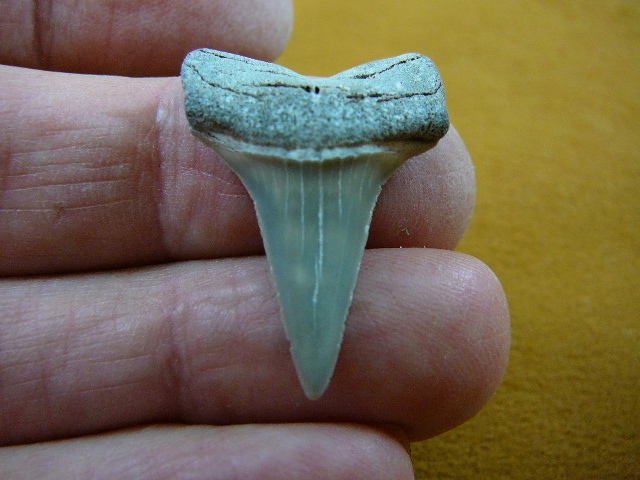 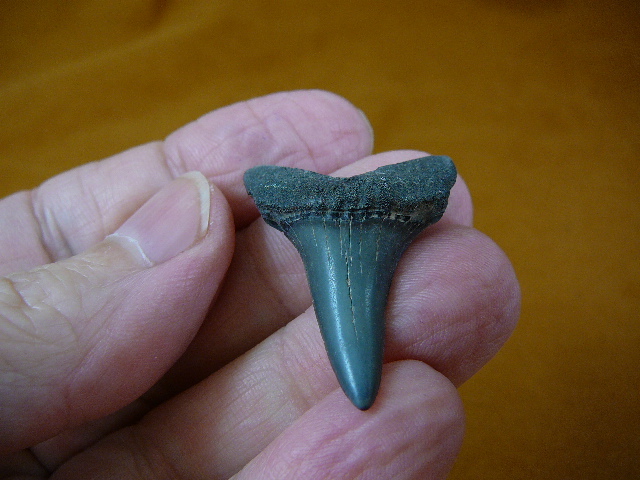 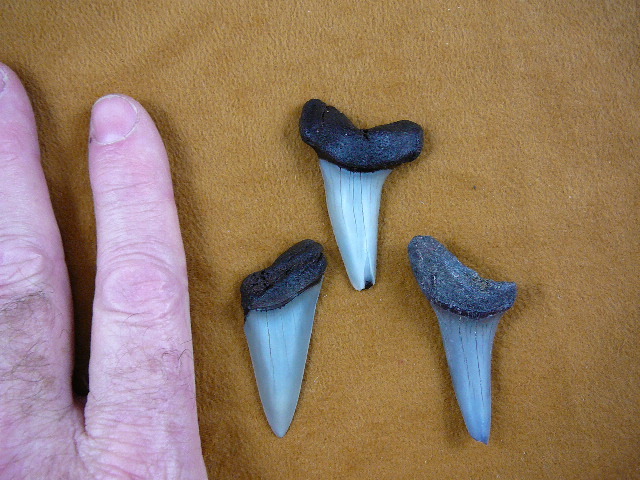 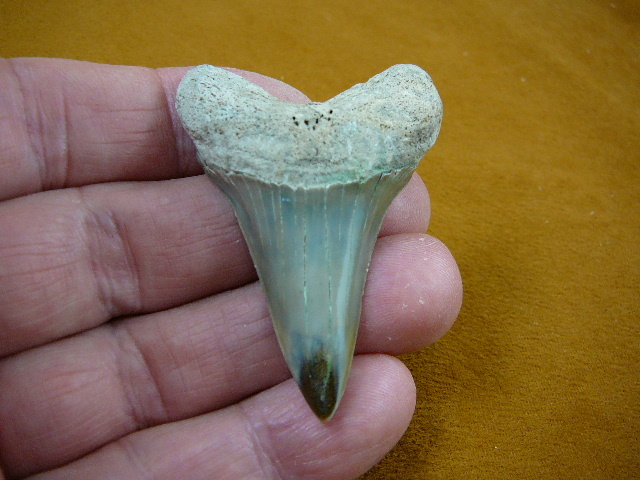 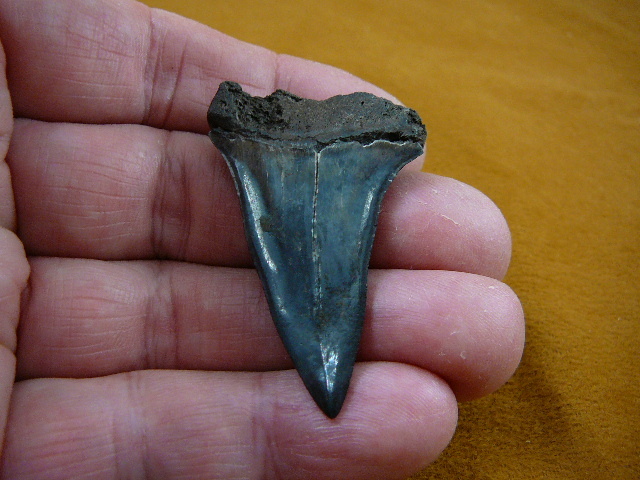 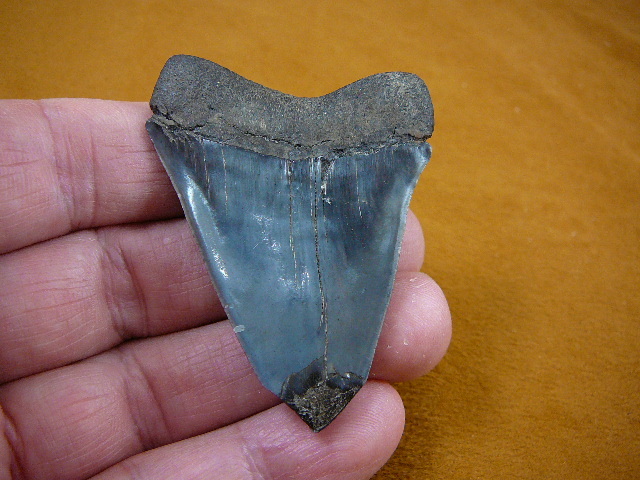 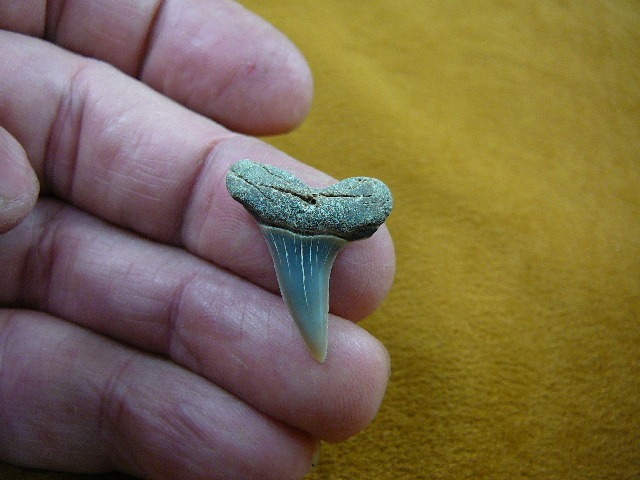 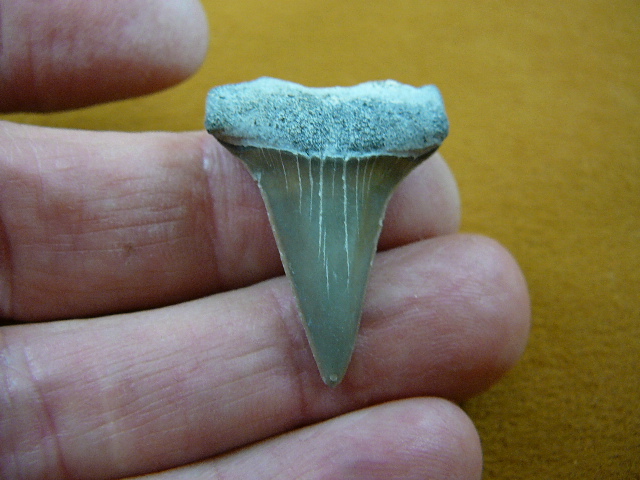 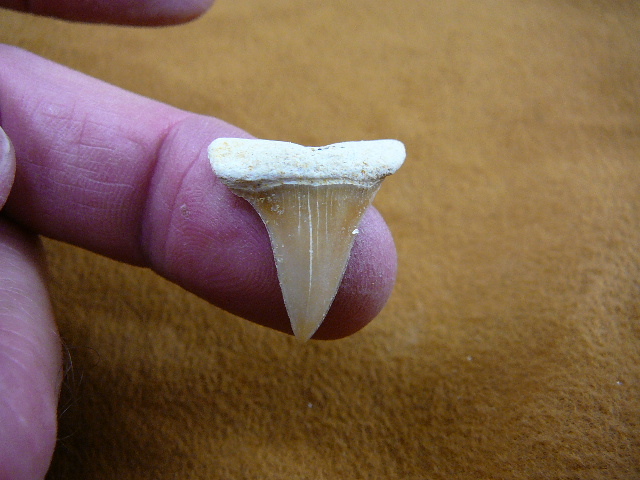 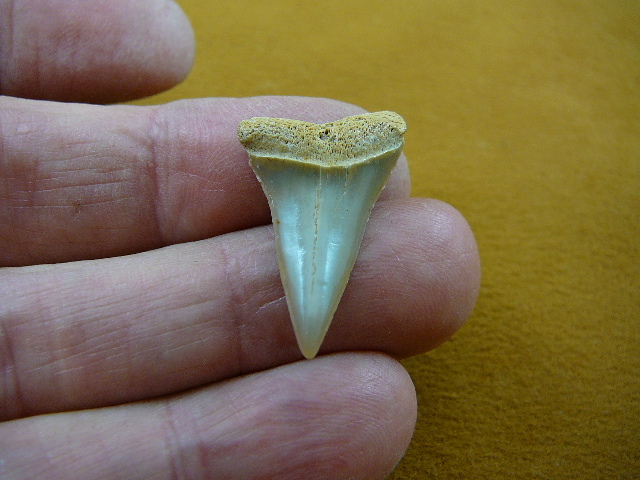 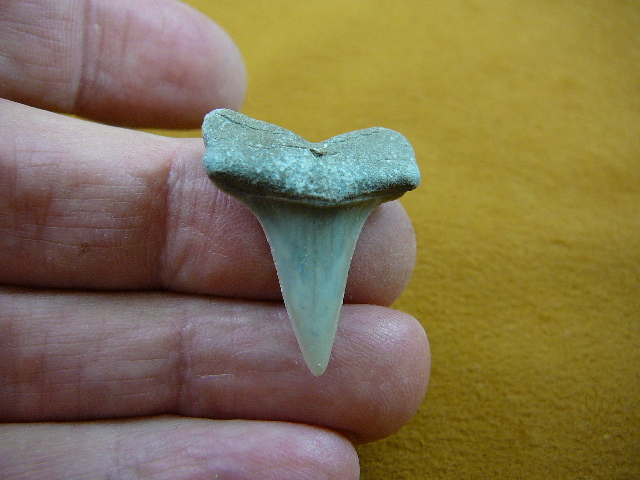 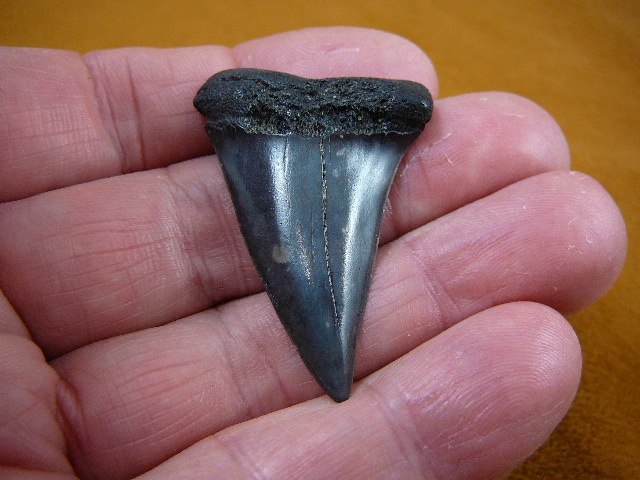 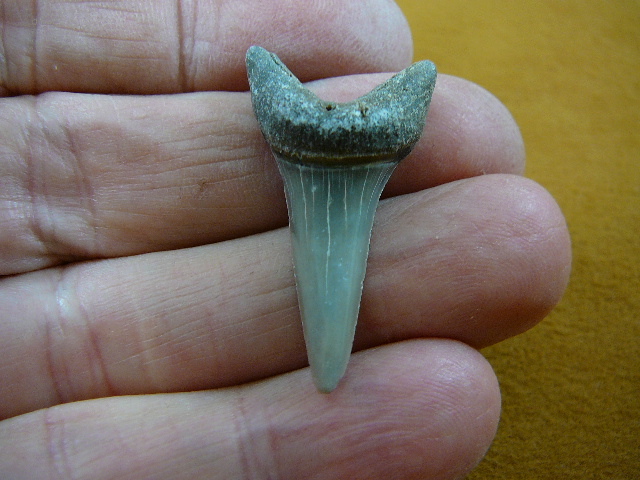 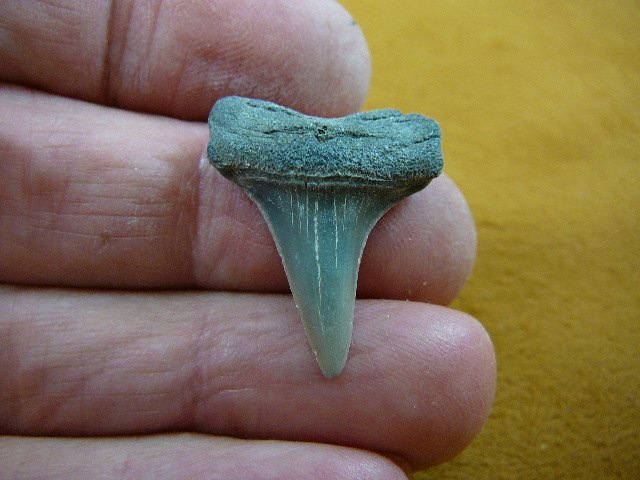 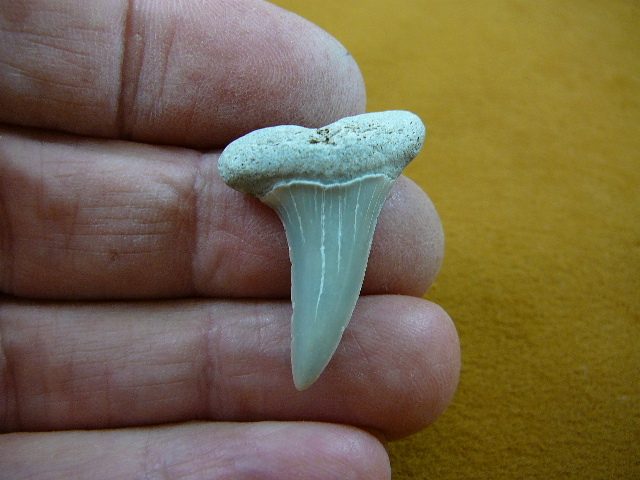 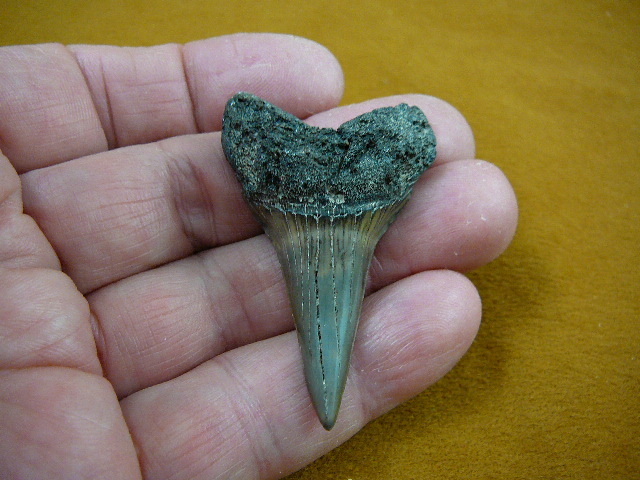 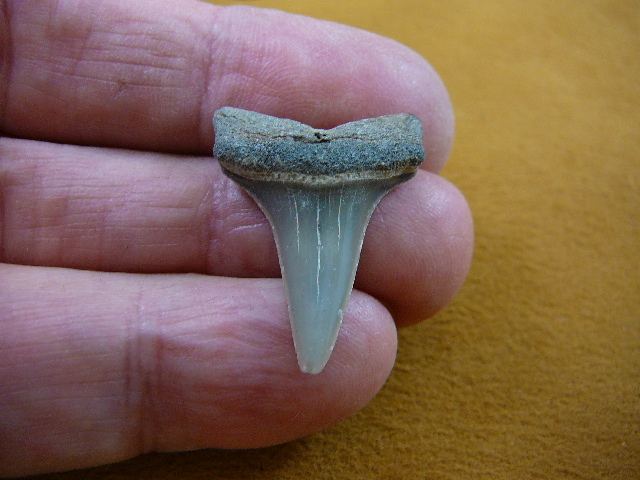 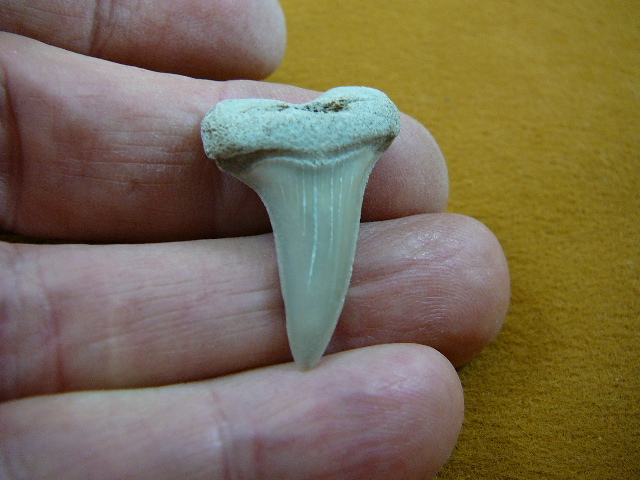 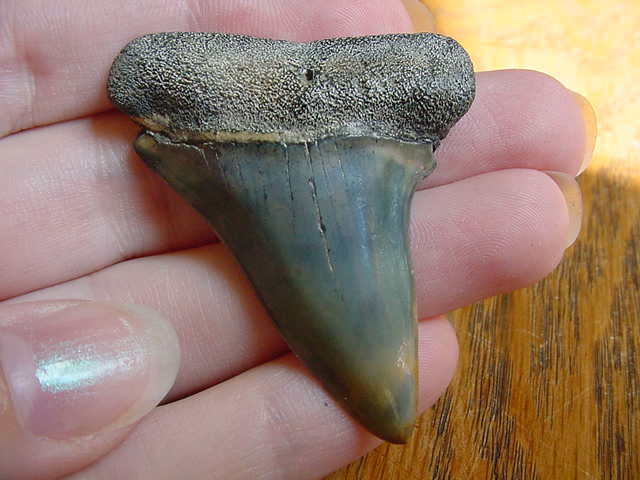 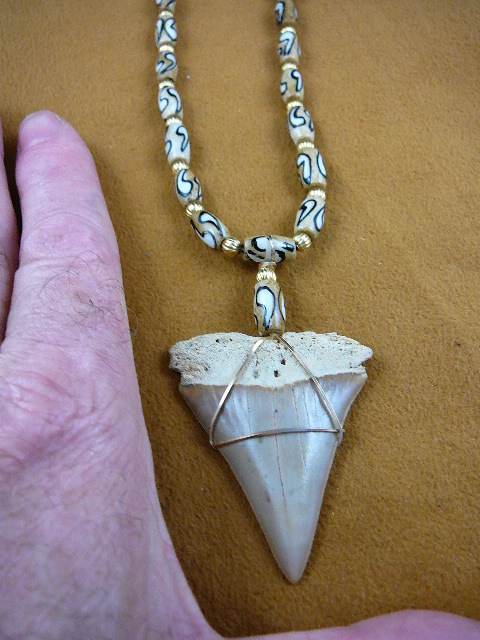 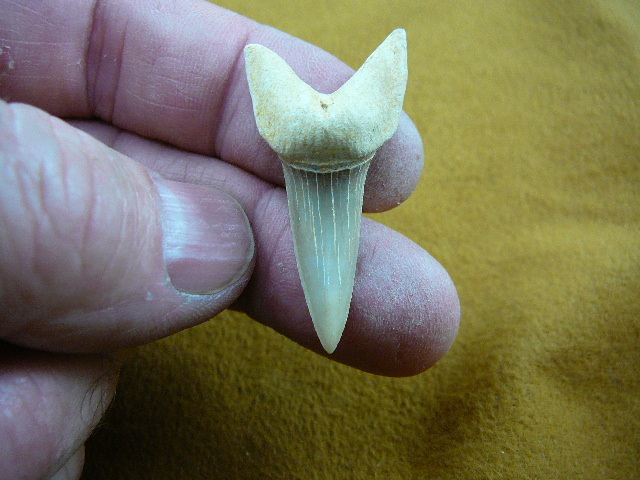 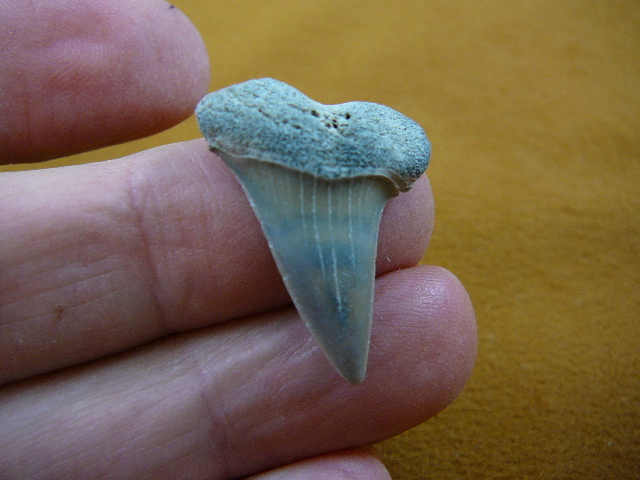 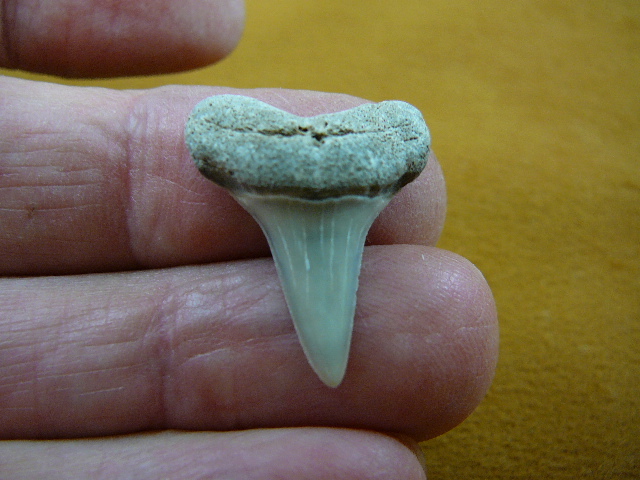 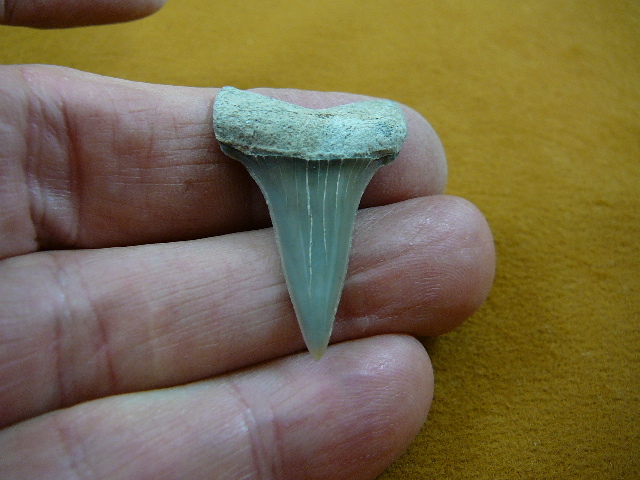 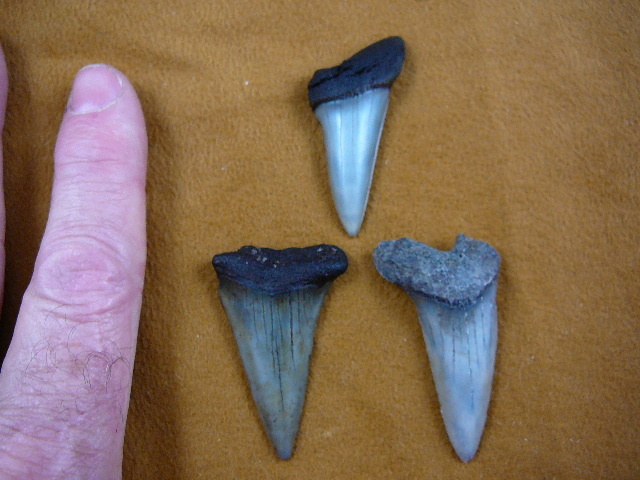 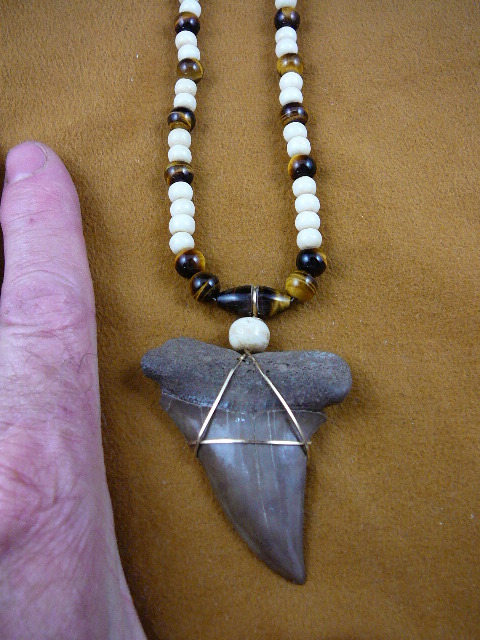 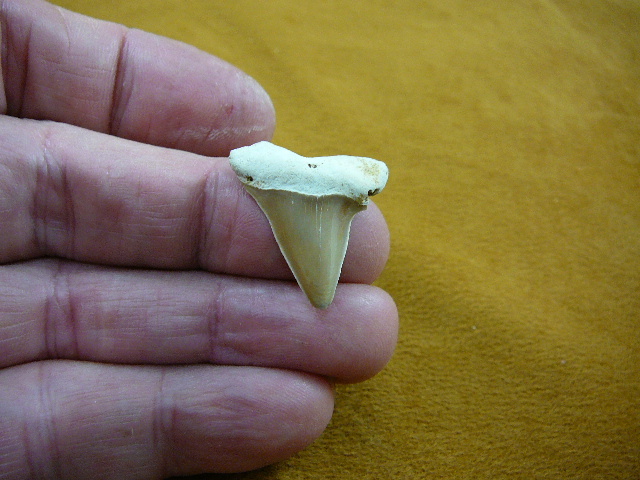 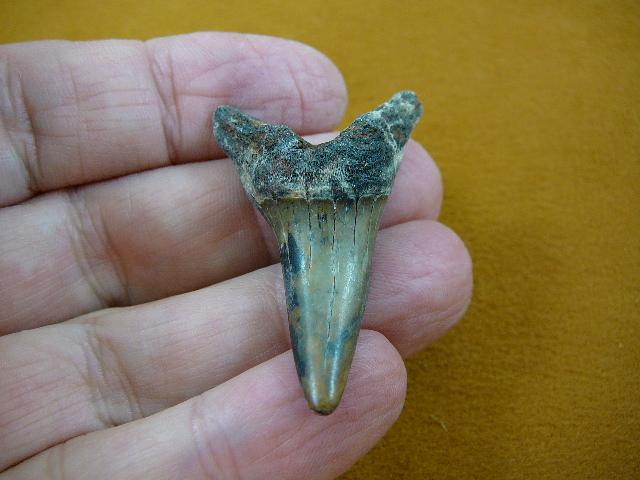 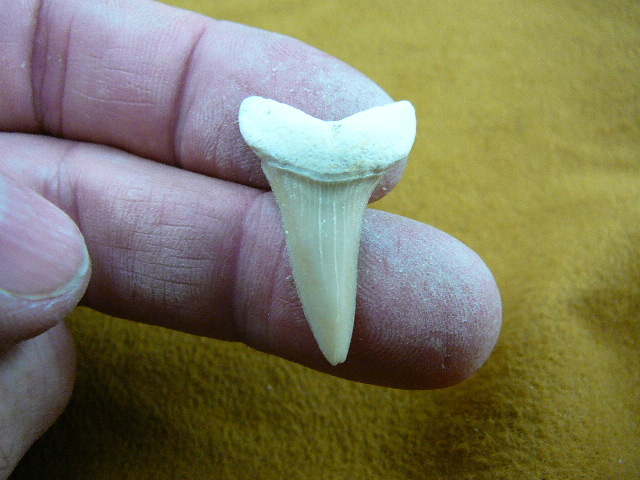 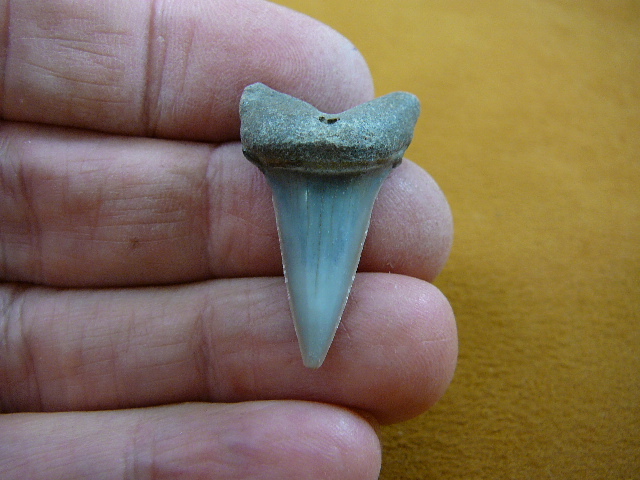 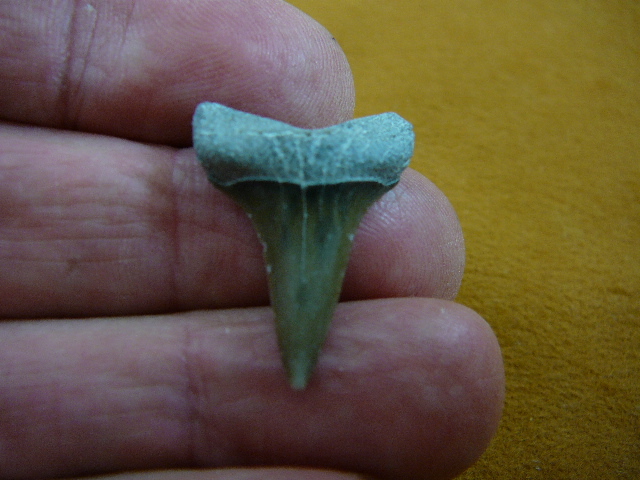 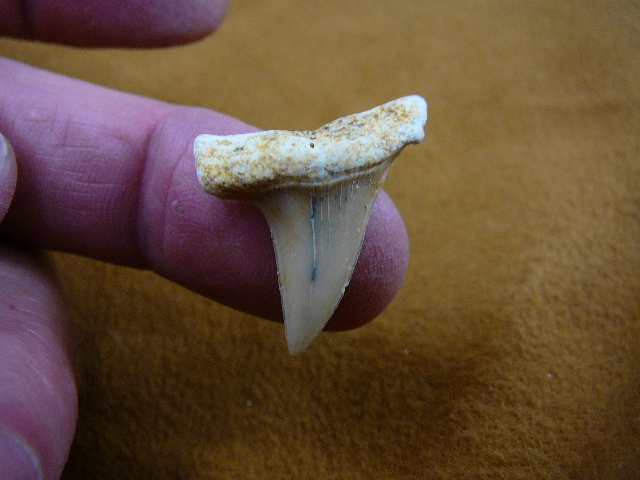 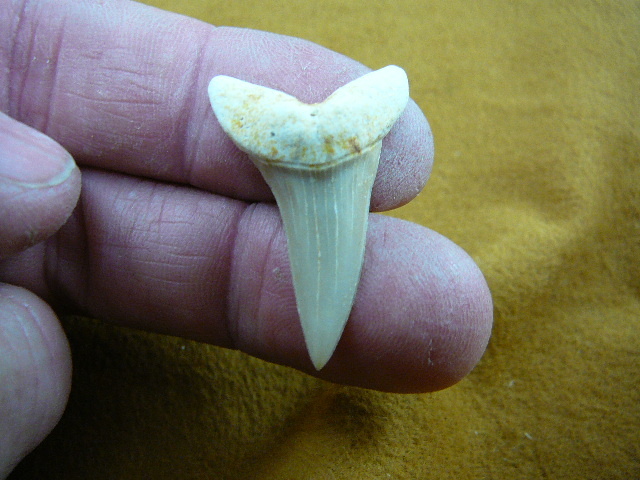 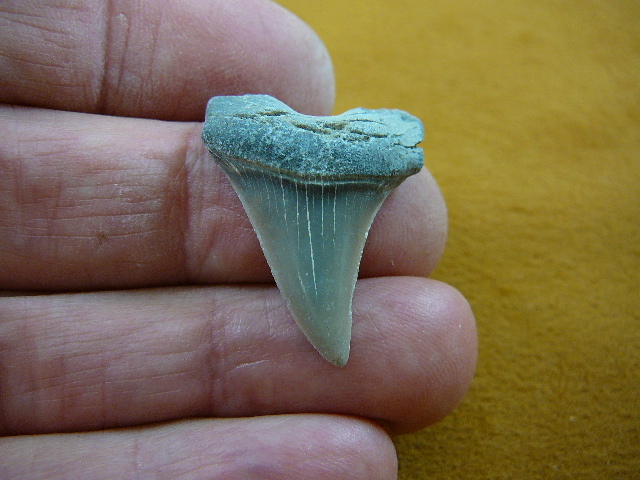 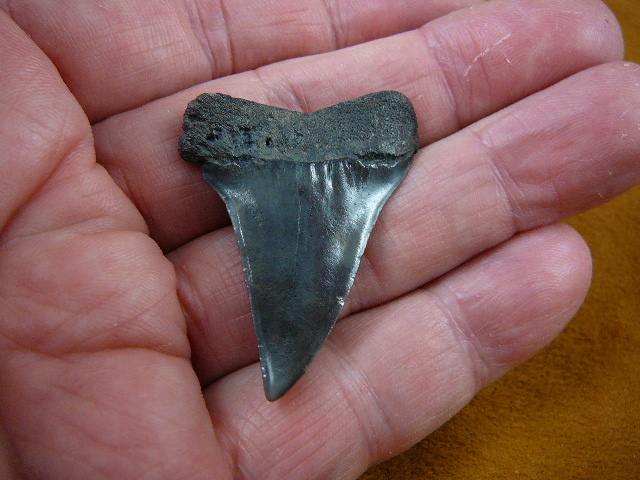 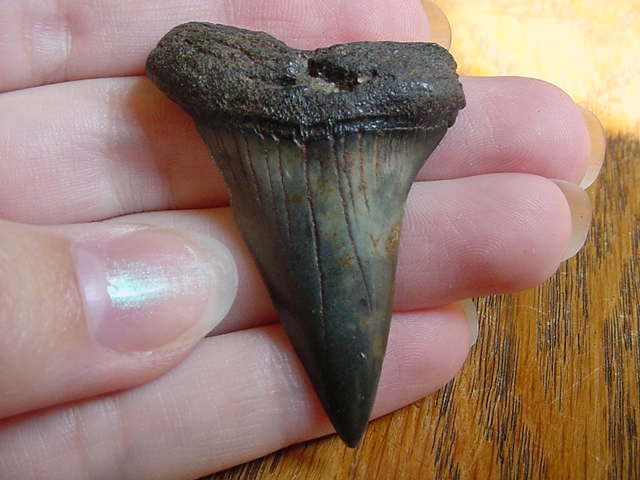 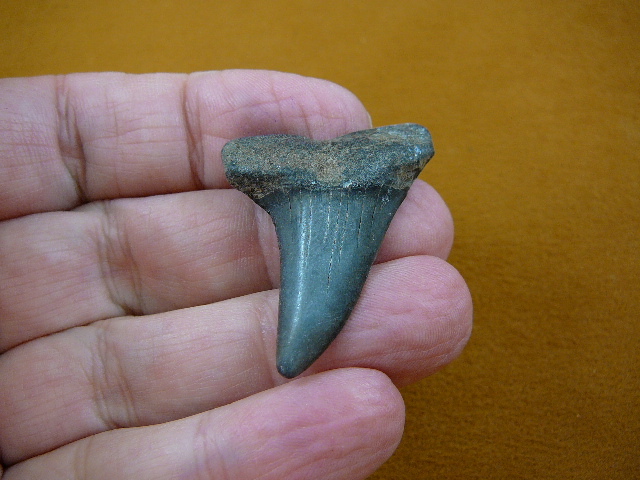 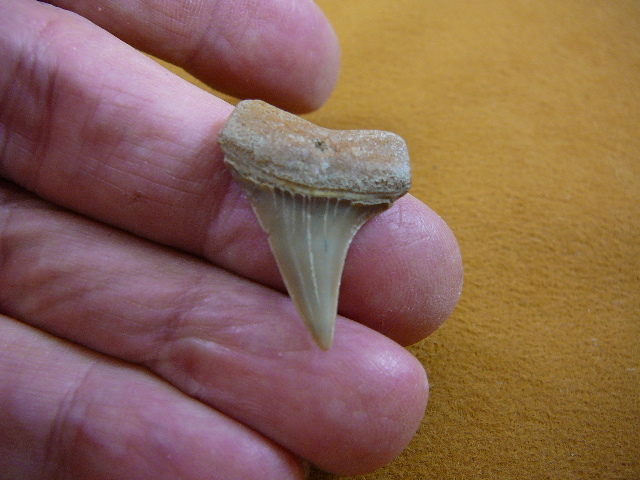 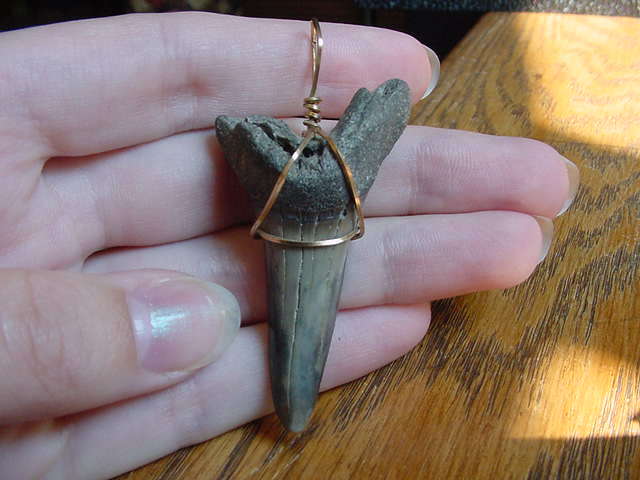 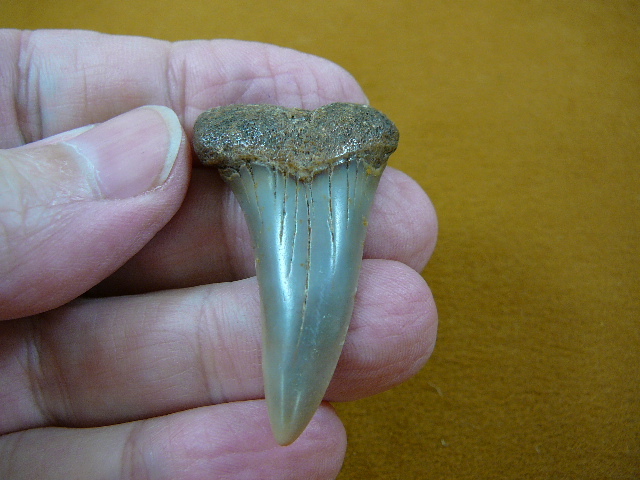 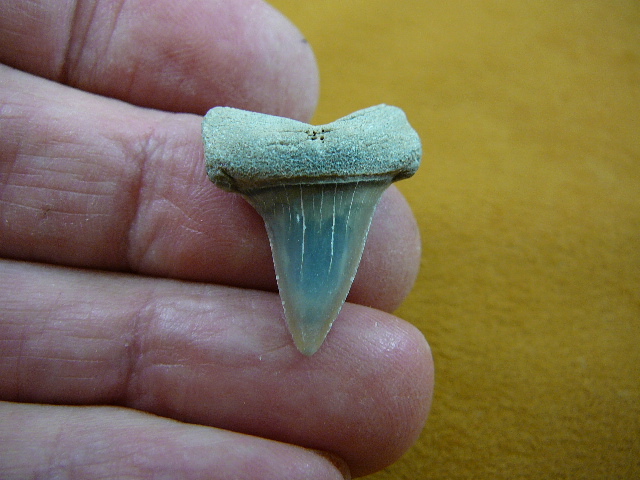 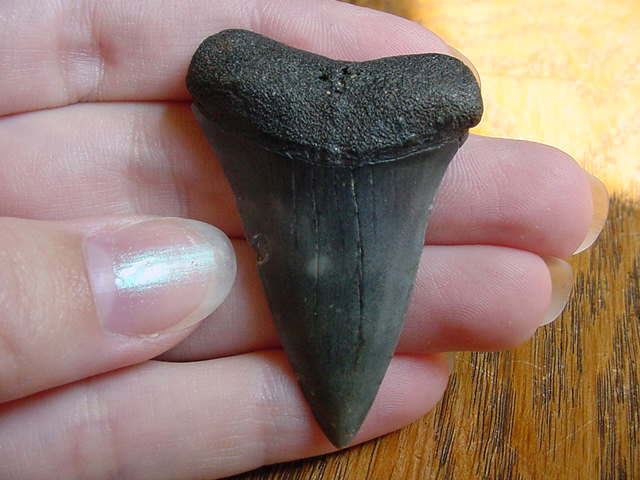 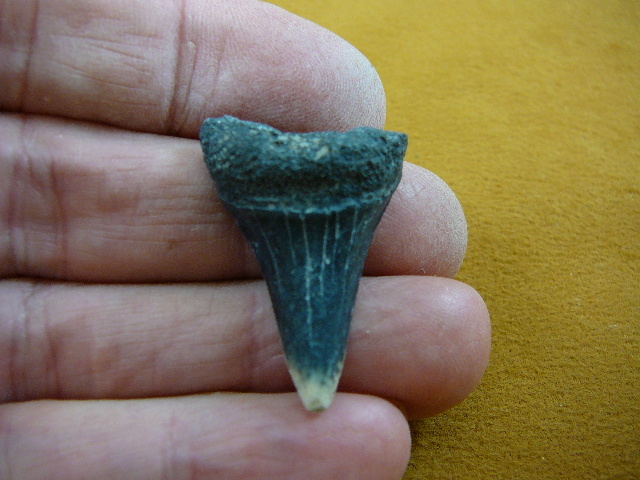 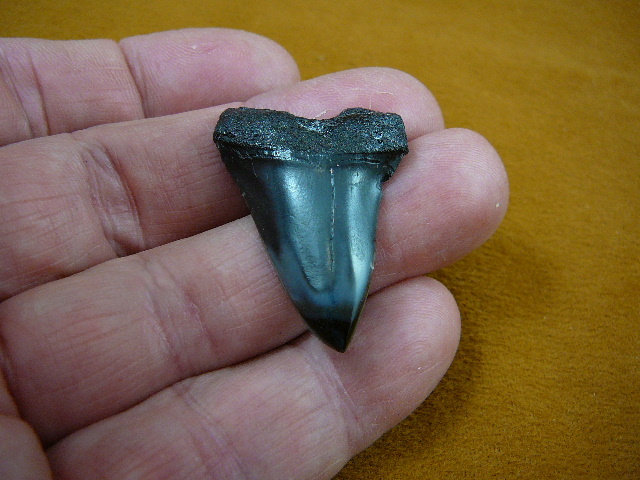 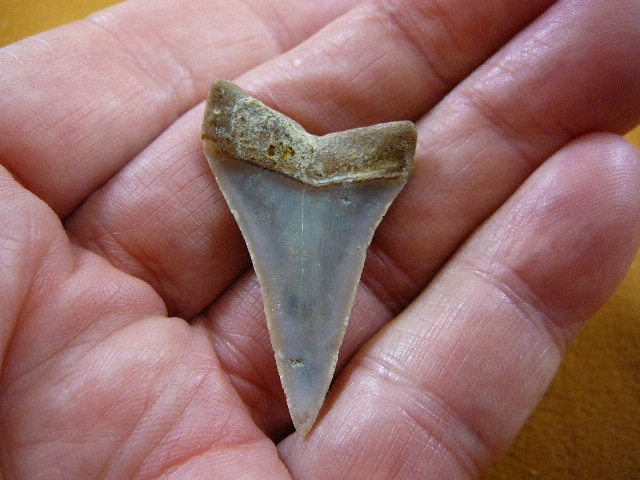 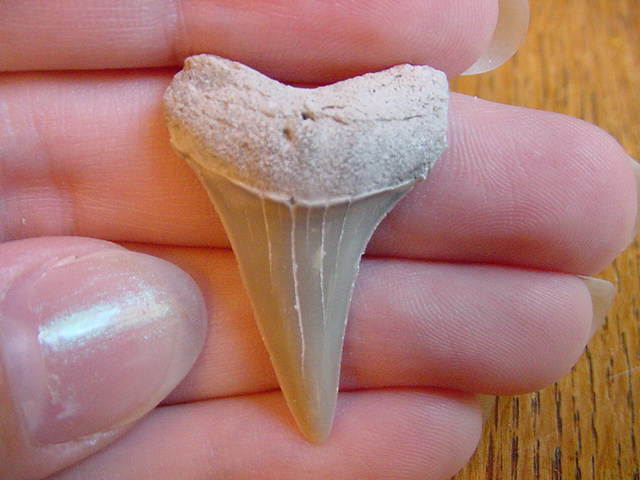 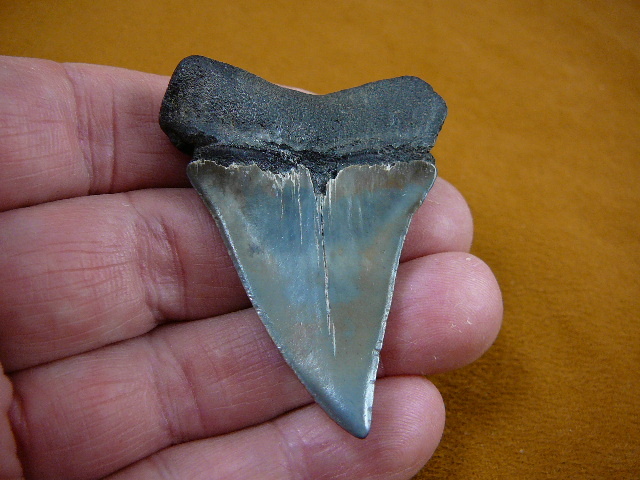 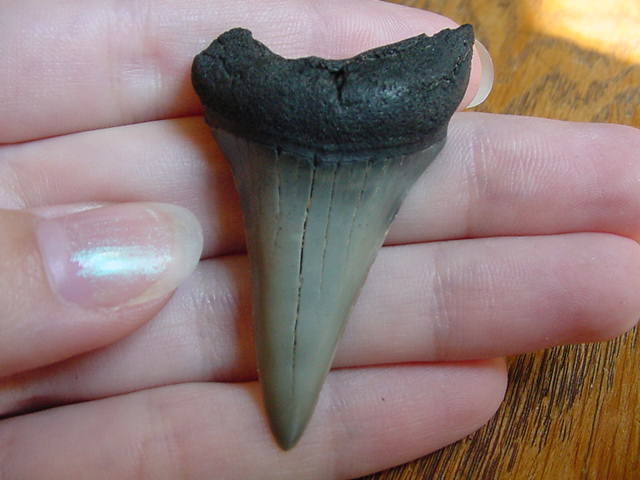 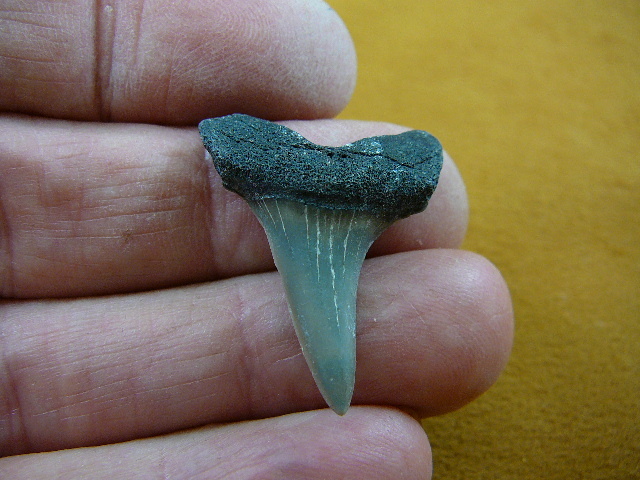 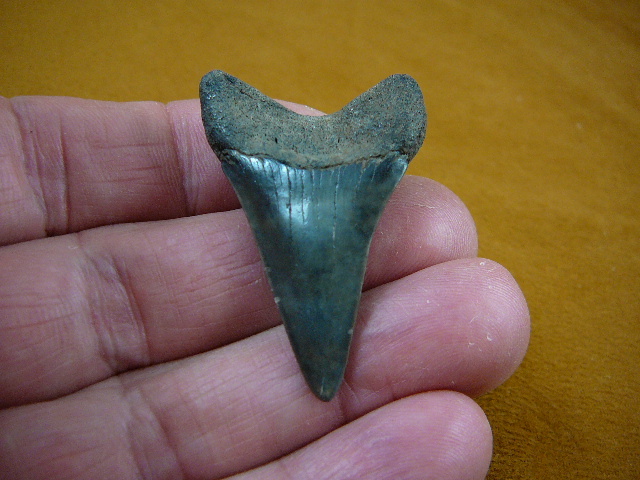 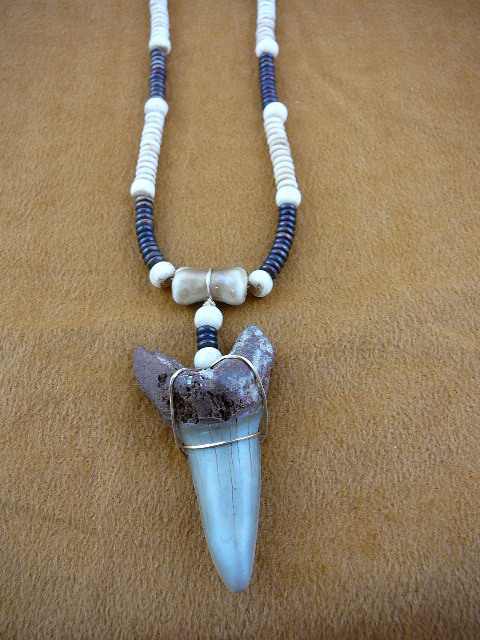 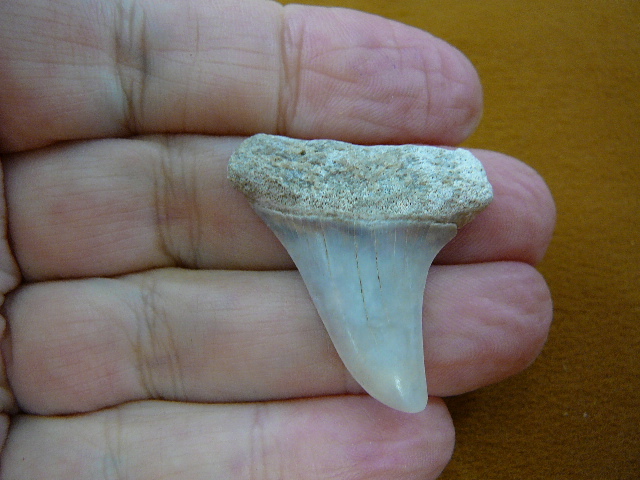 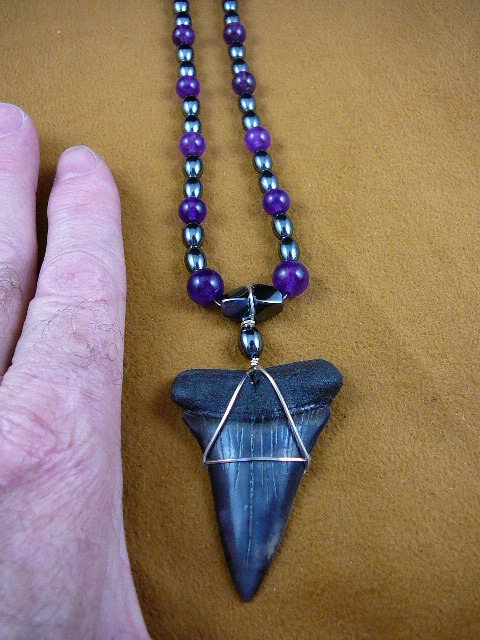 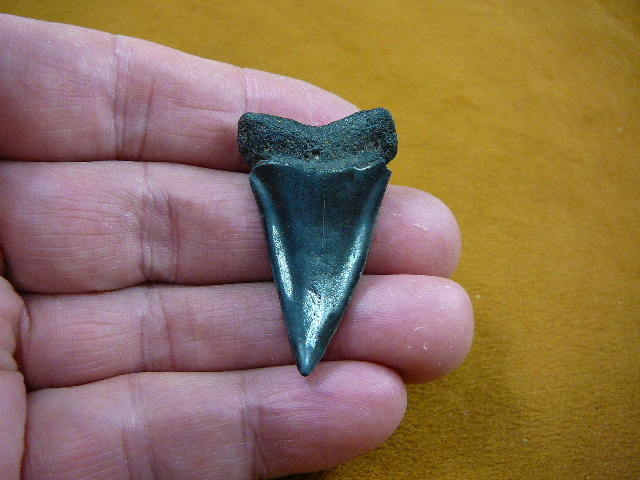 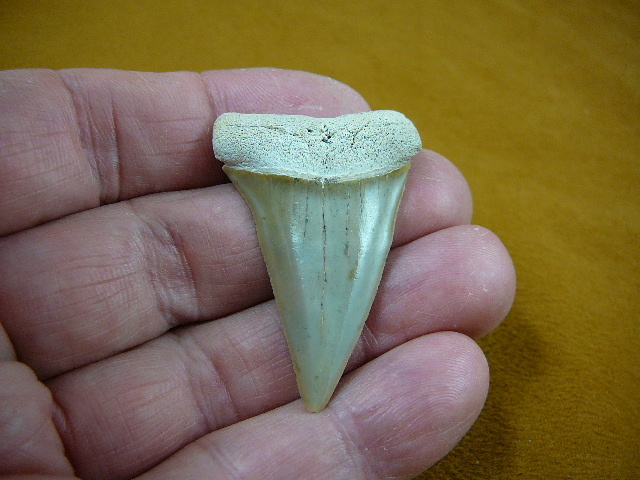 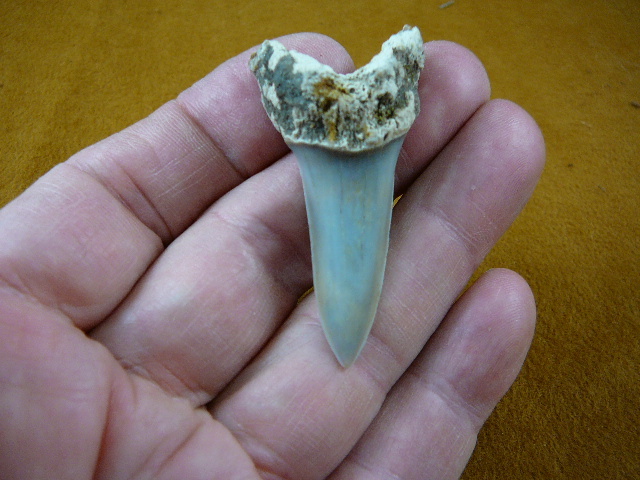 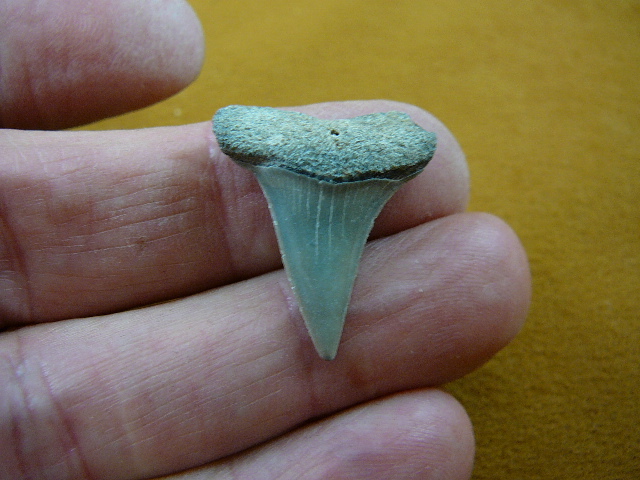 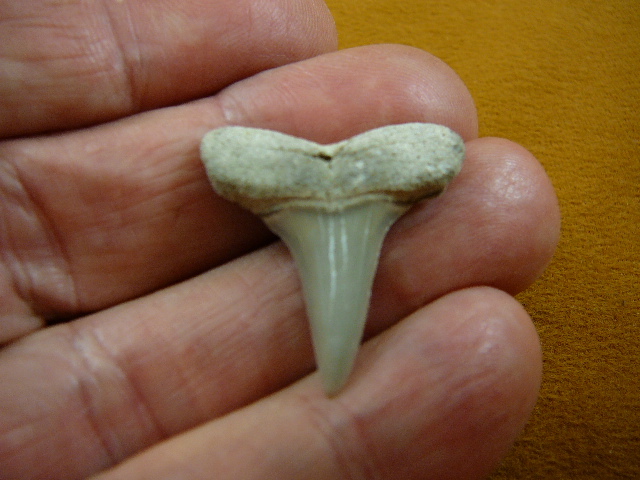 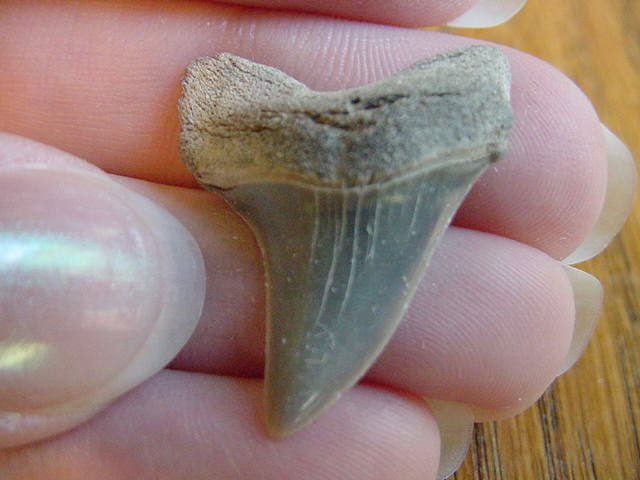 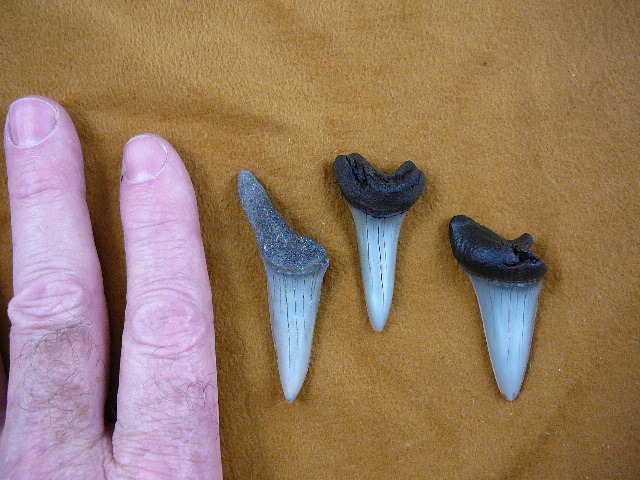 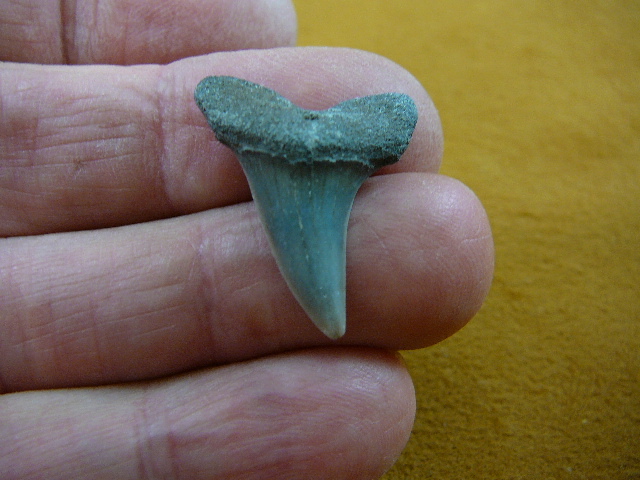 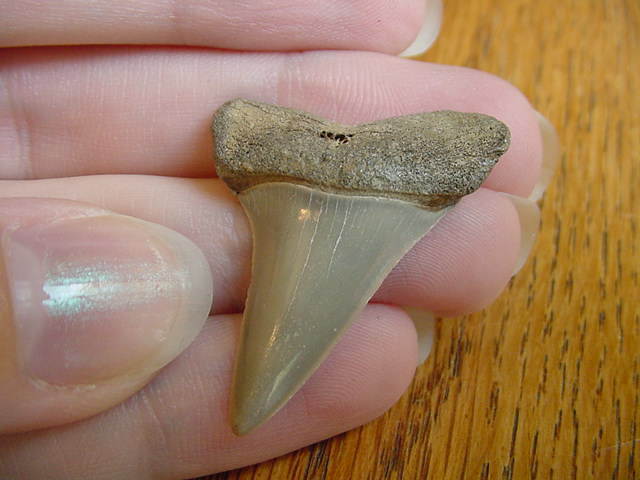 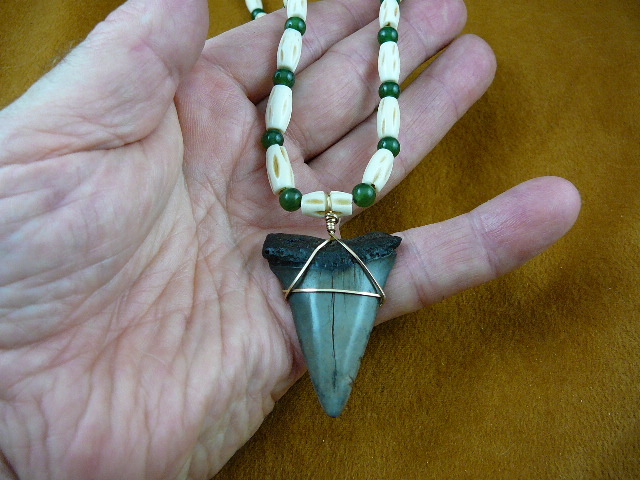 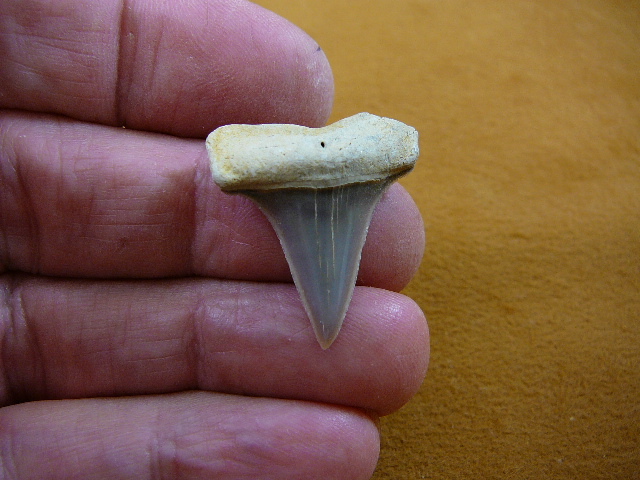 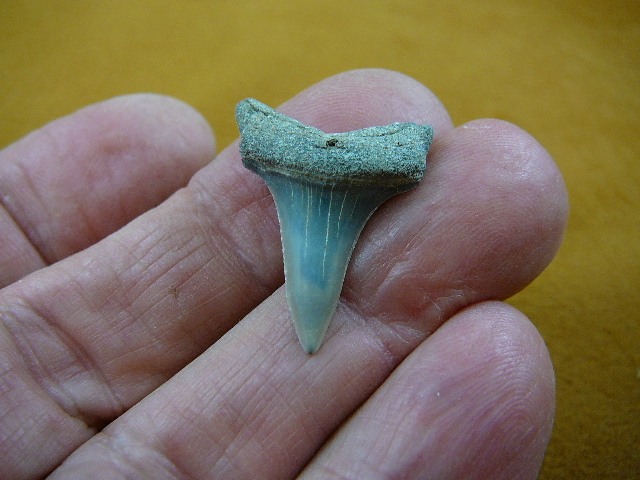 The long narrow teeth are the same species as the modern-day mako. 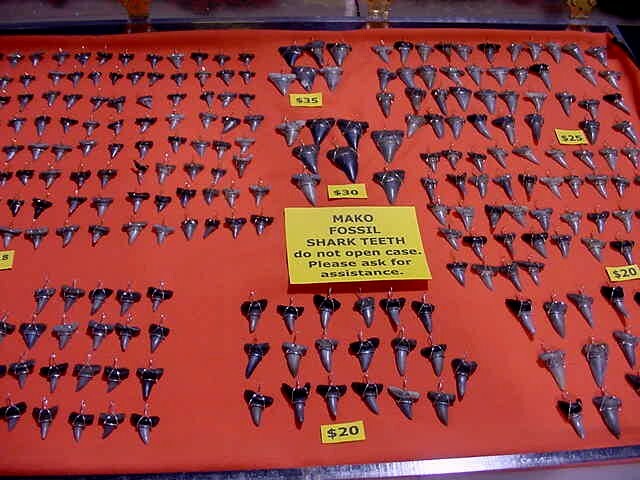 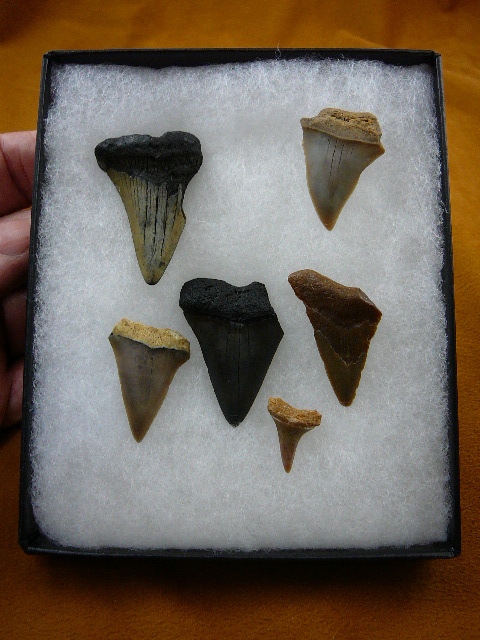 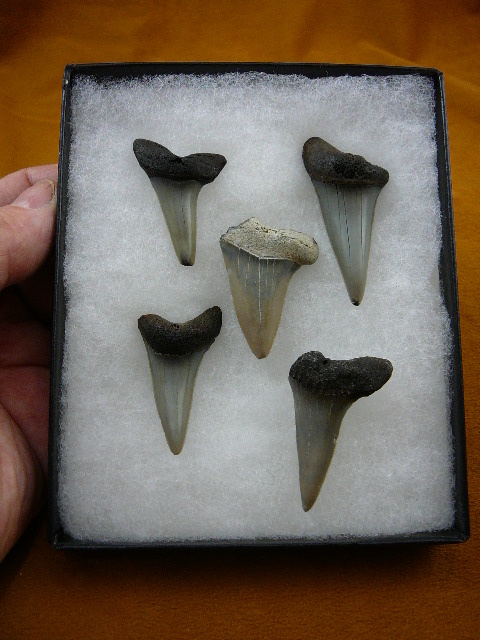 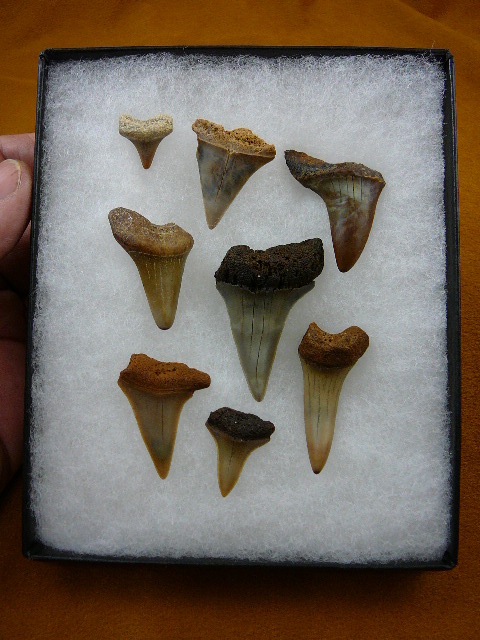 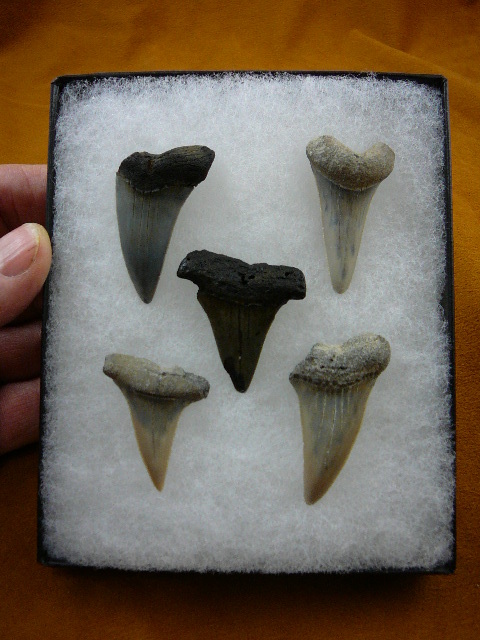 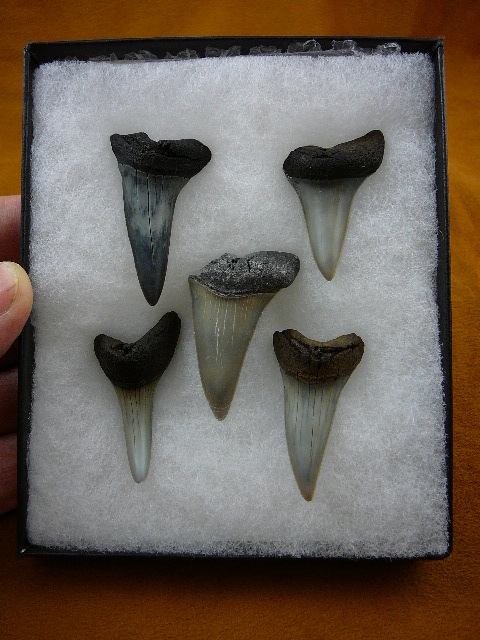 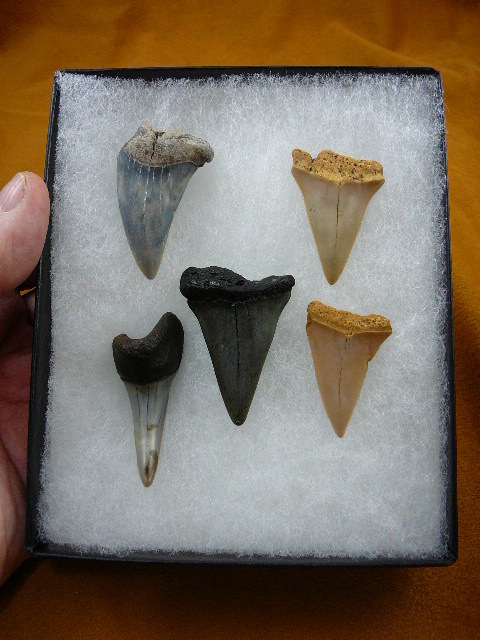 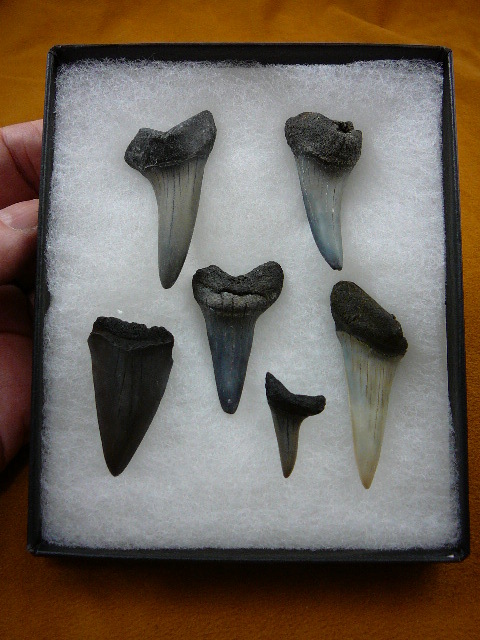 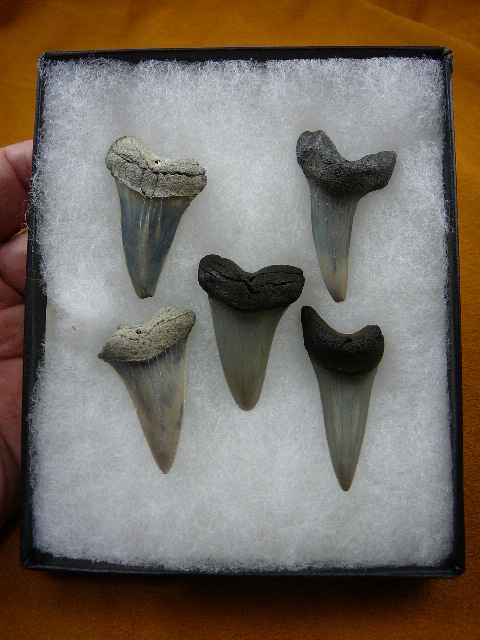 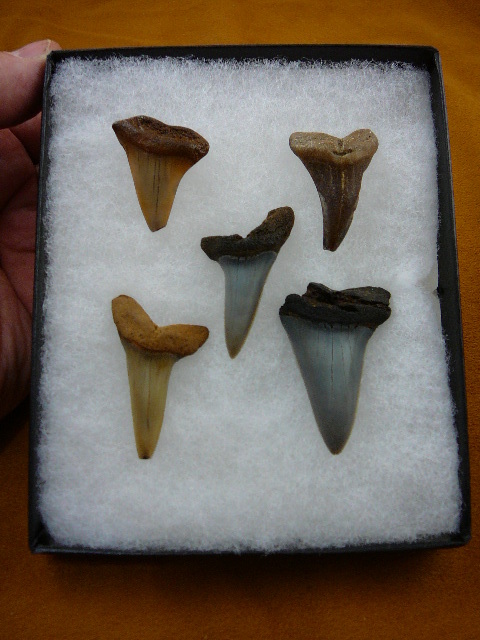 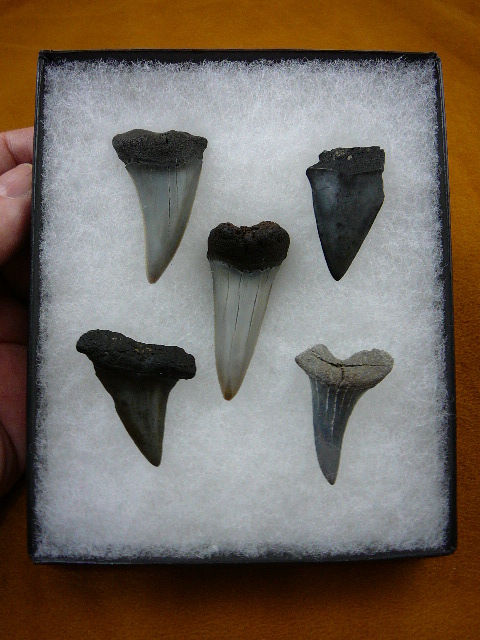 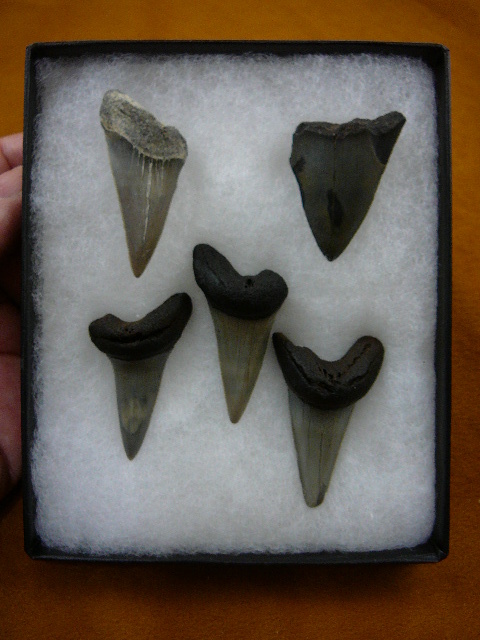 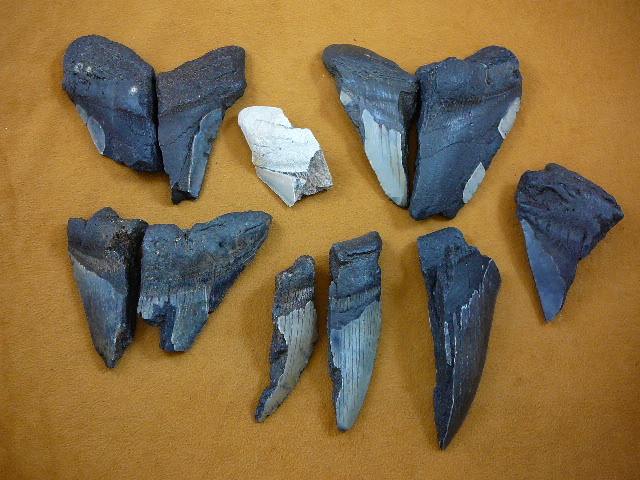 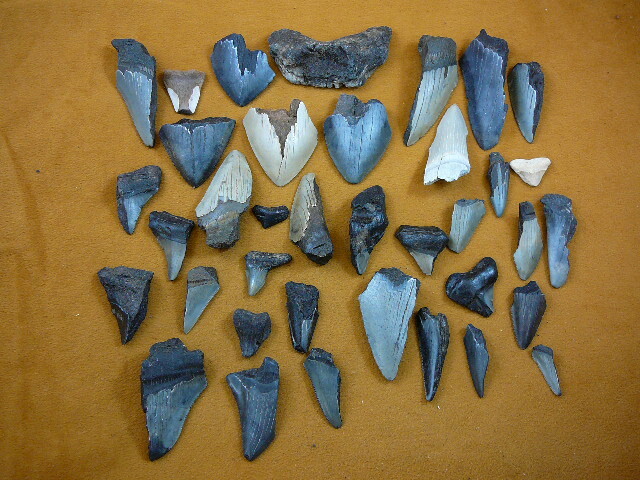 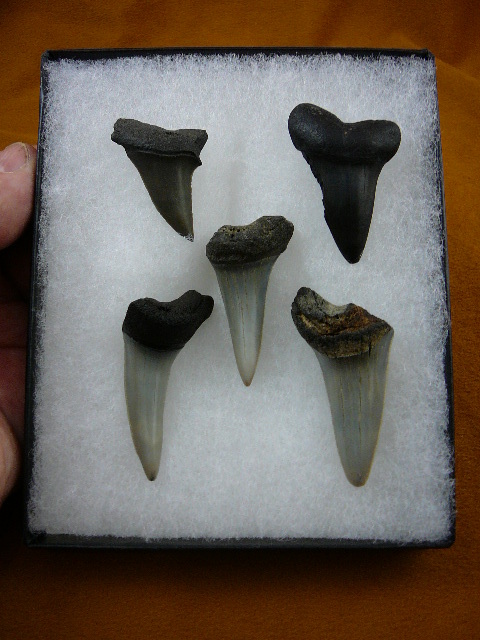 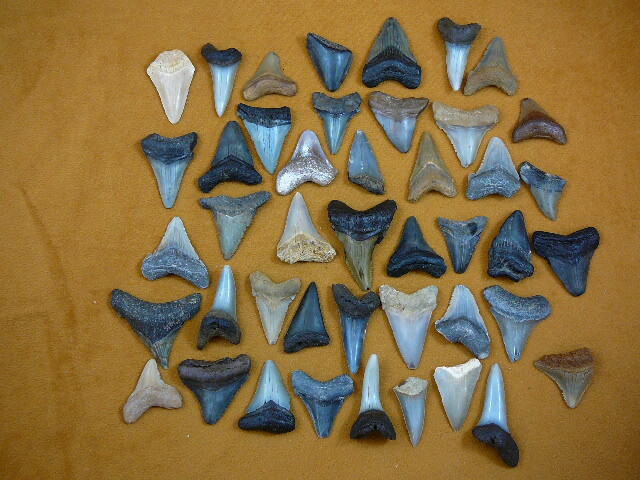 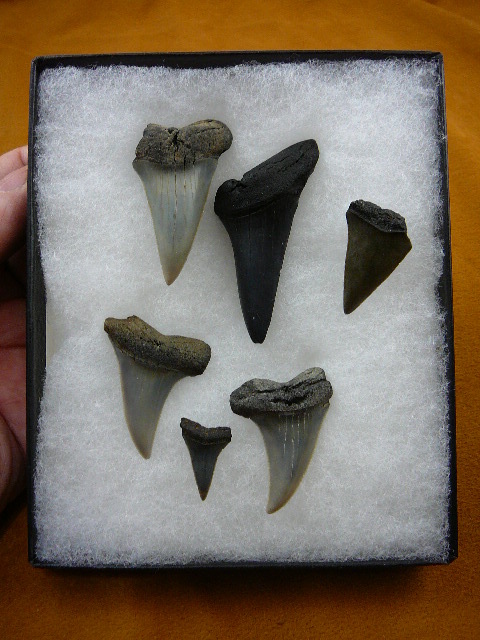 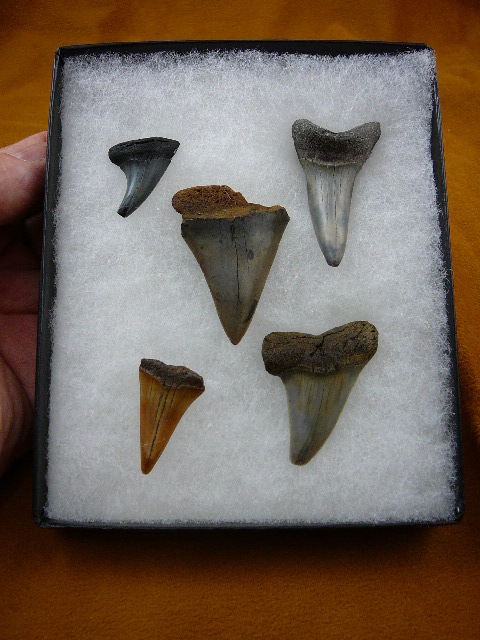 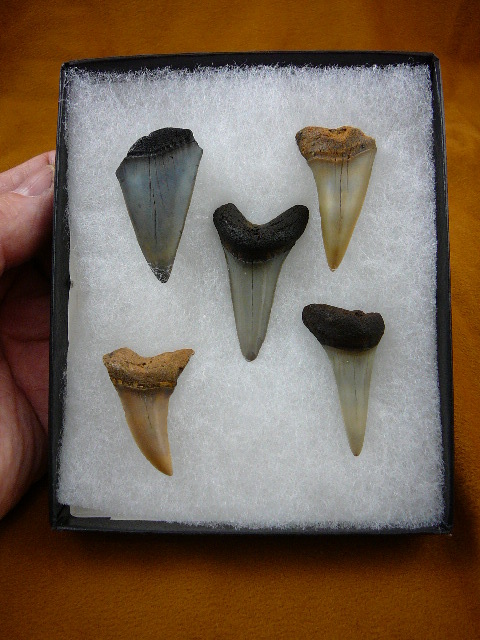 Above is a sample of the mako teeth we have available, we have an awesome selection here for you, and thousands more as backup. 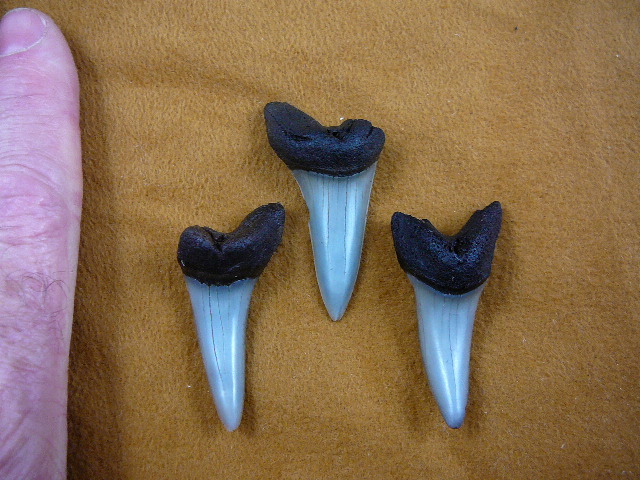 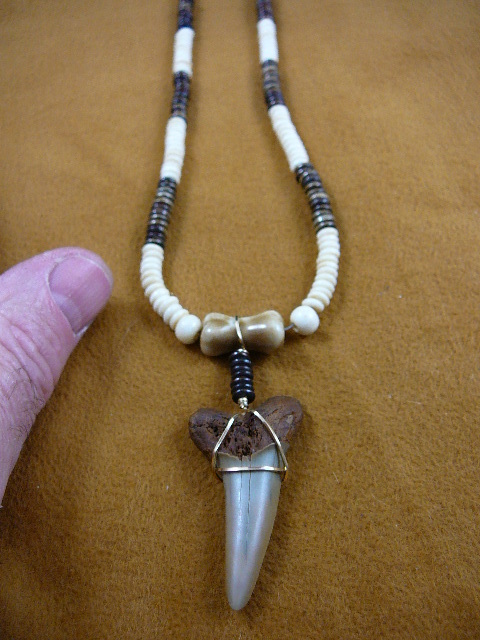 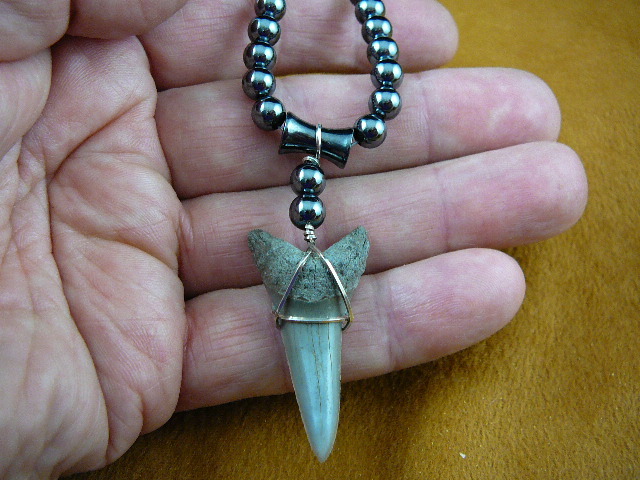 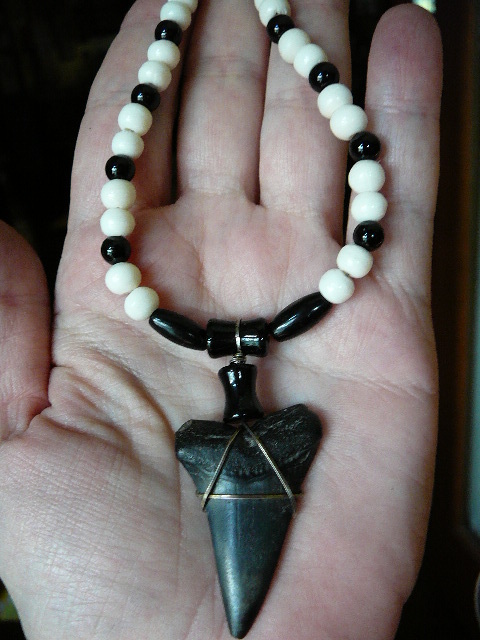 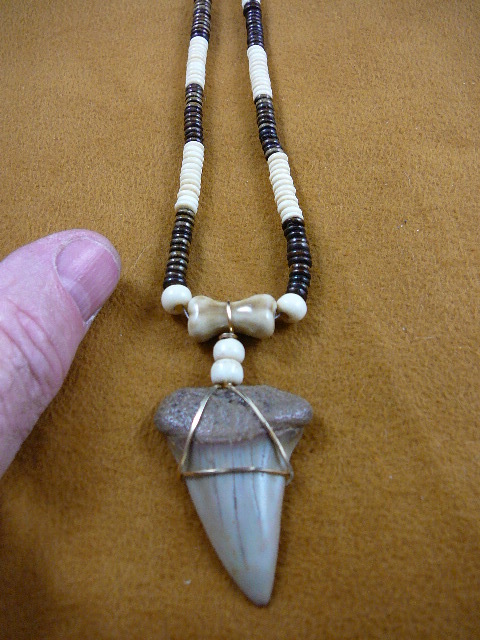 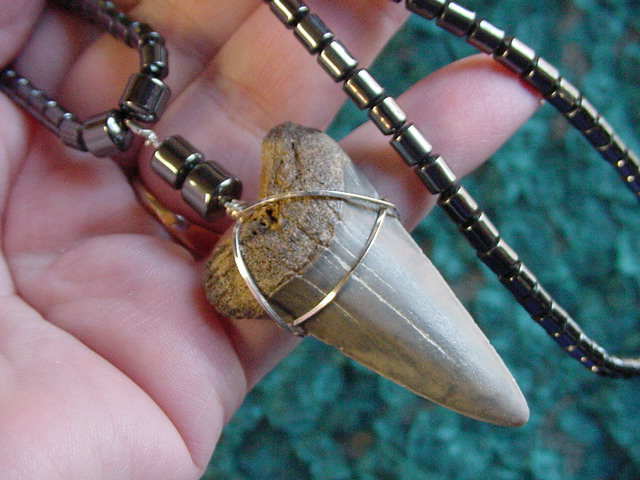 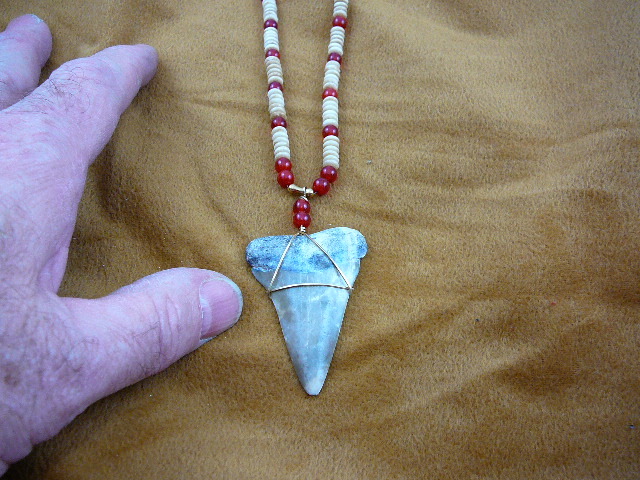 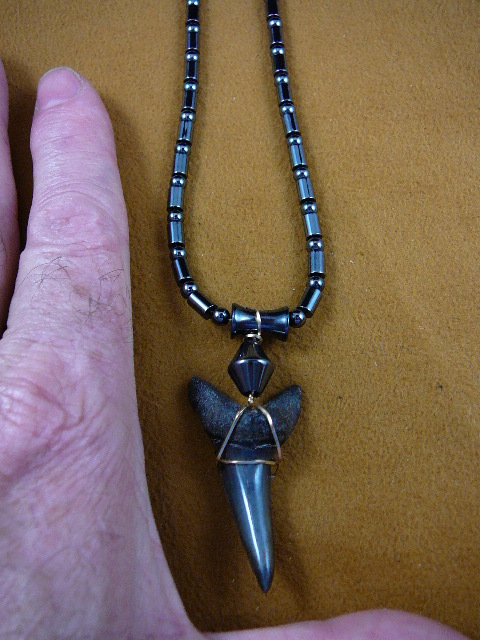 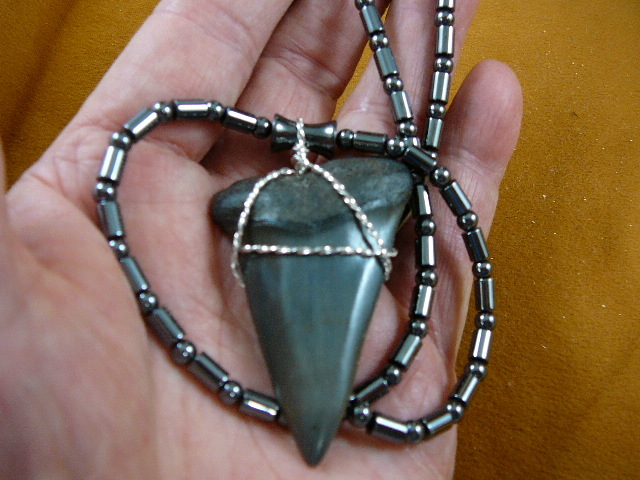 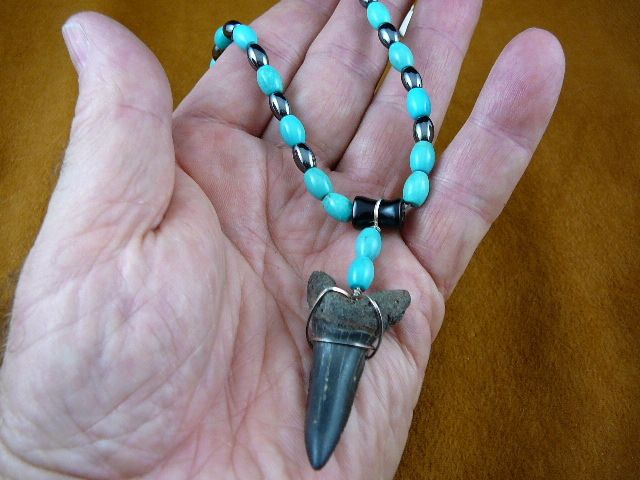 Each set have five teeth unless marked. 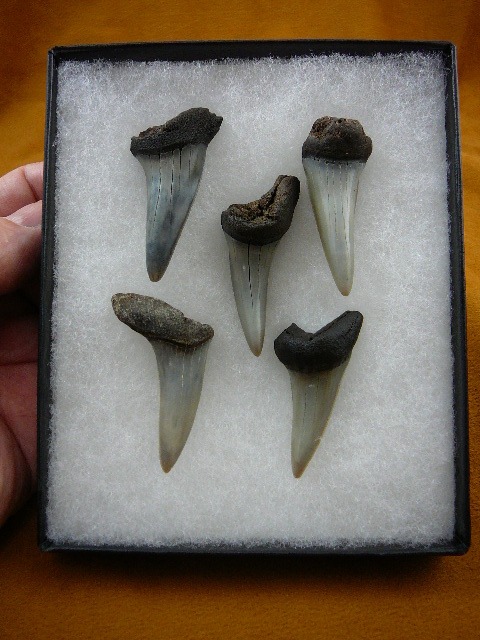 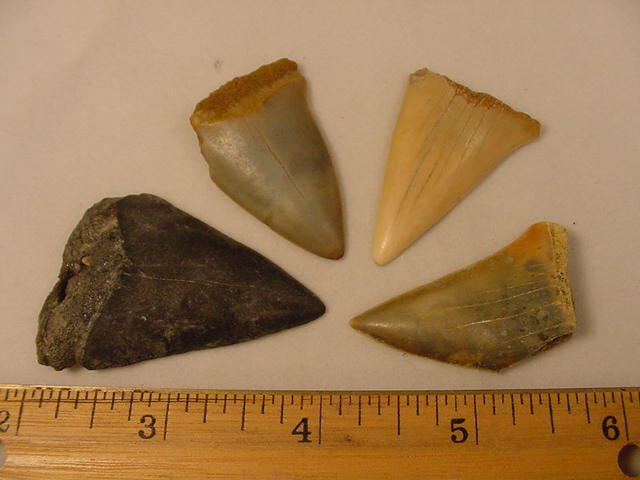 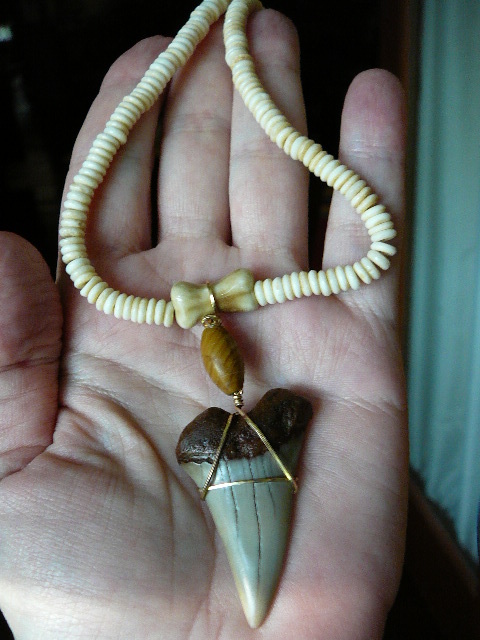 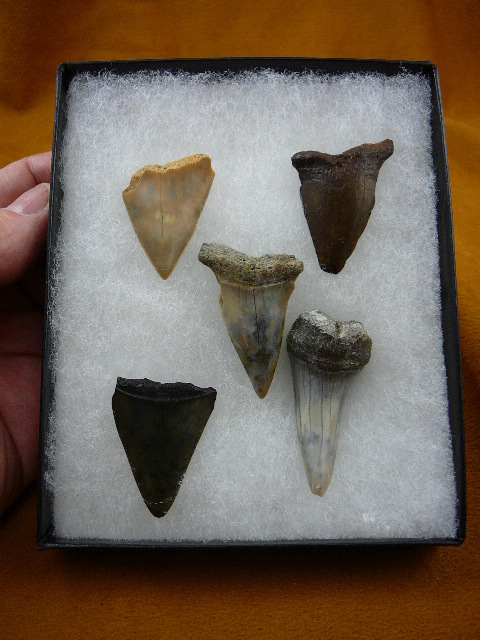 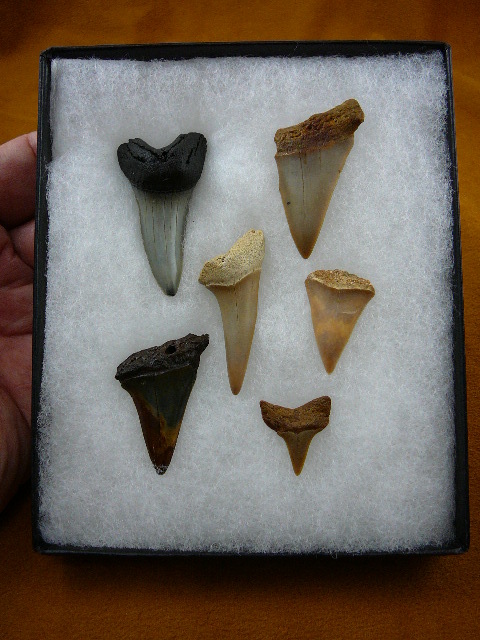 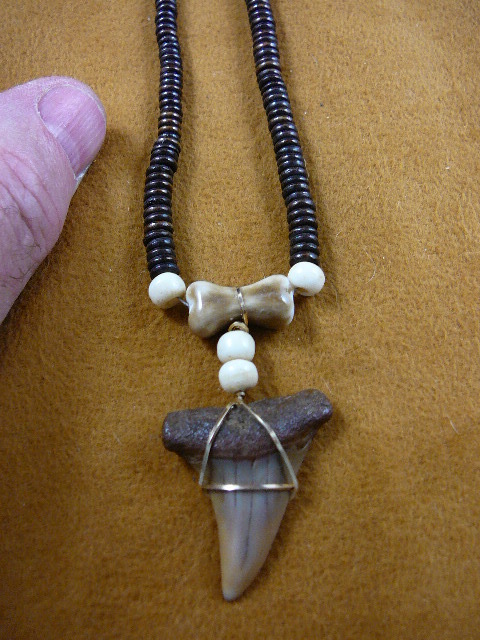 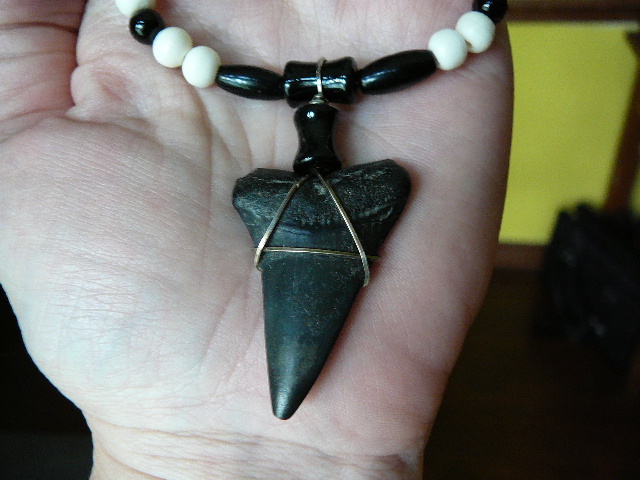 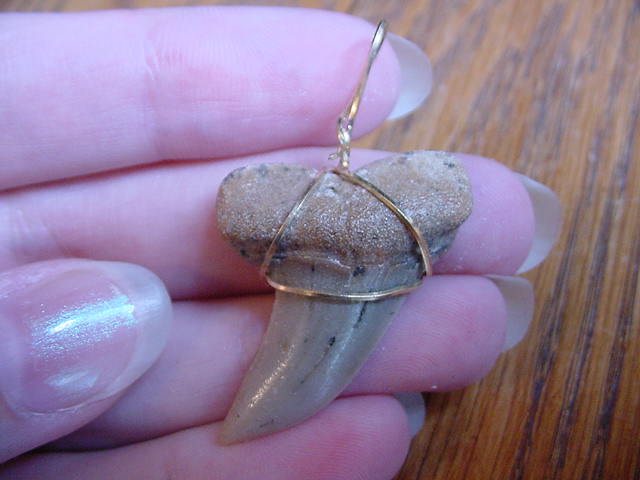 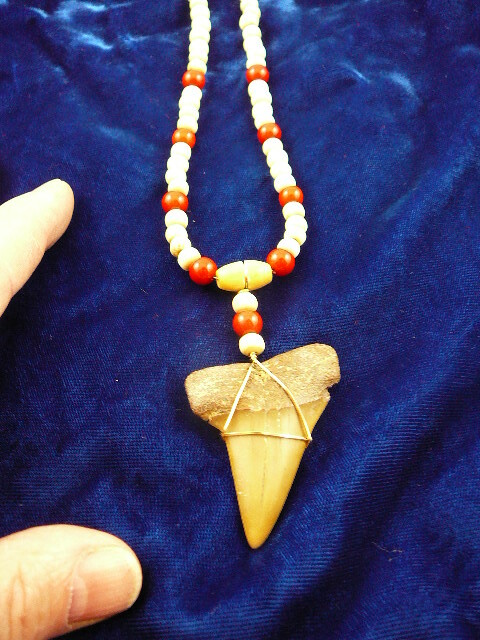 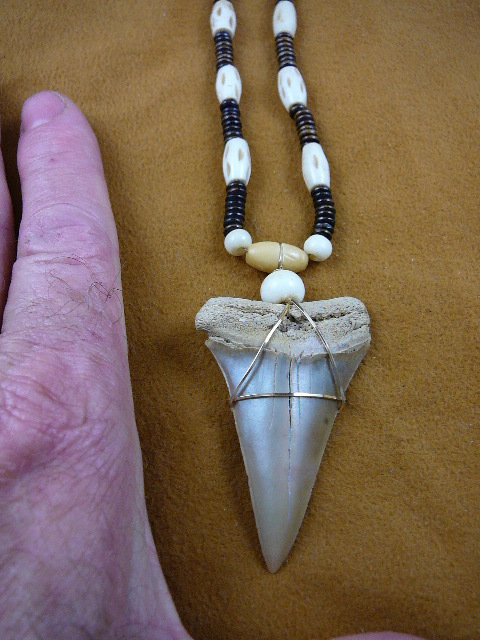 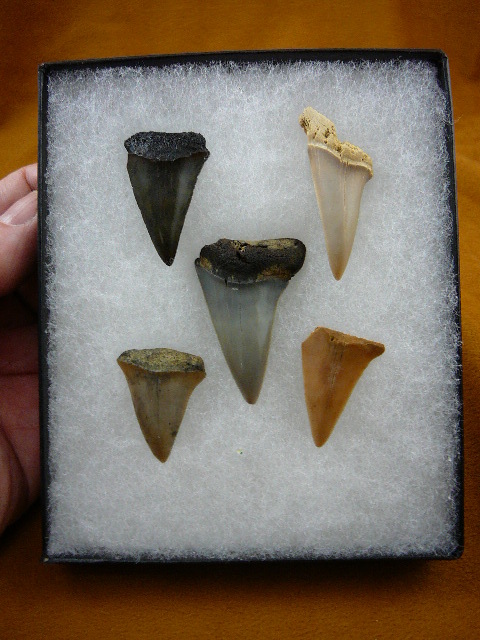 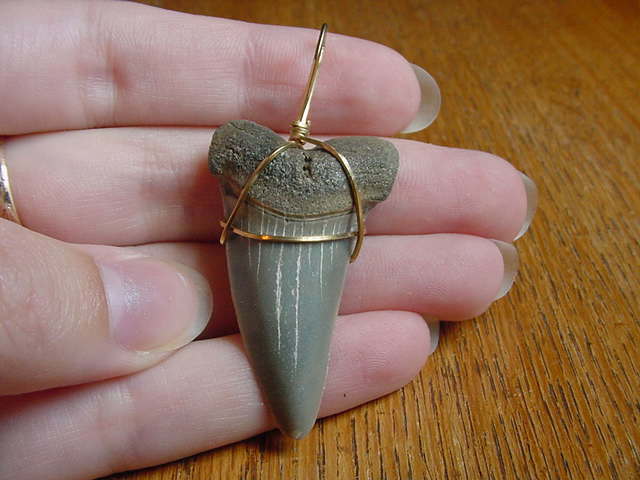 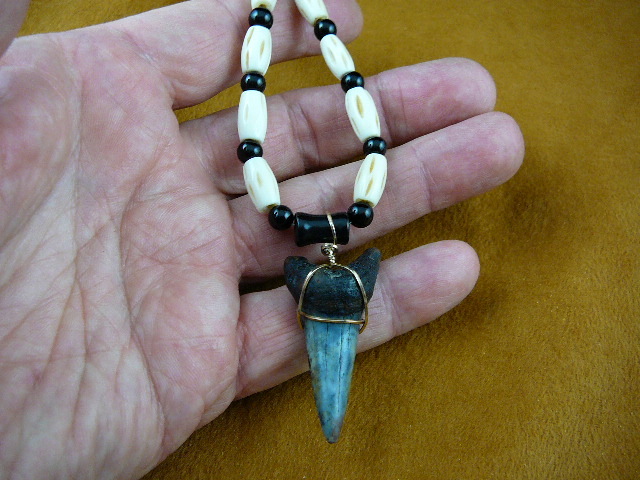 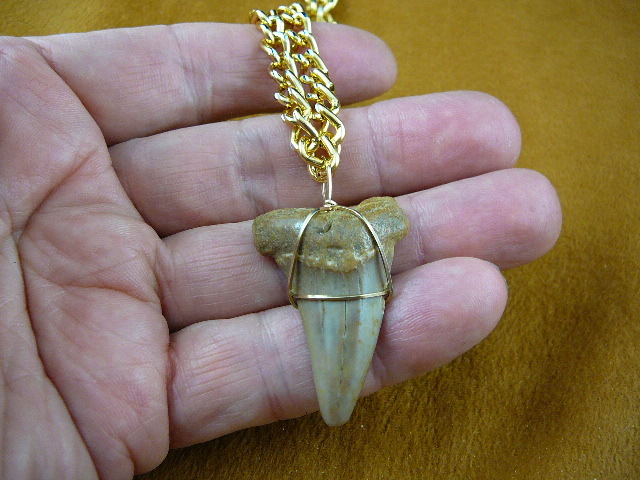 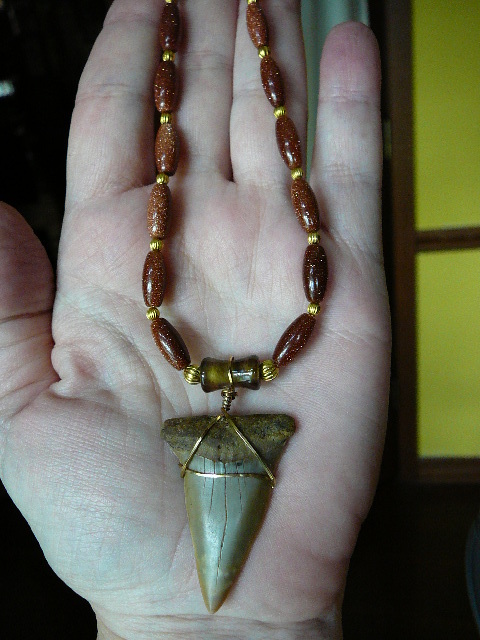 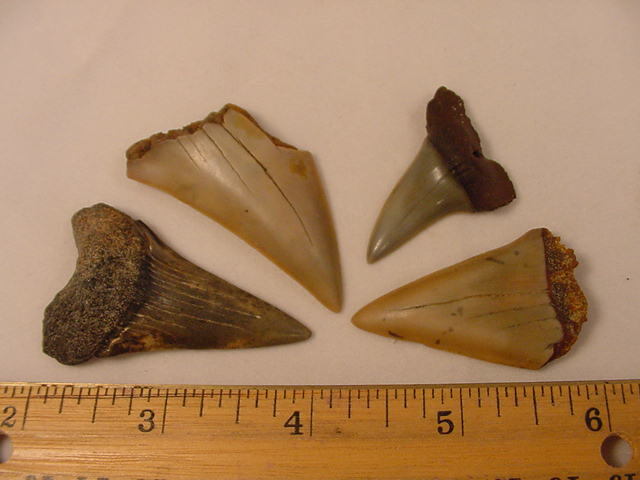 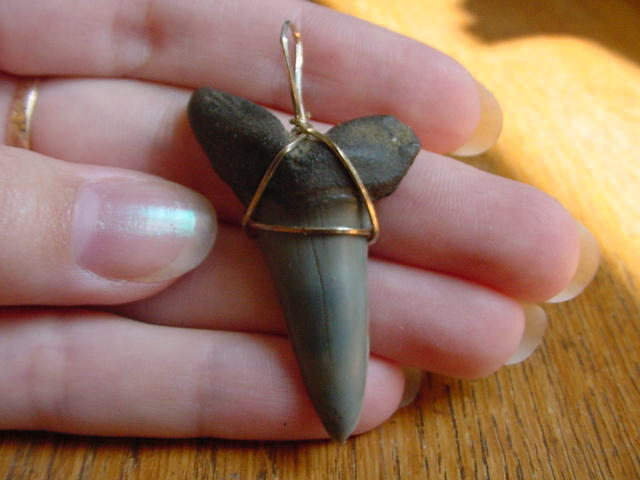 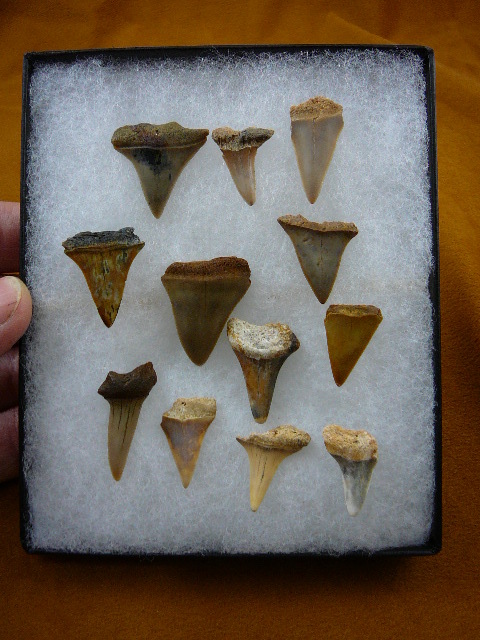 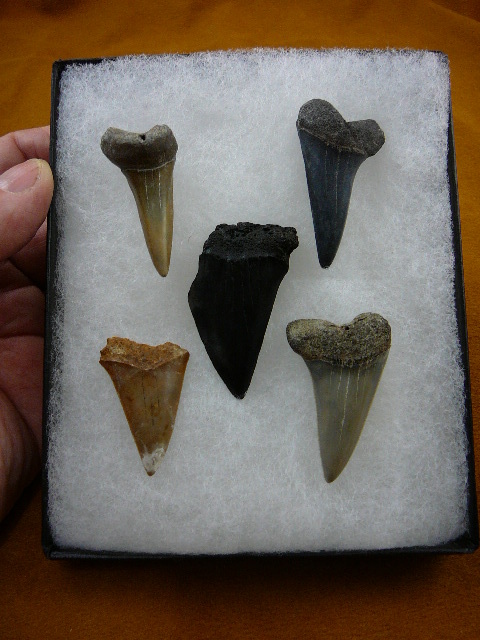 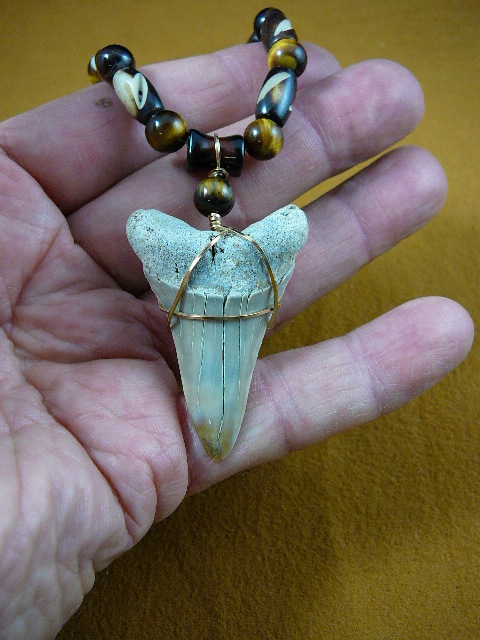 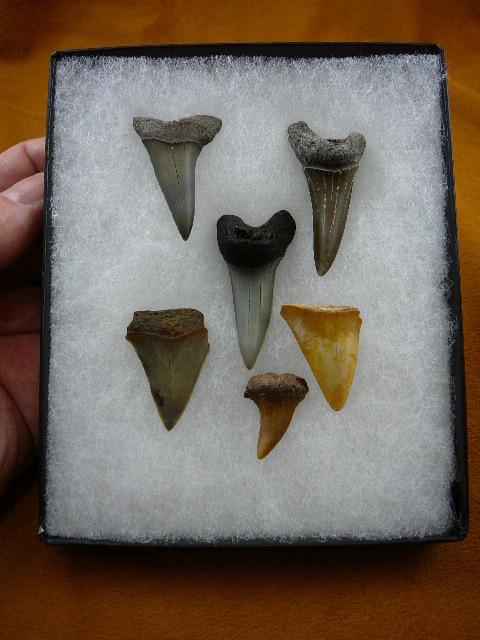 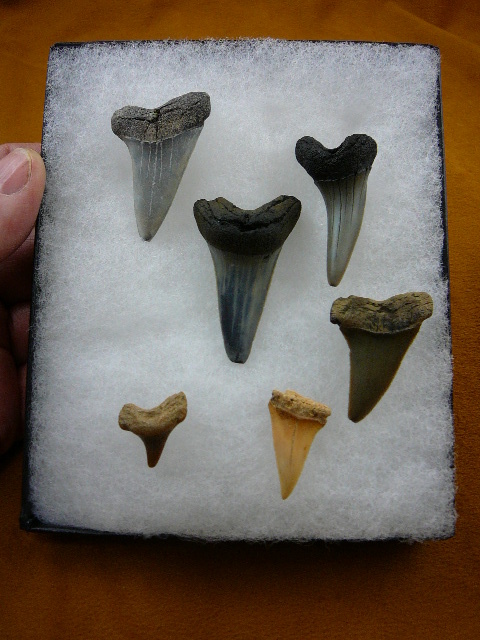 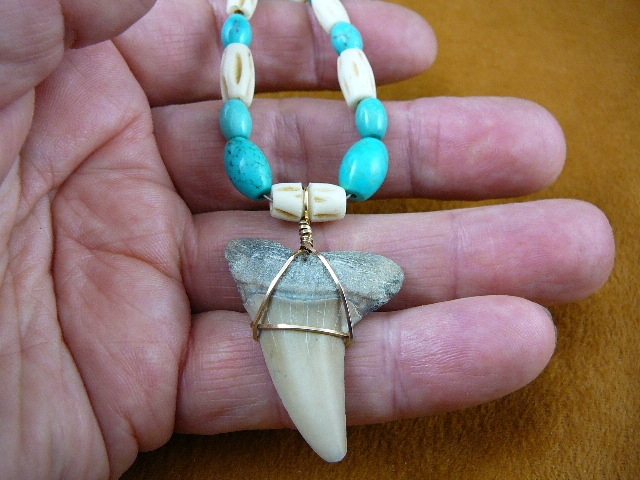 Some collectible because they are extremely large (rare), or upper central teeth (rare), or flawless/near flawless. 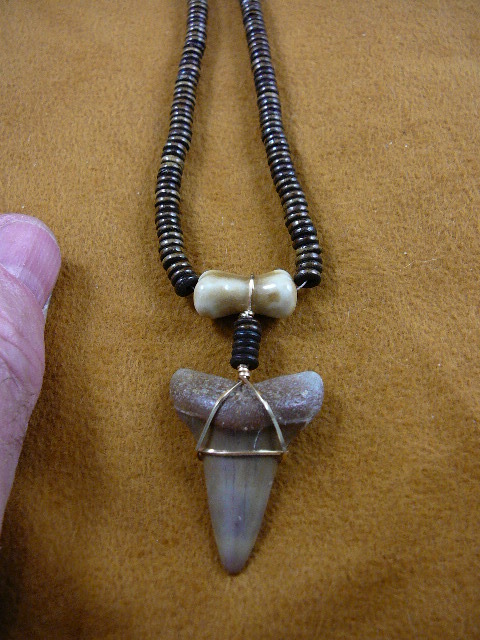 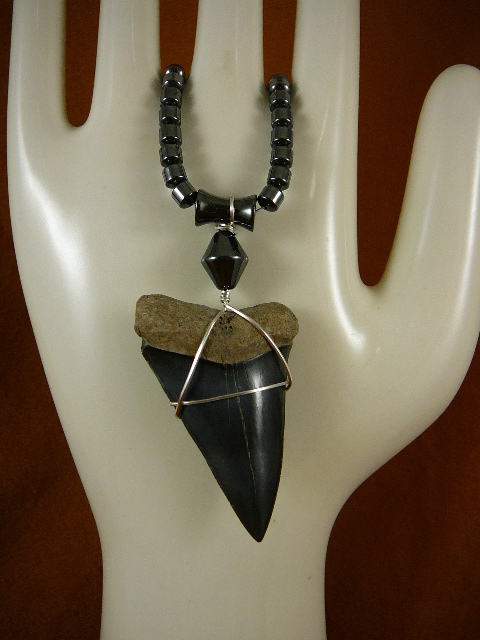 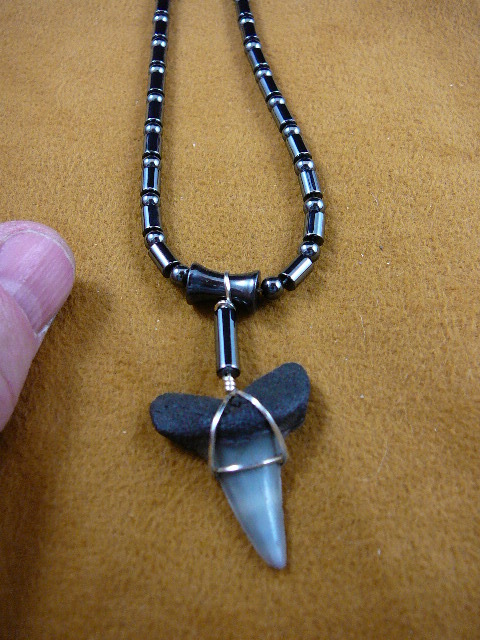 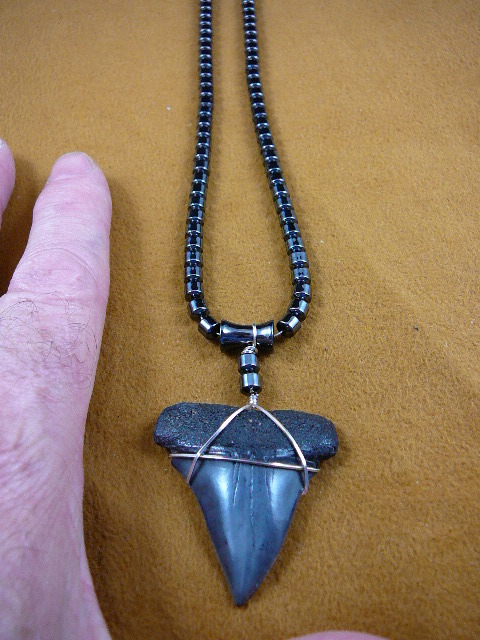 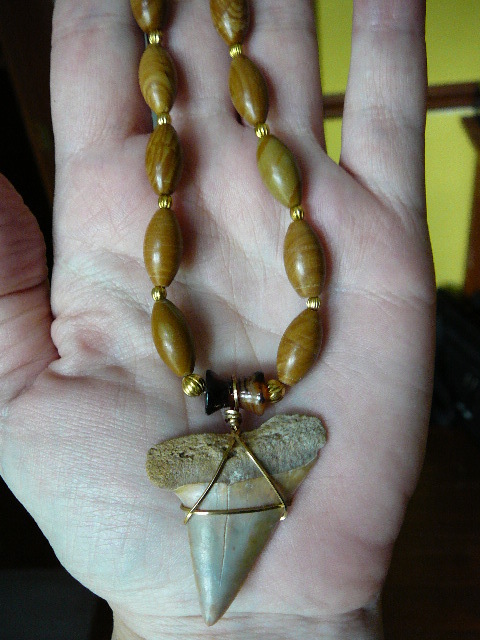 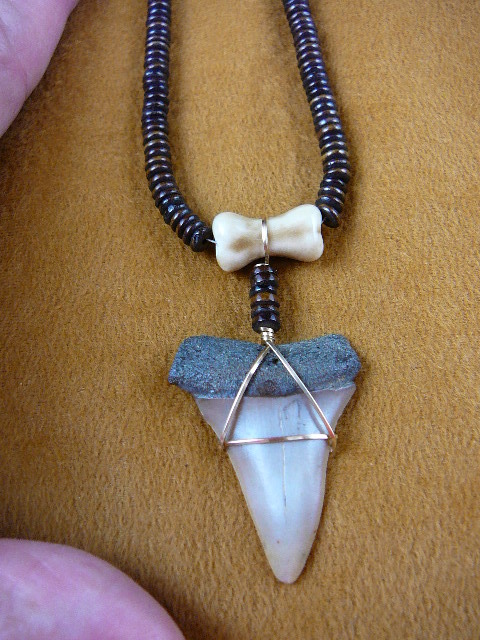 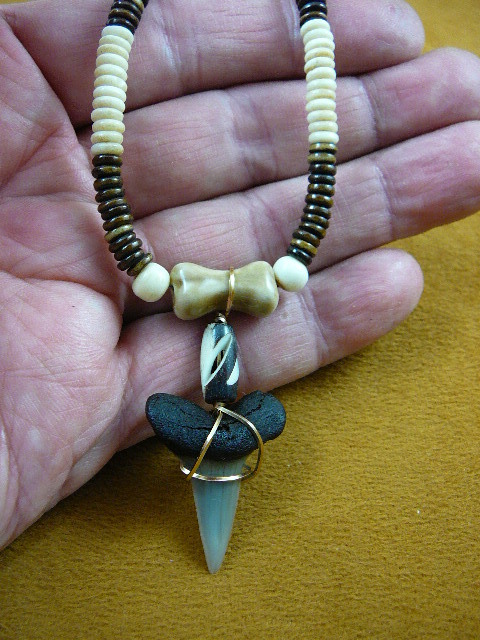 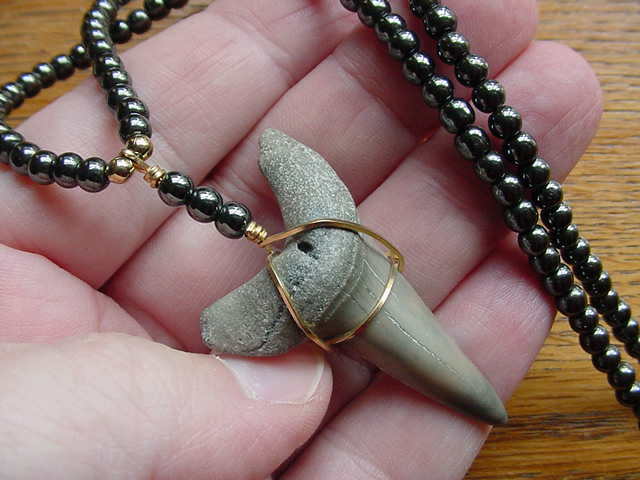 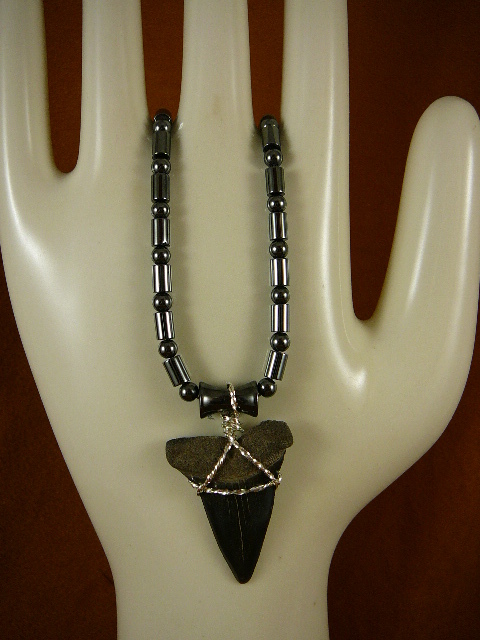 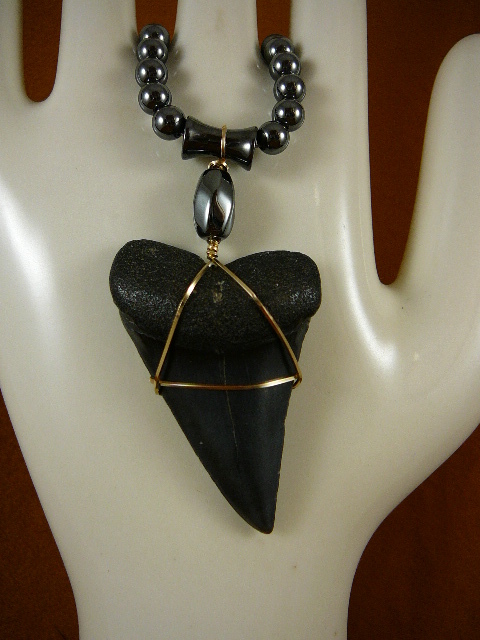 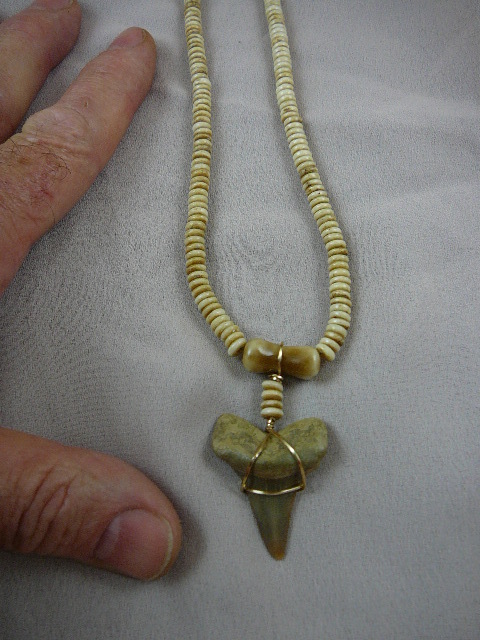 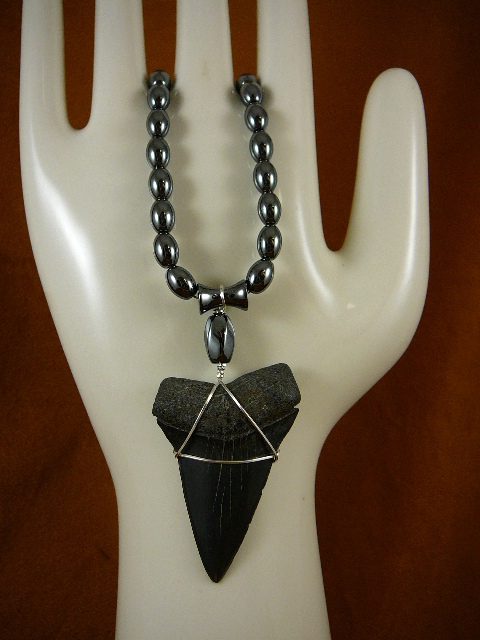 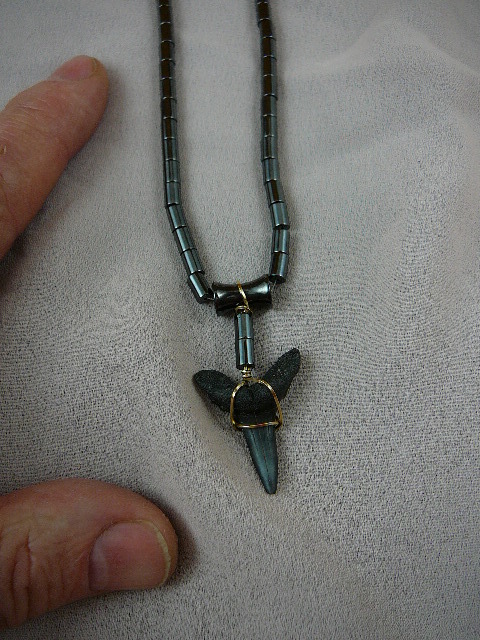 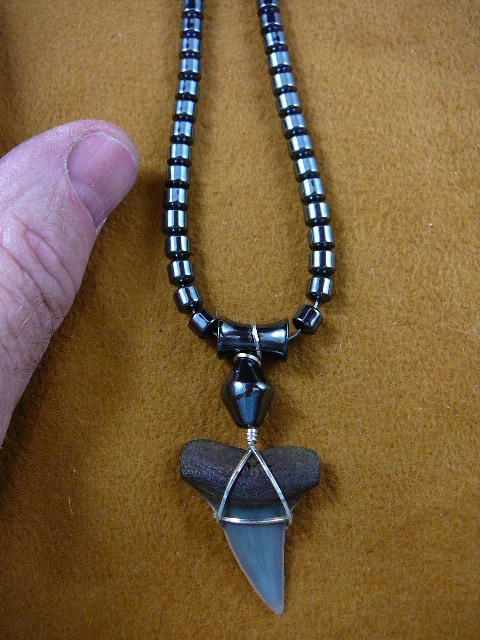 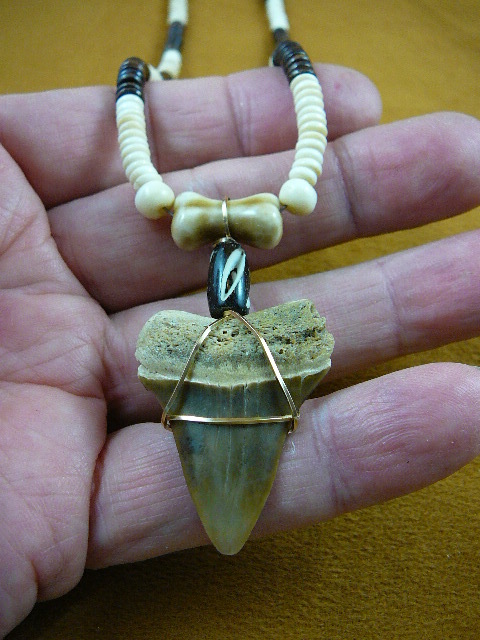 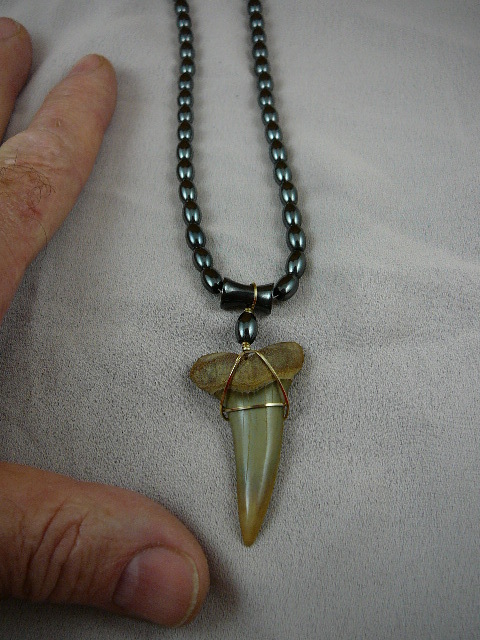 Gold wired on 21" hematite bead necklace. 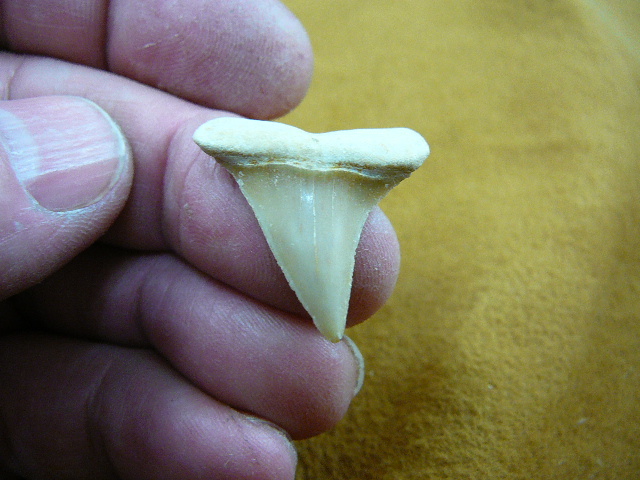 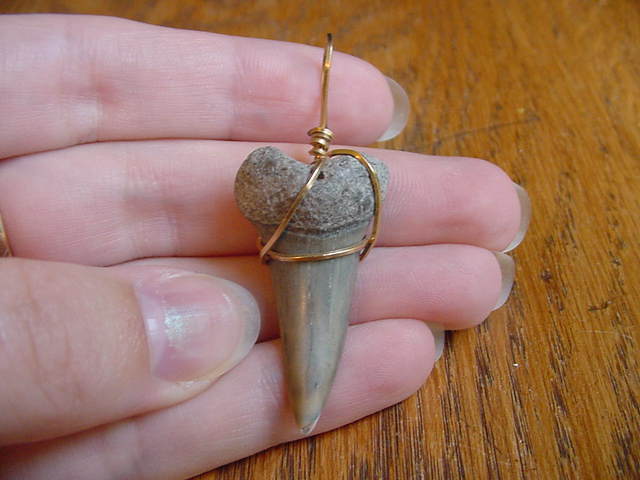 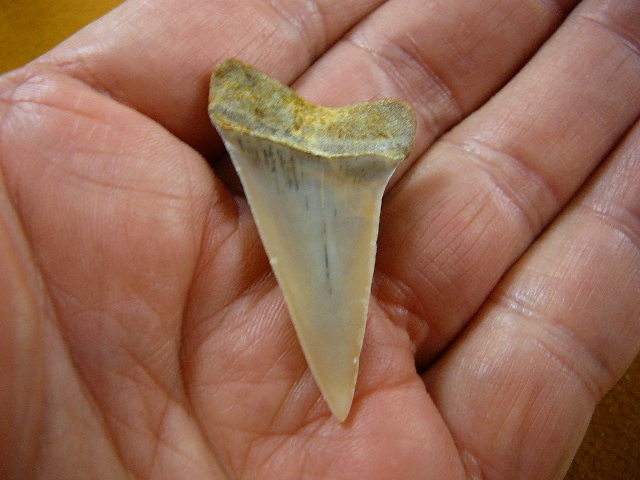 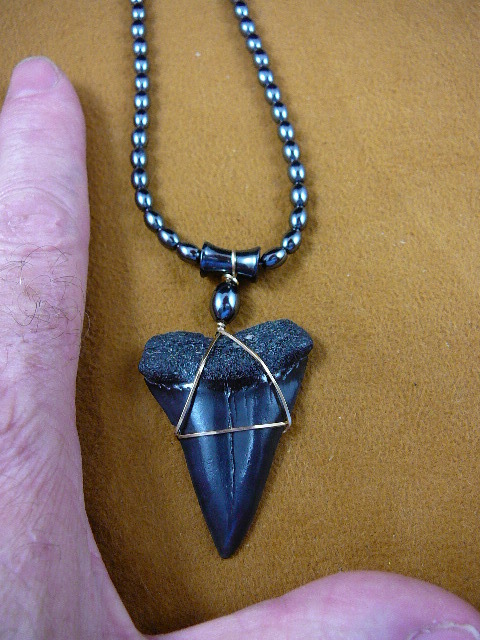 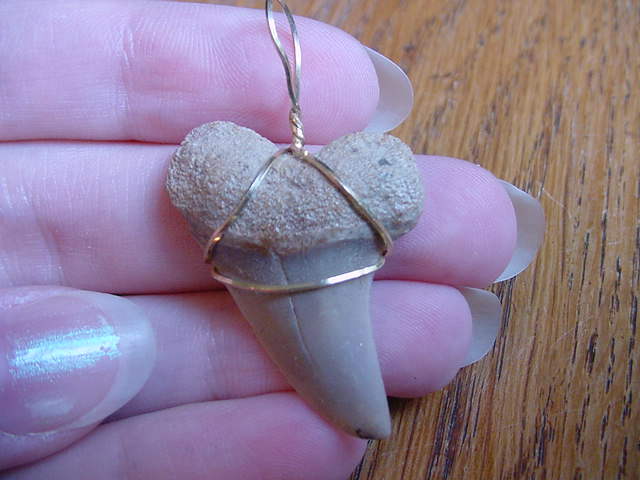 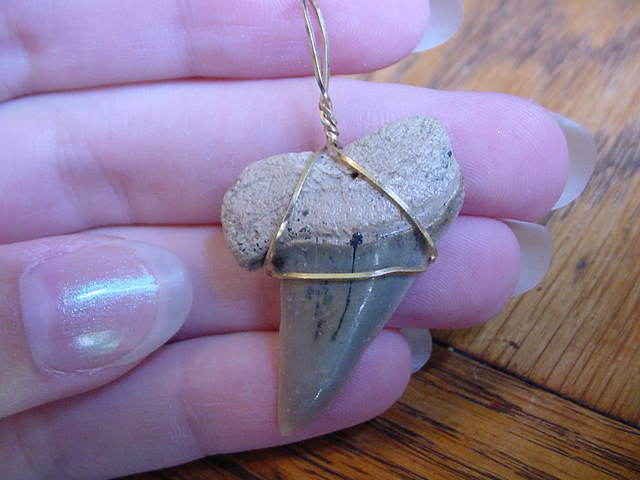 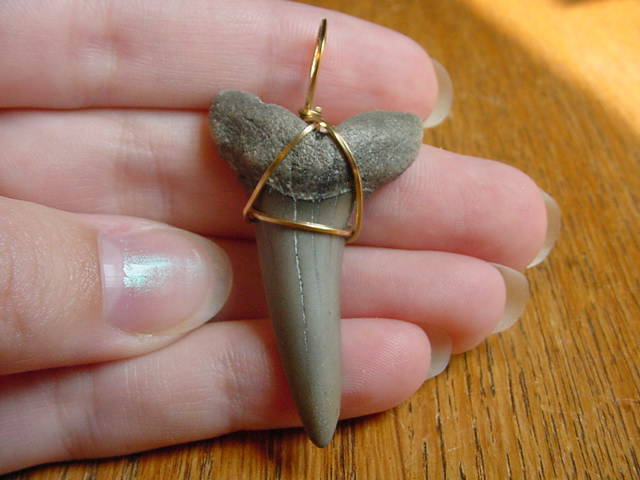 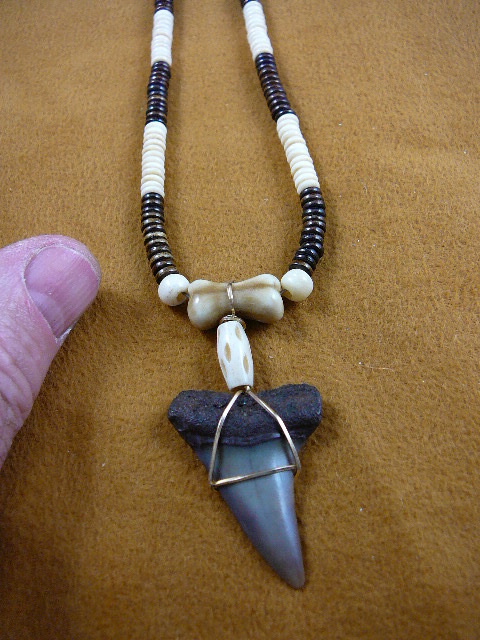 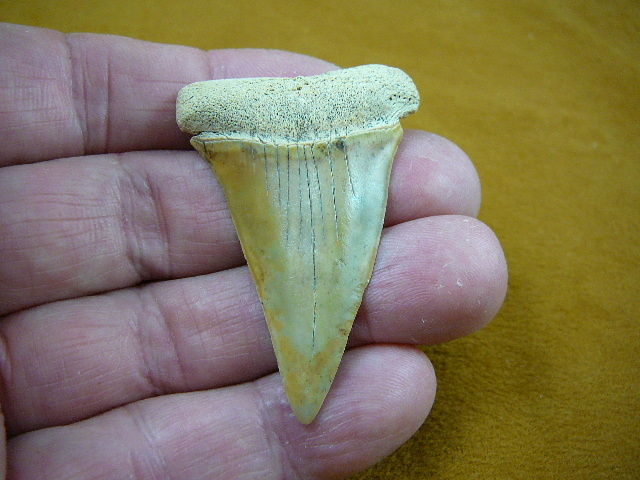 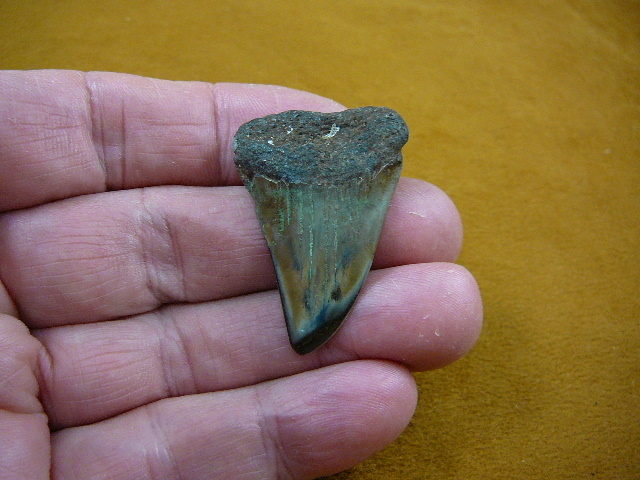 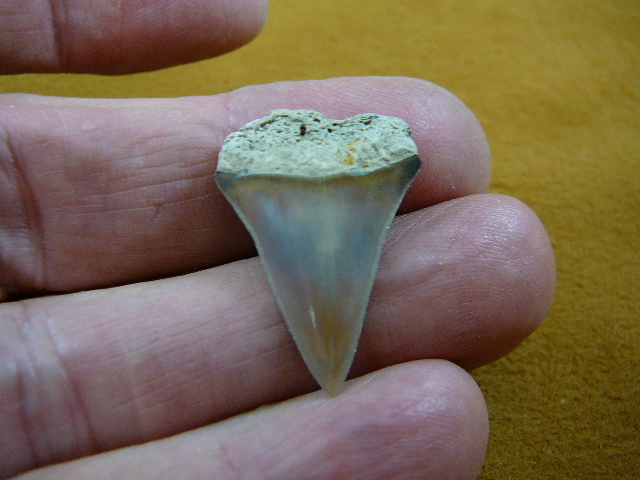 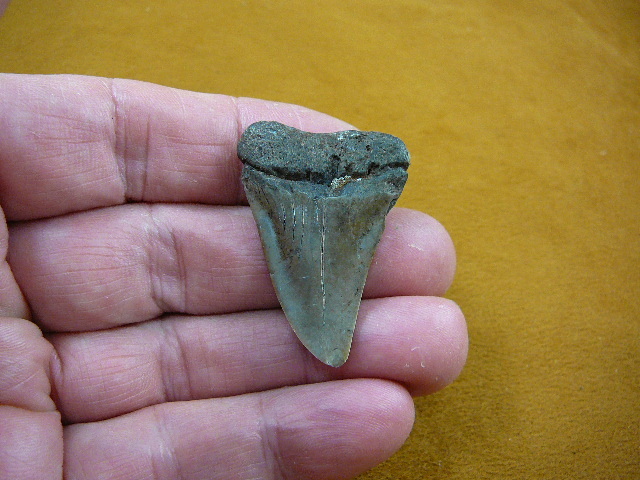 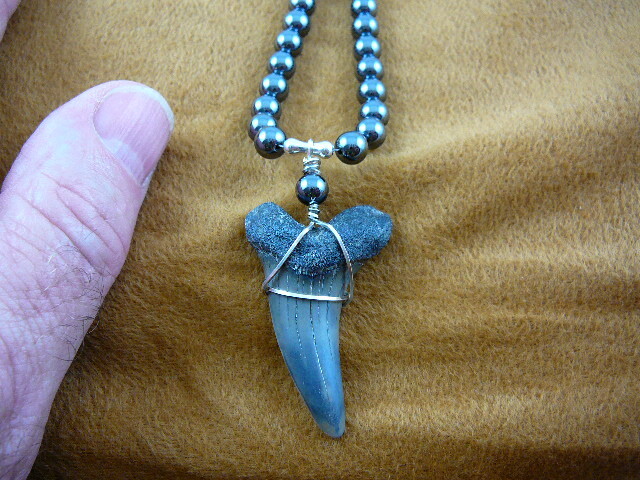 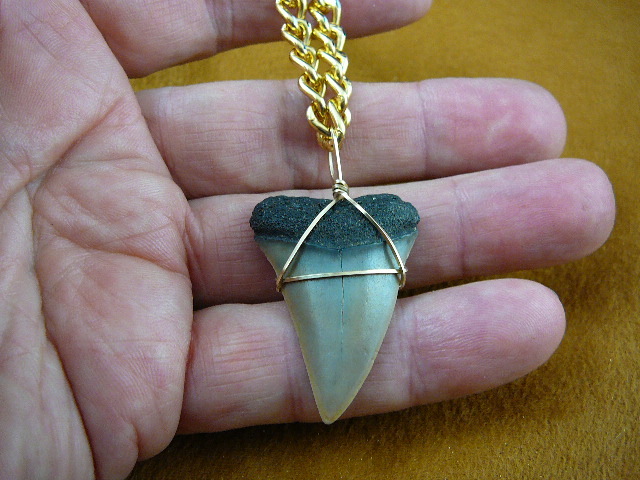 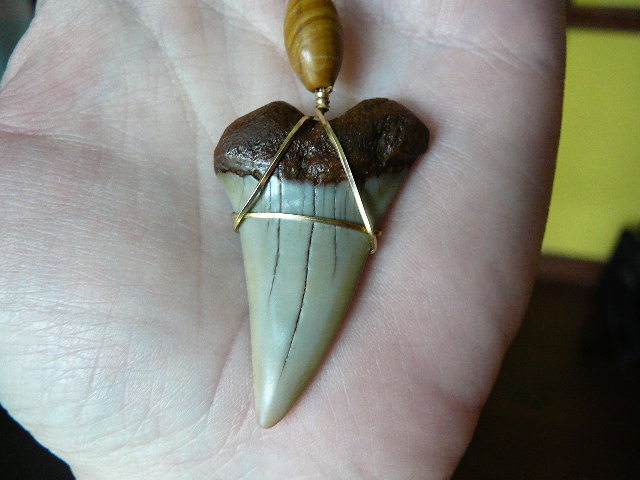 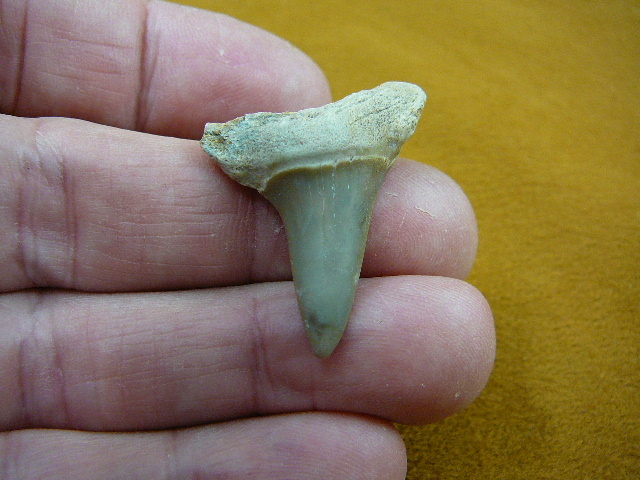 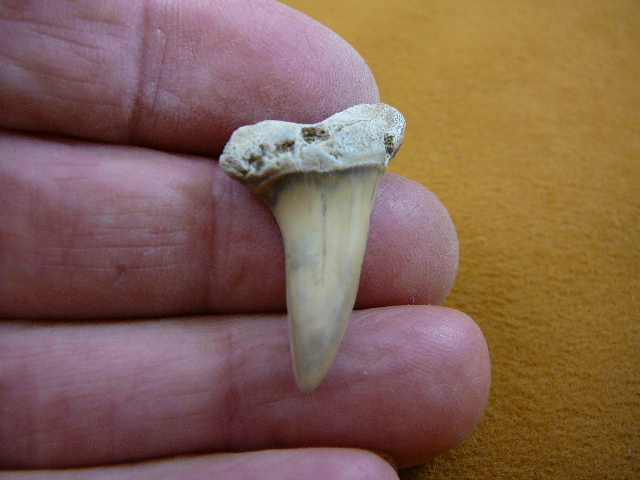 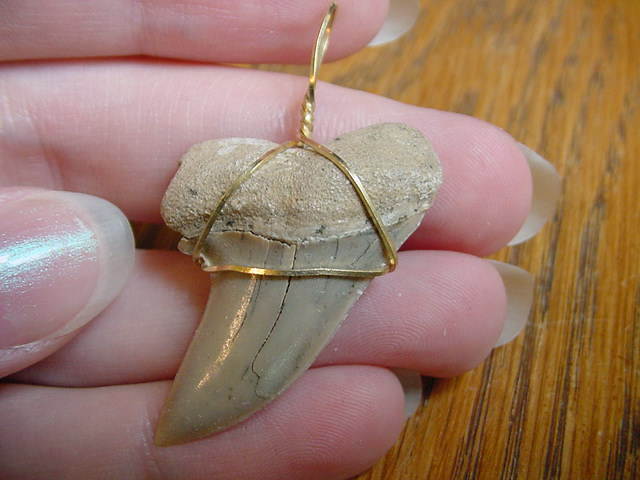 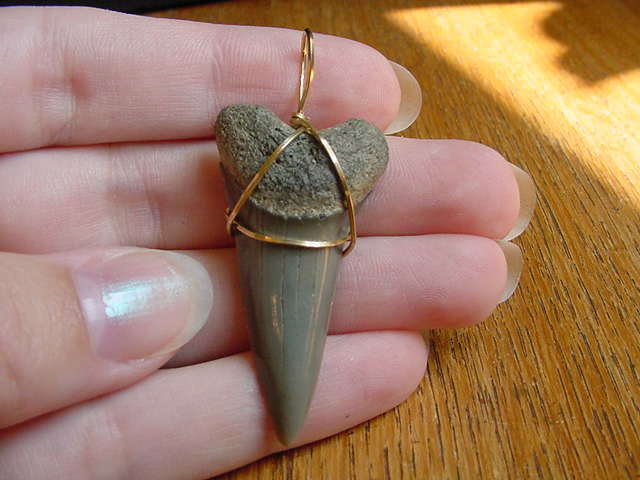 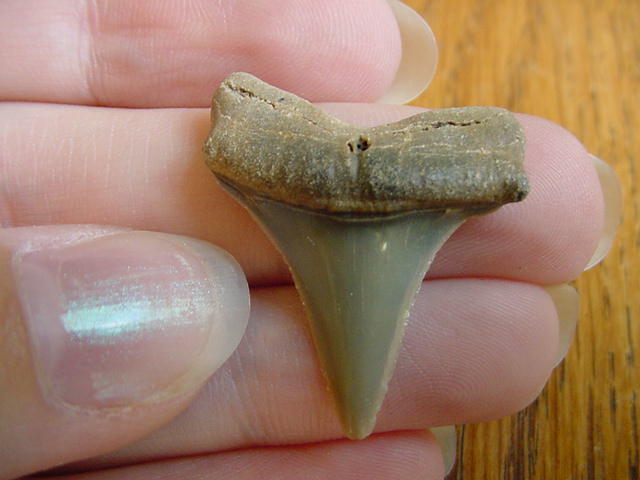 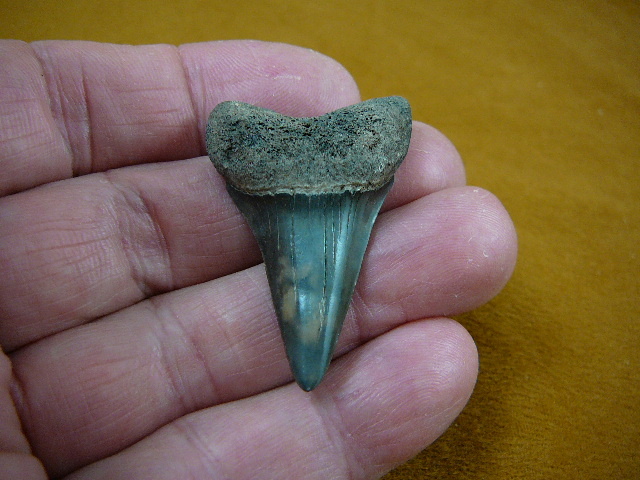 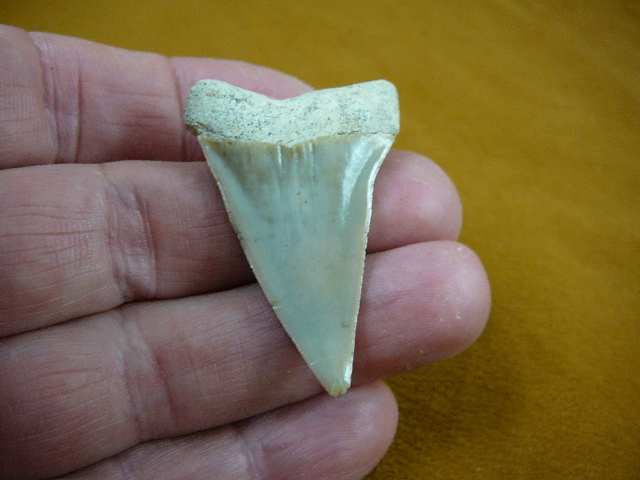 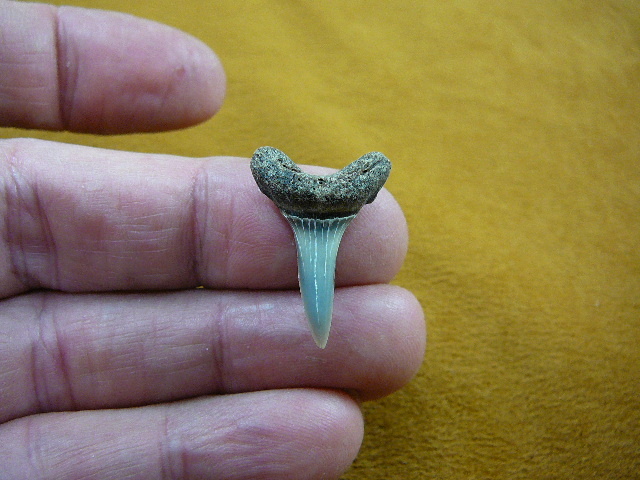 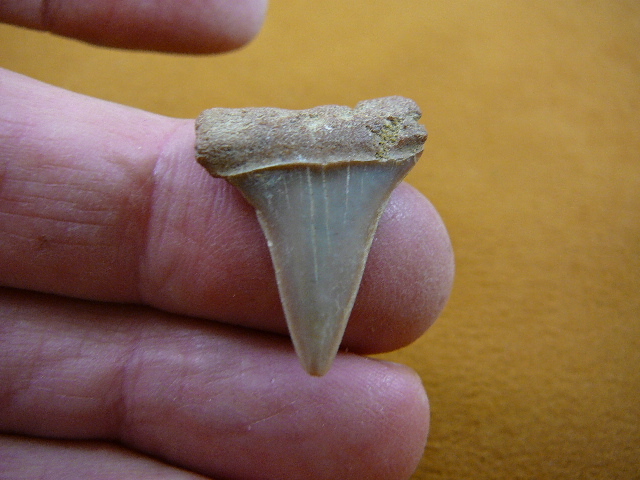 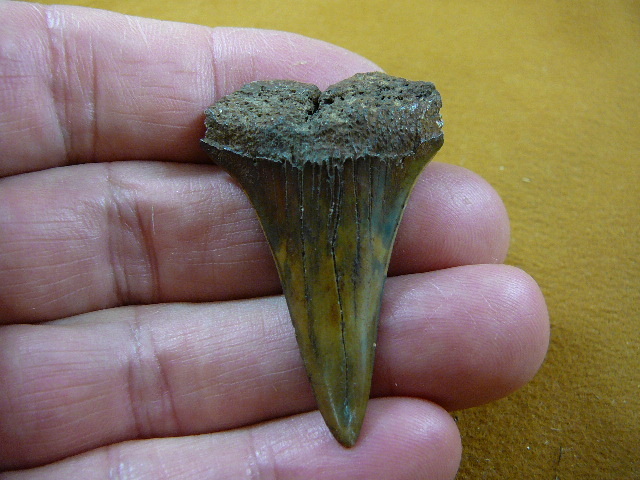 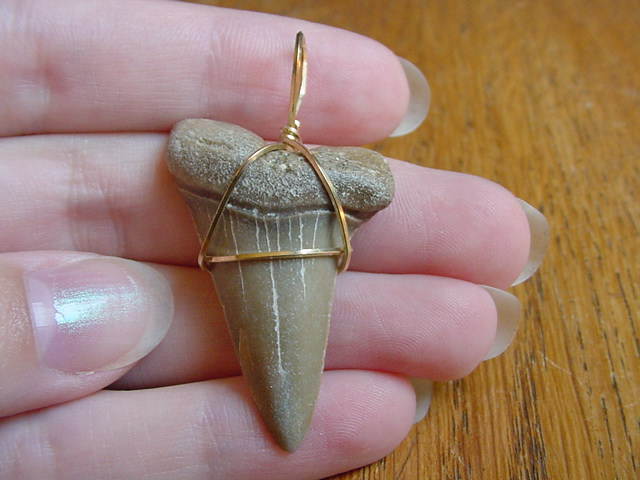 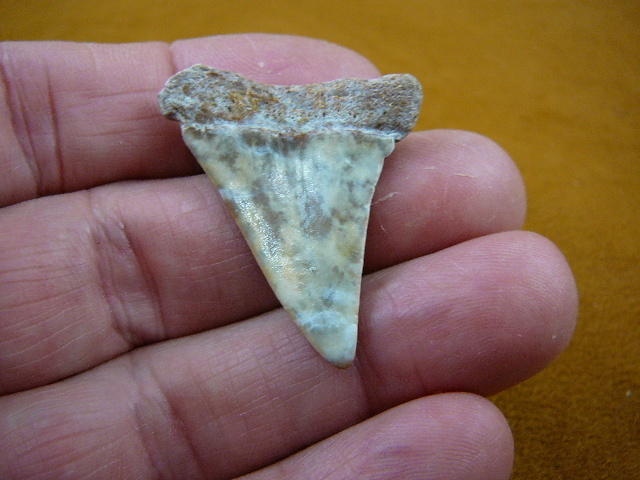 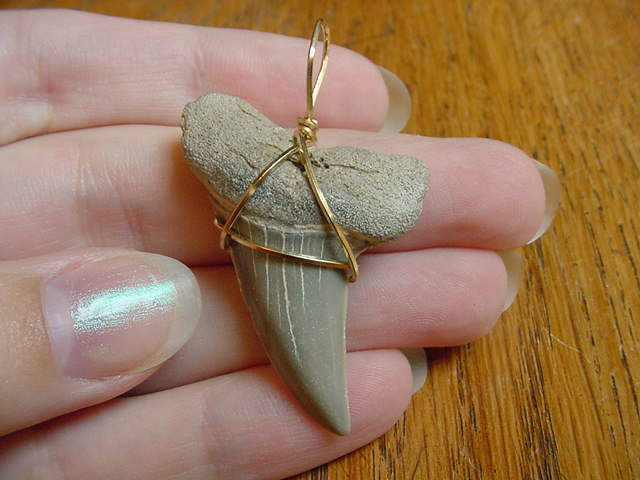 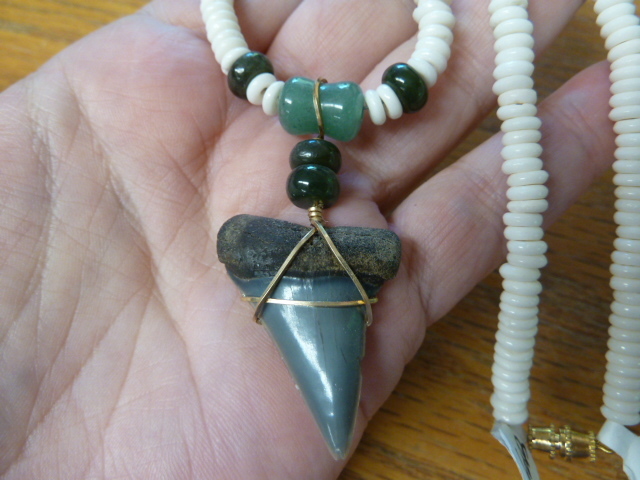 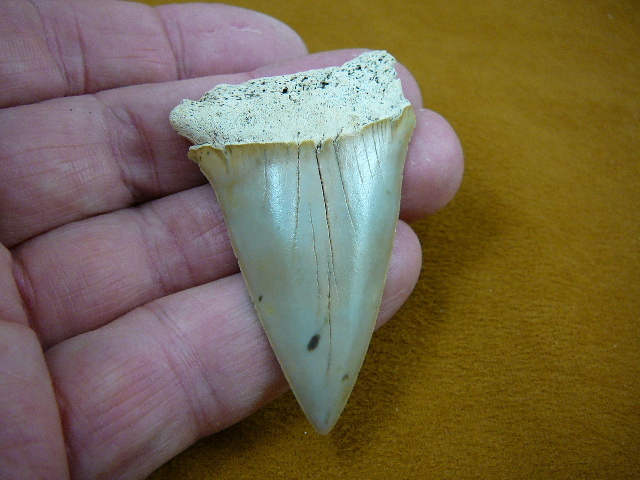 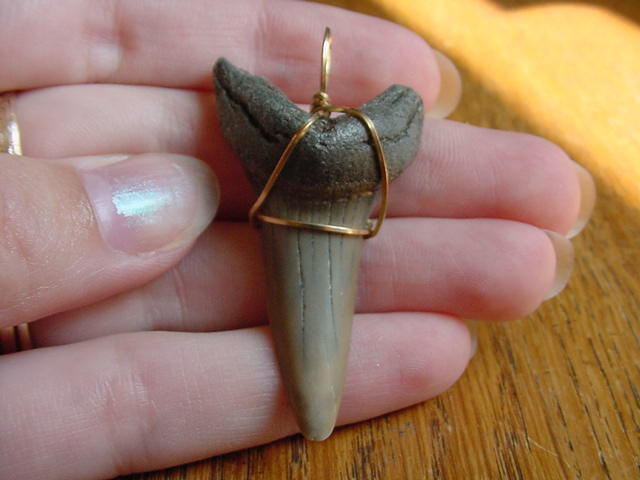 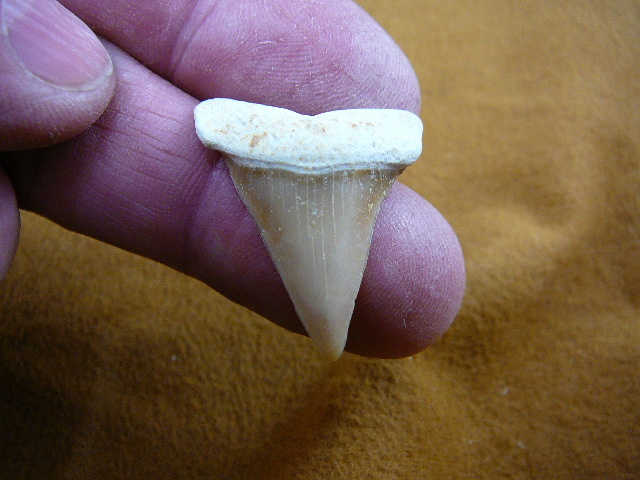 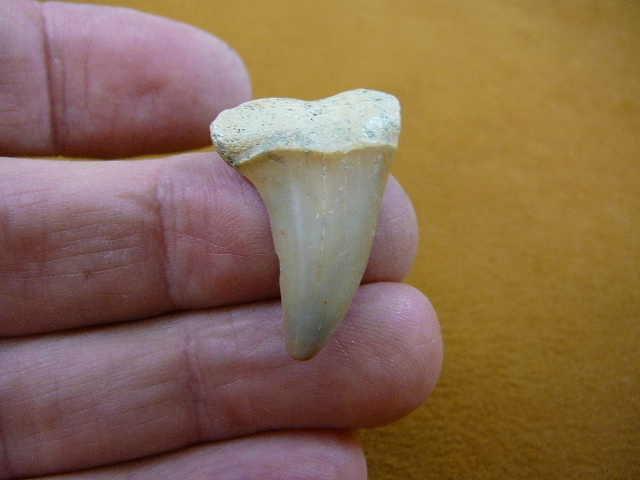 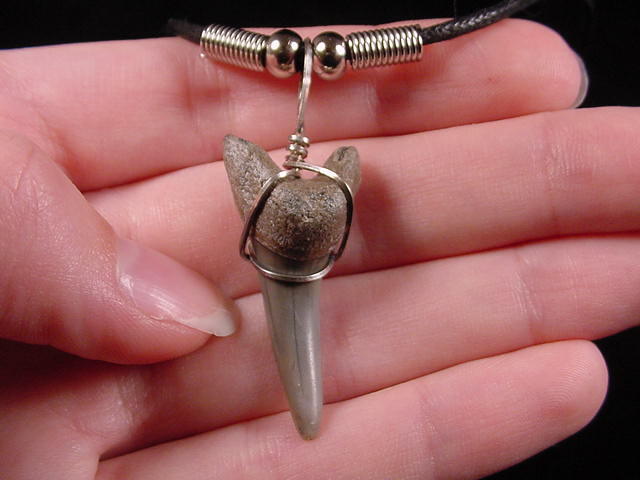 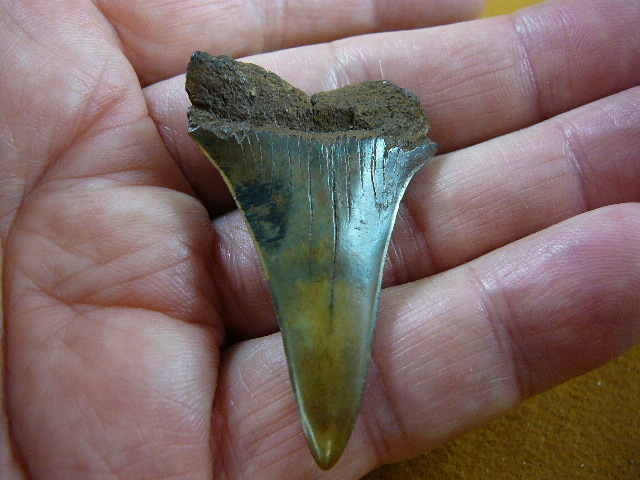 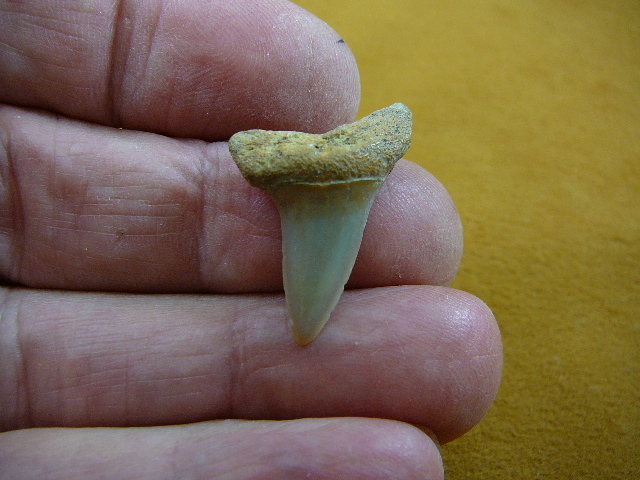 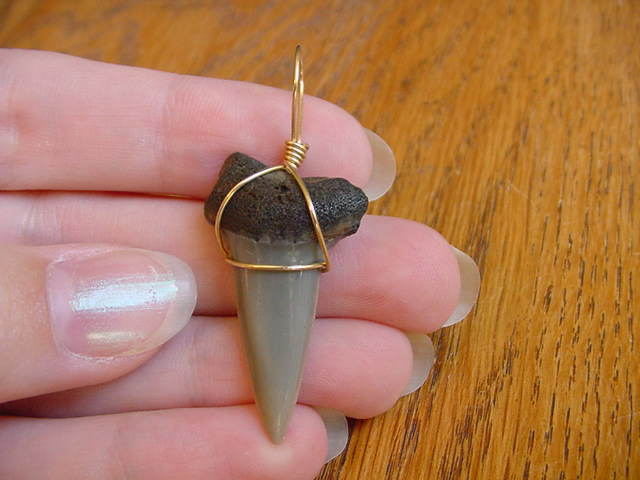 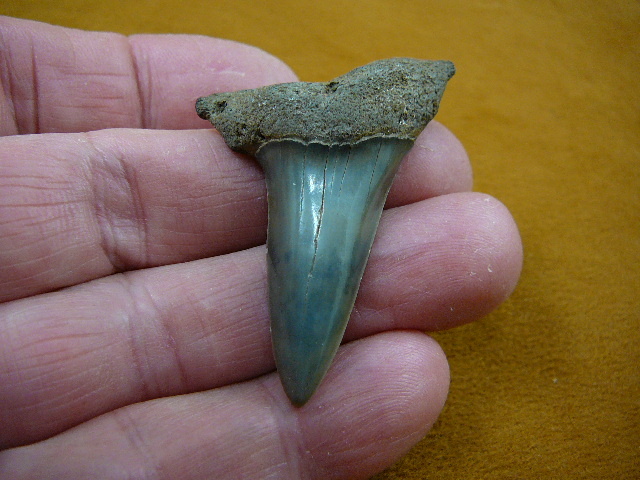 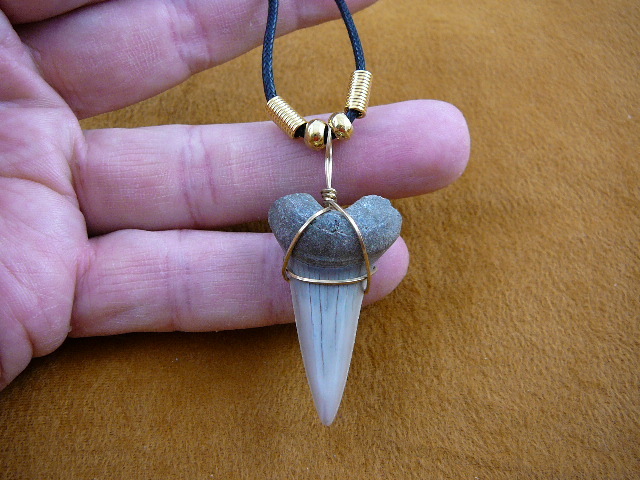 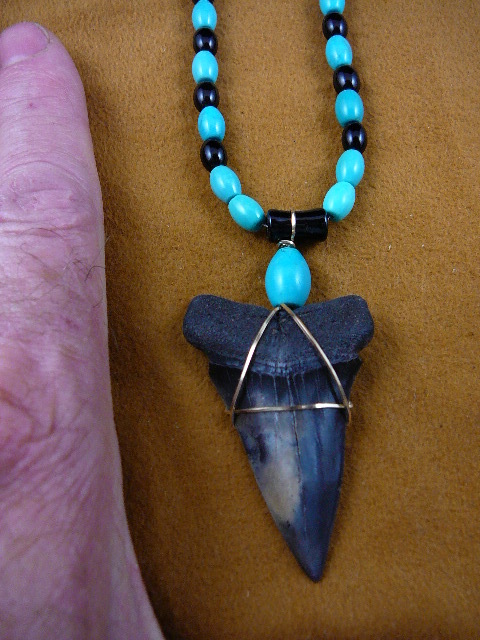 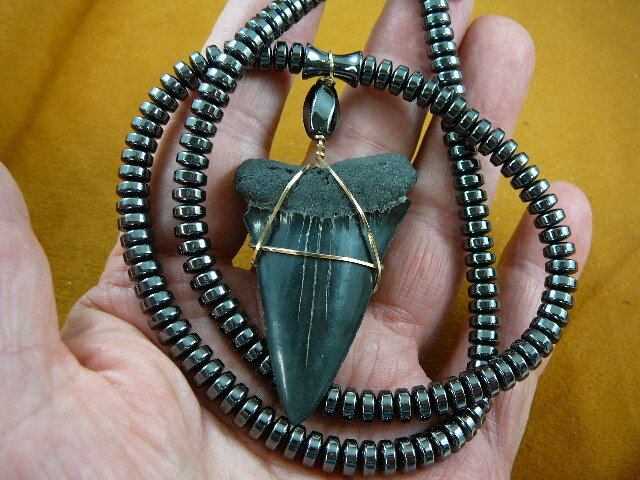 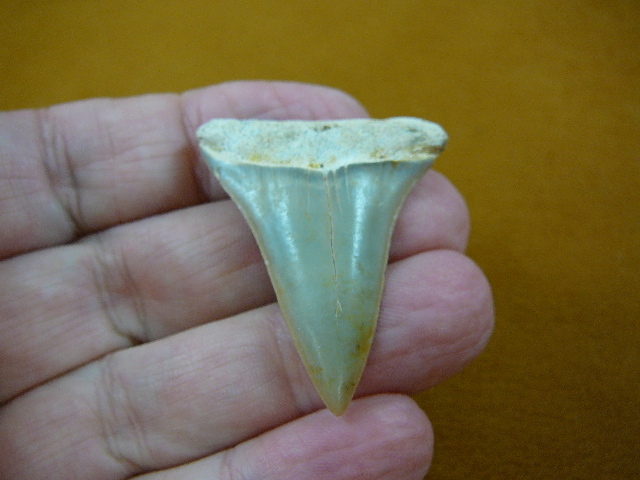 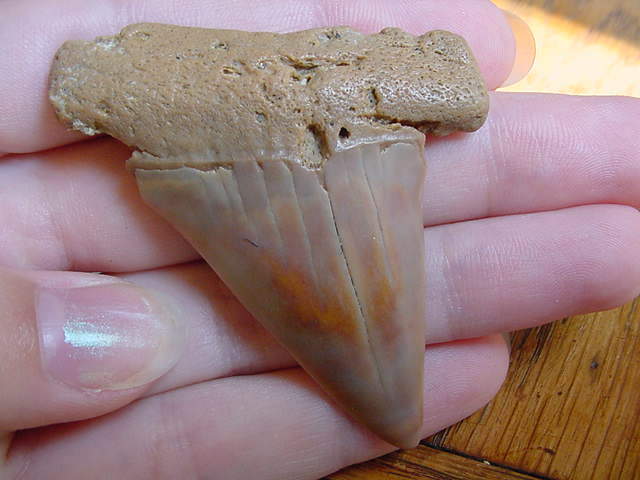 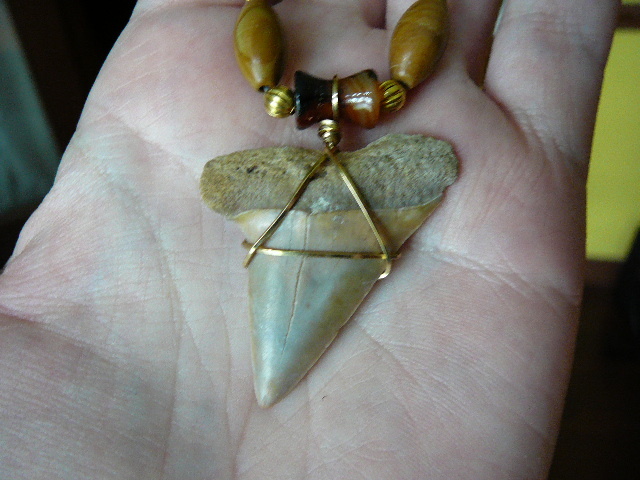 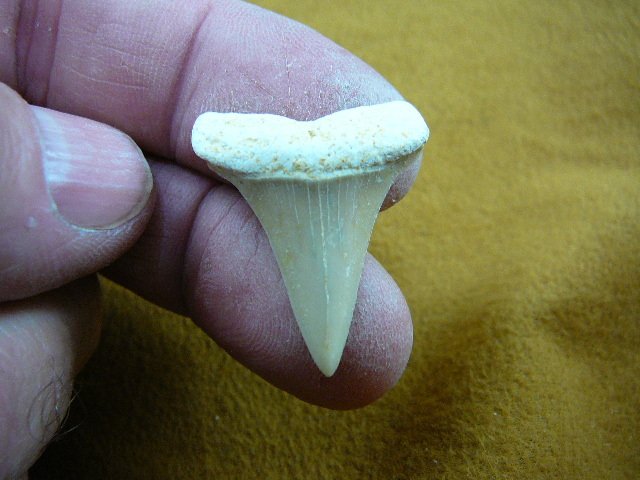 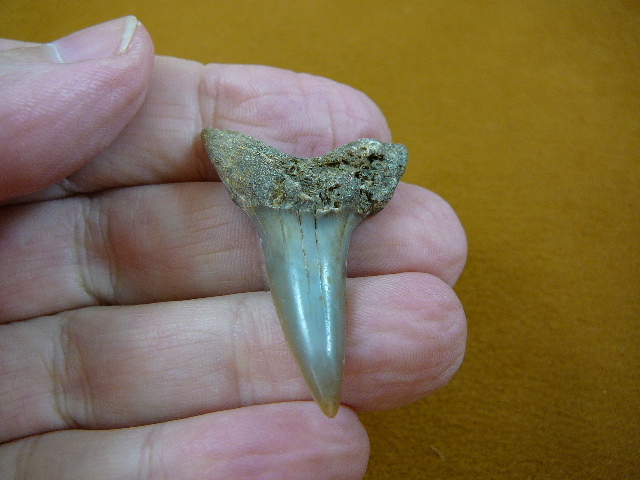 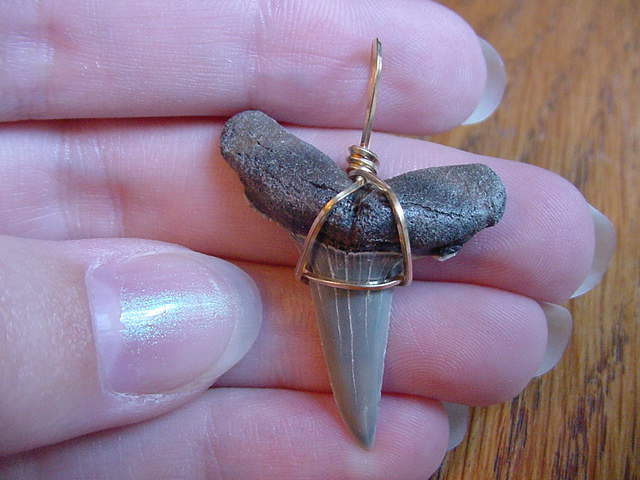 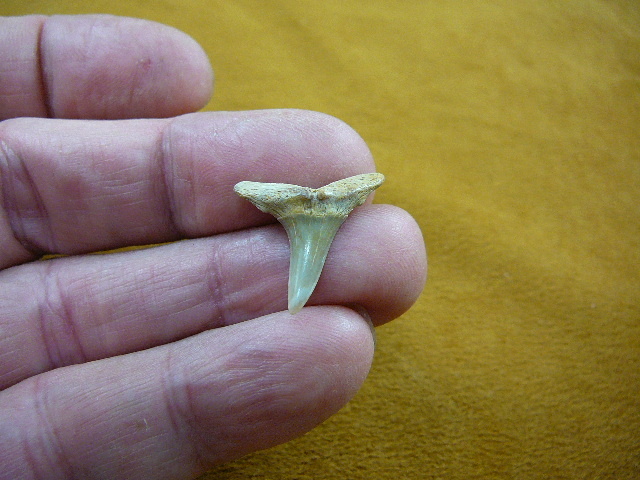 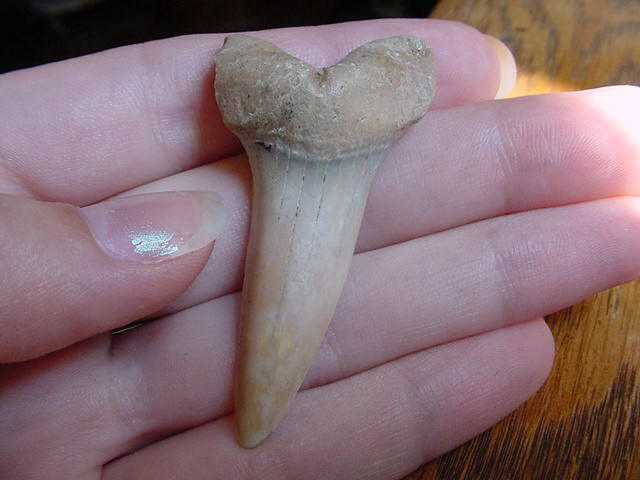 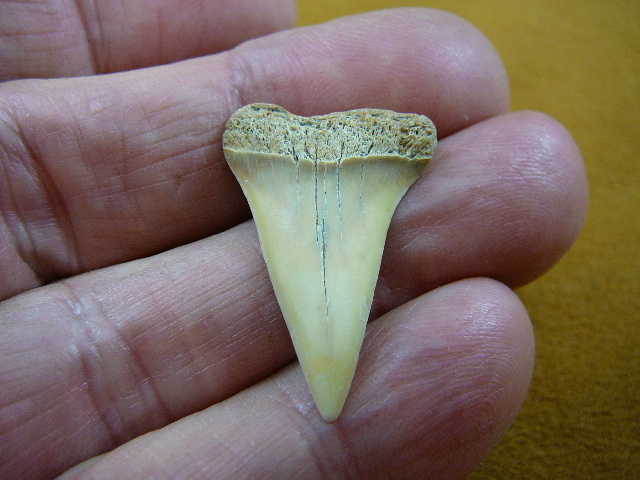 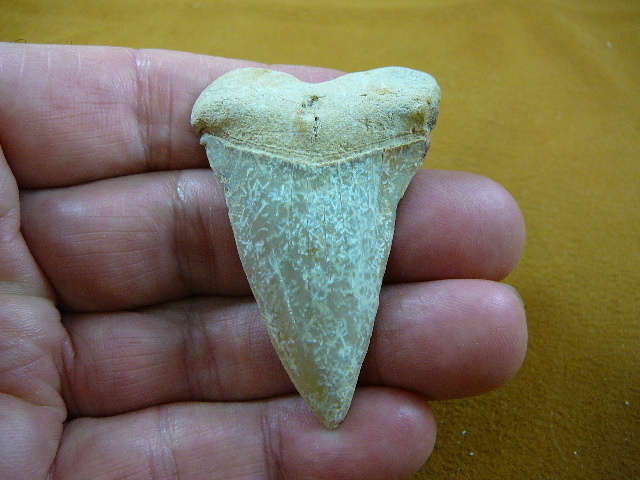 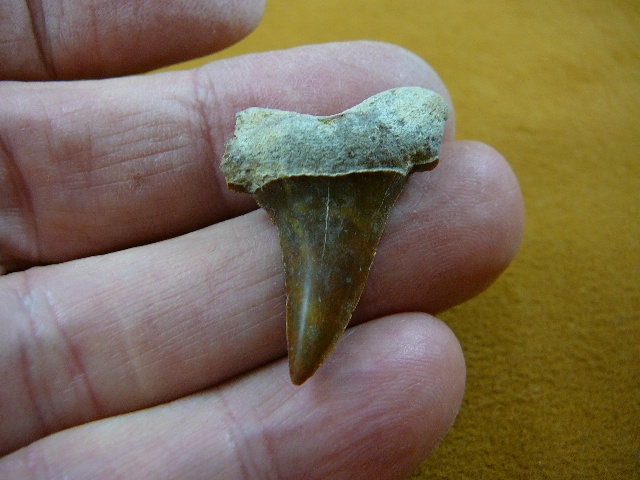 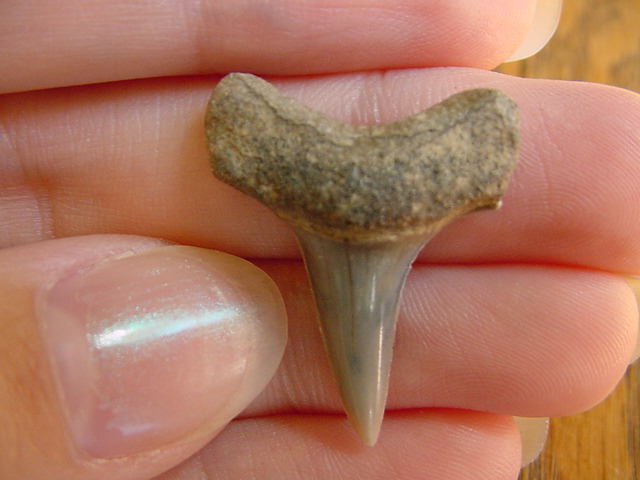 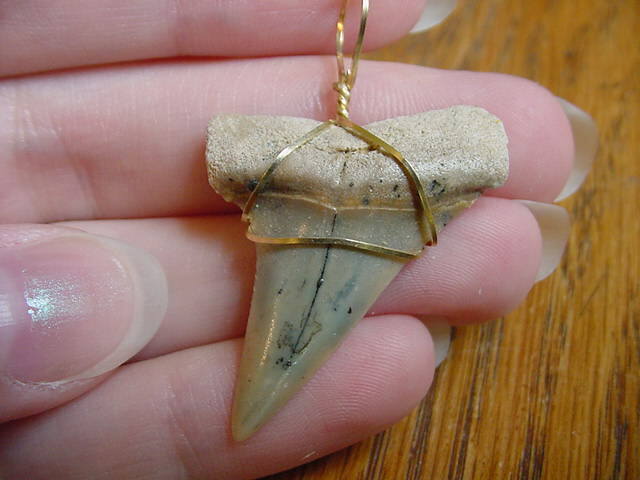 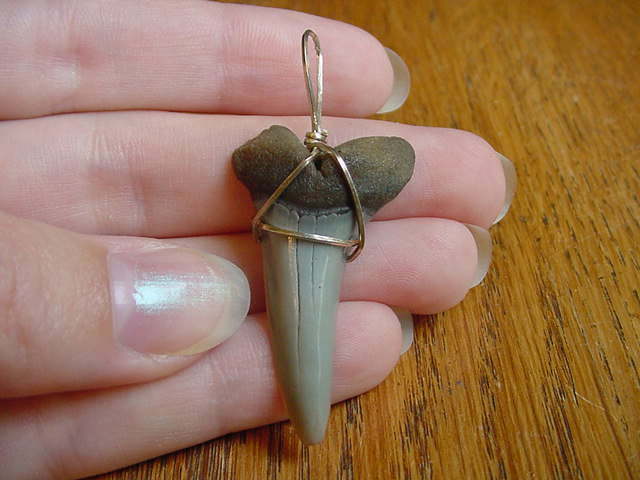 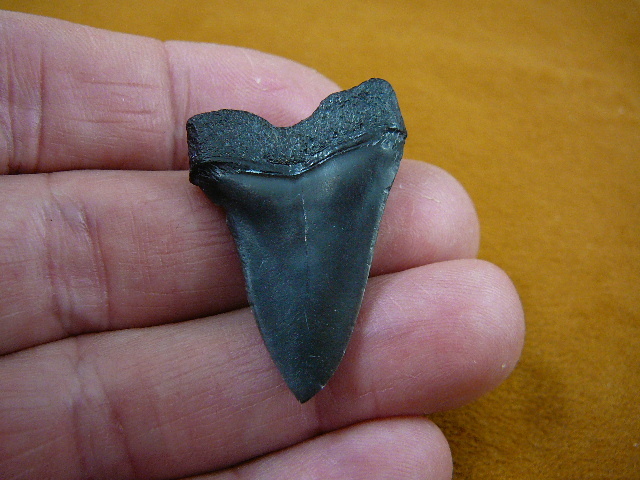 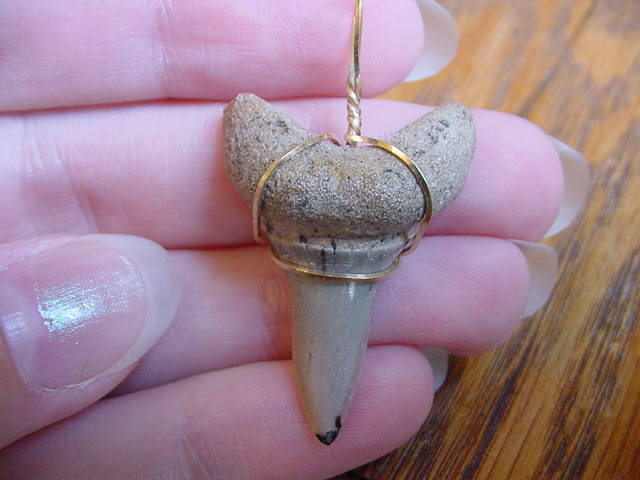 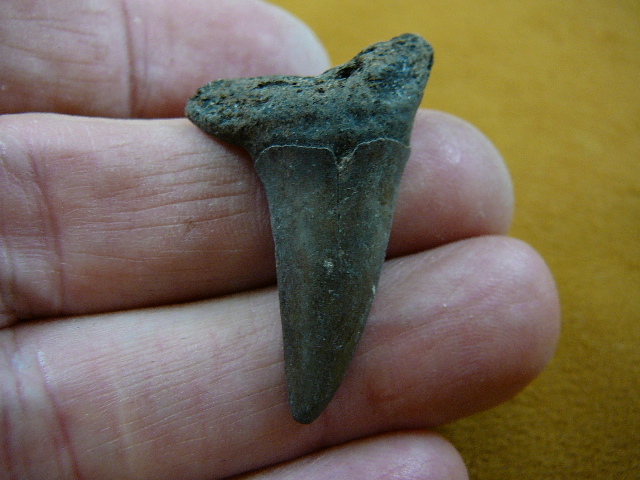 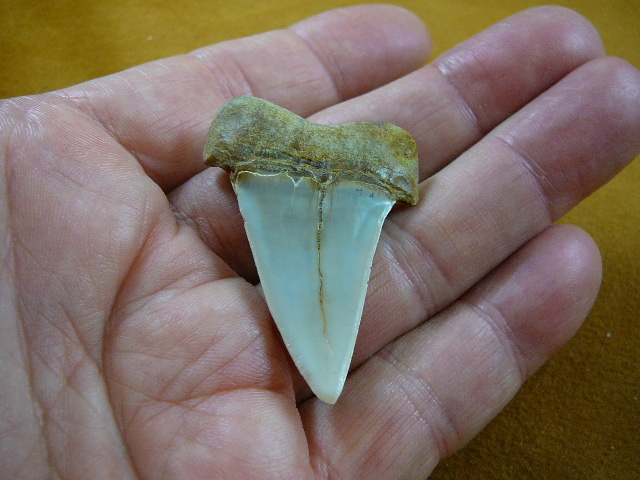 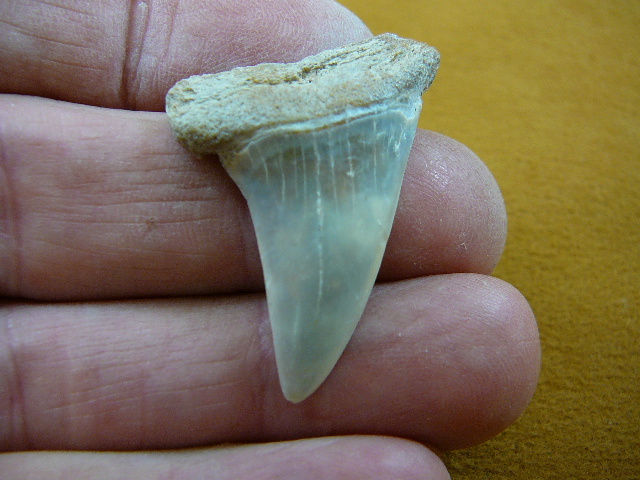 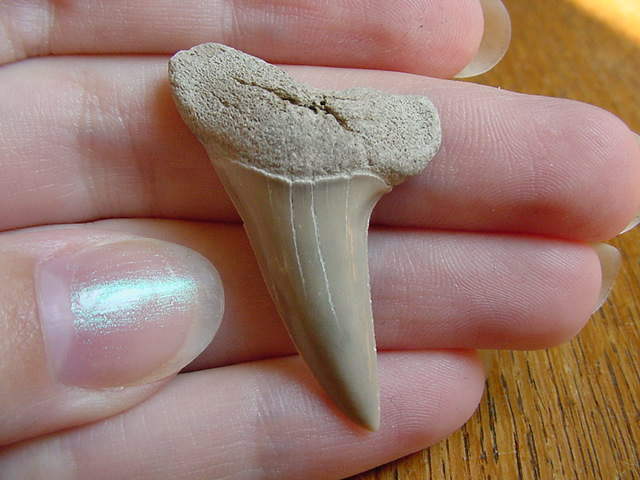 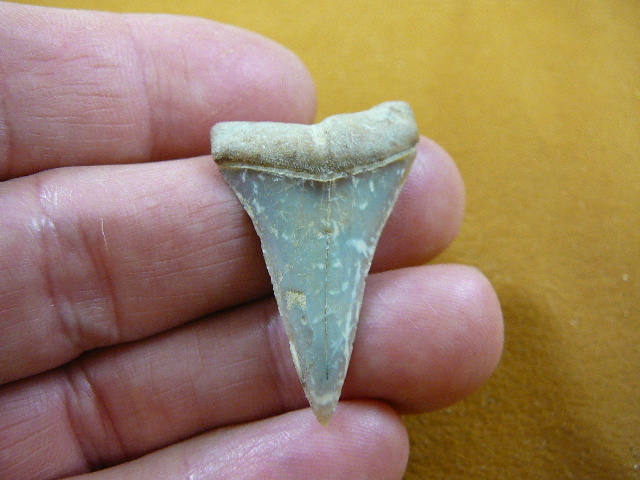 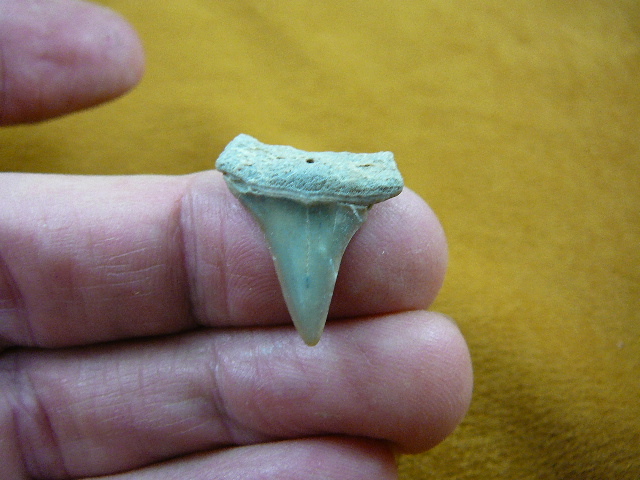 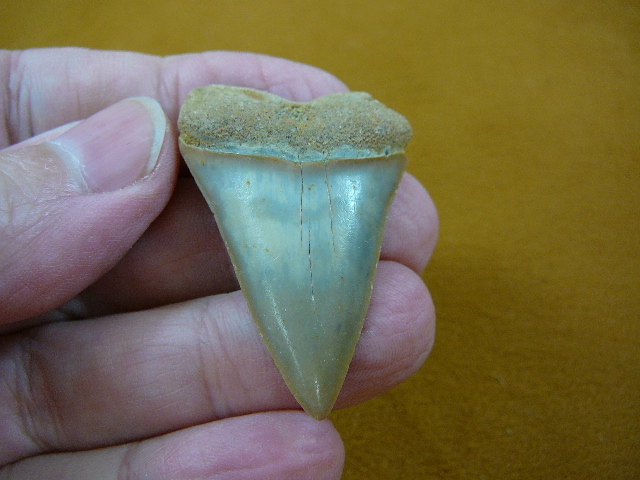 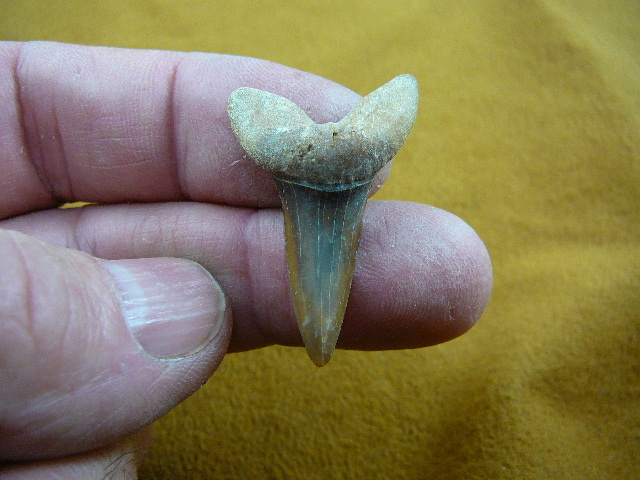 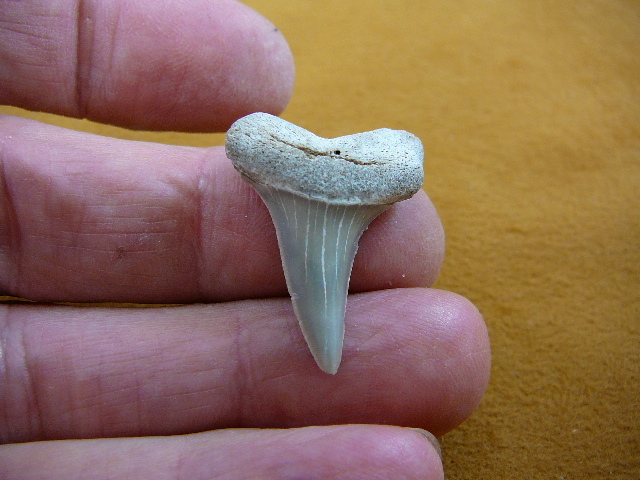 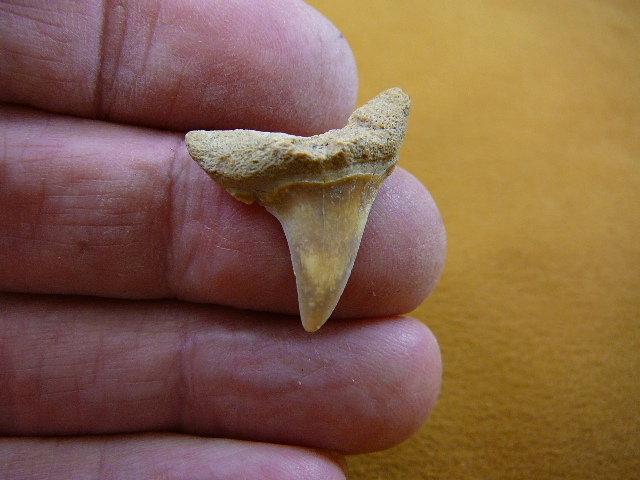 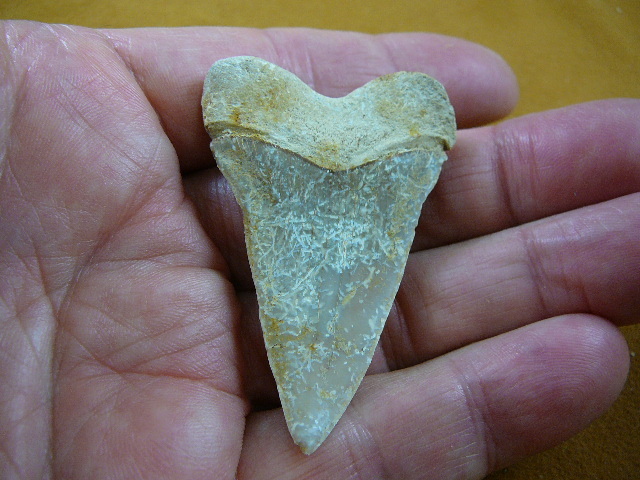 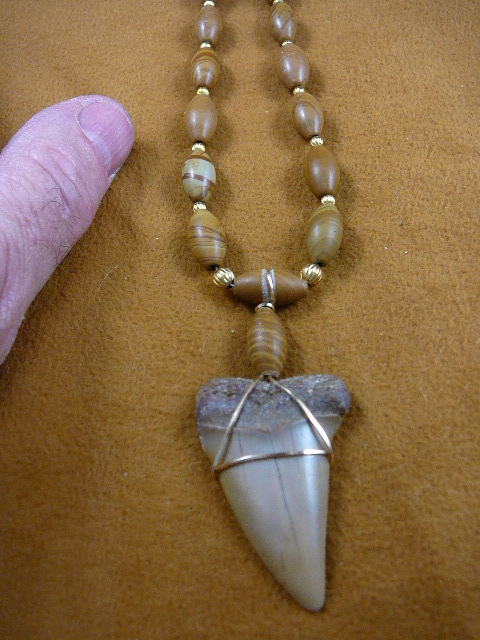 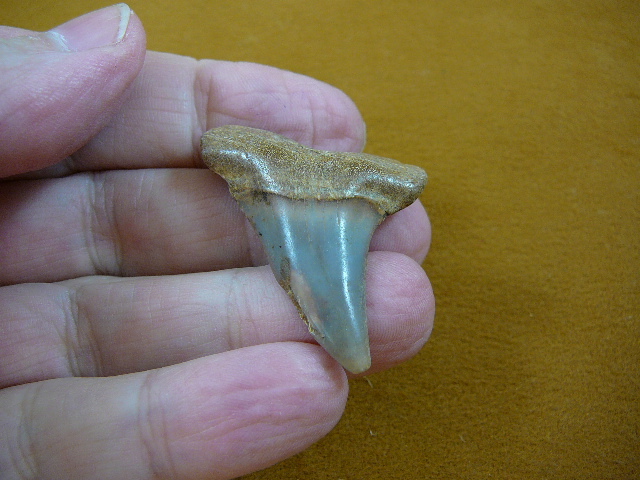 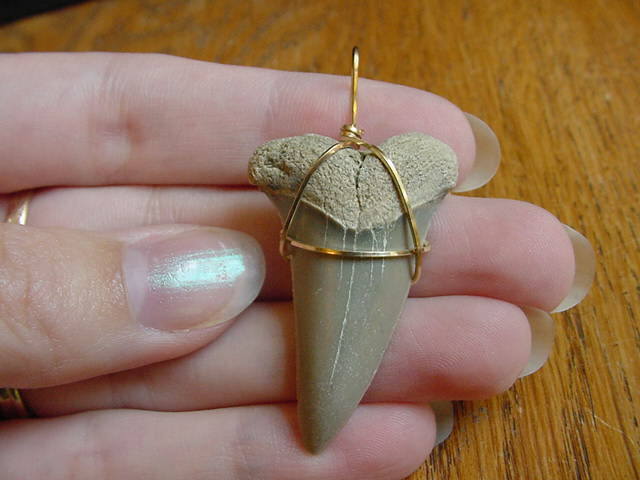 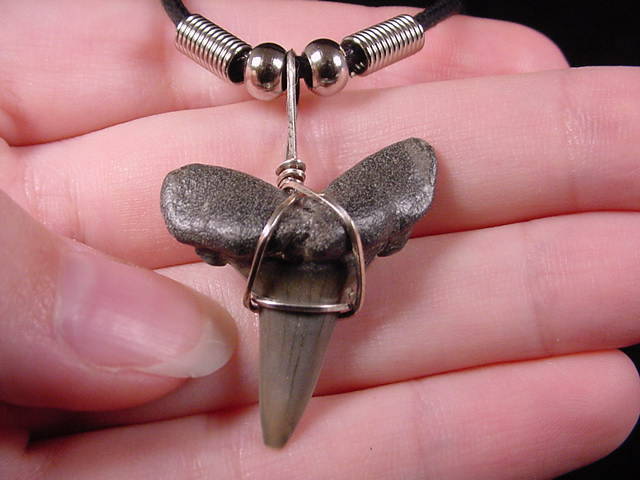 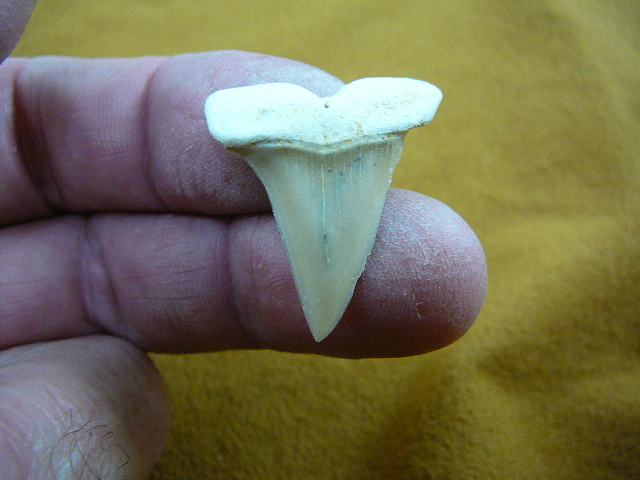 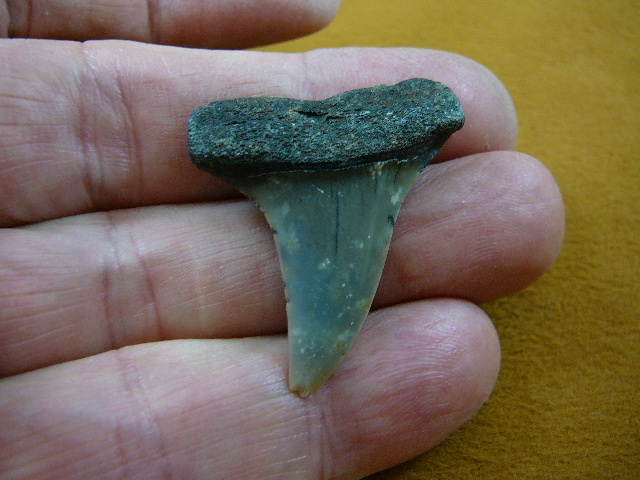 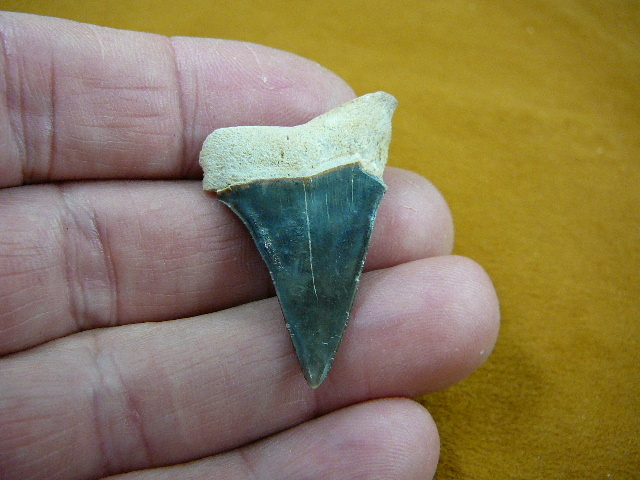 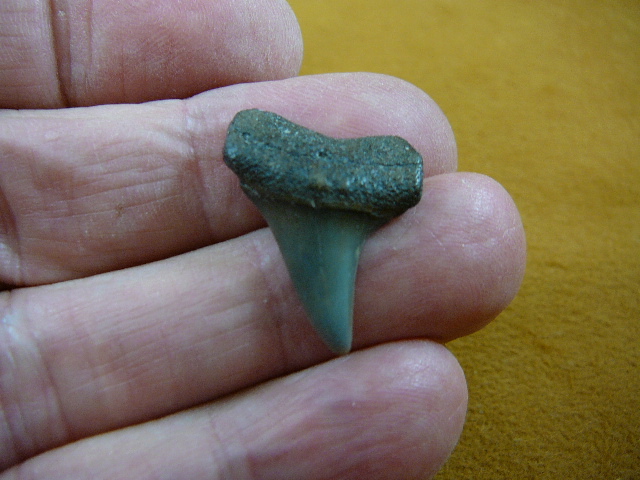 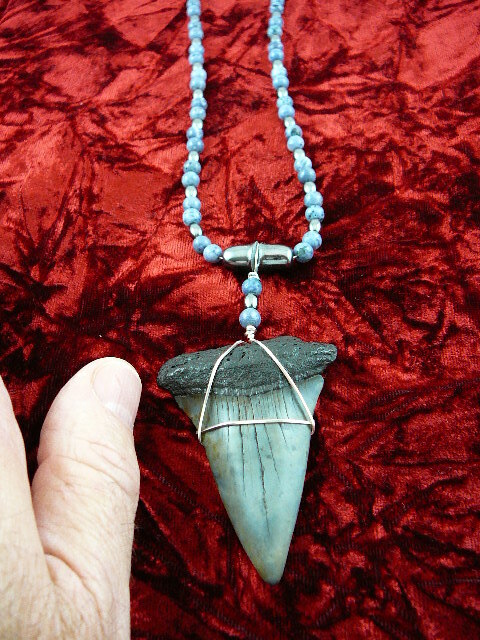 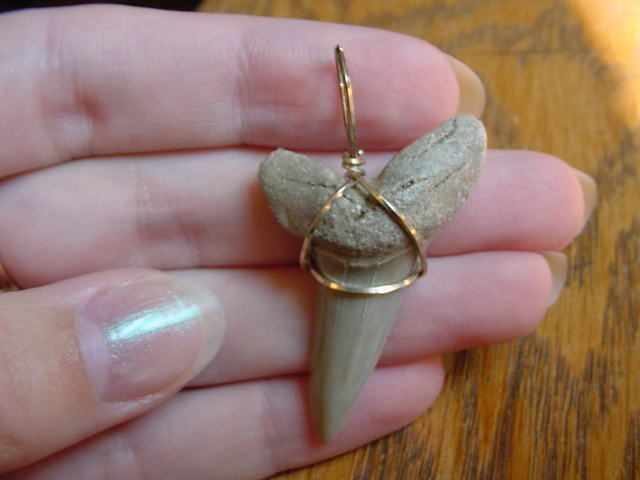 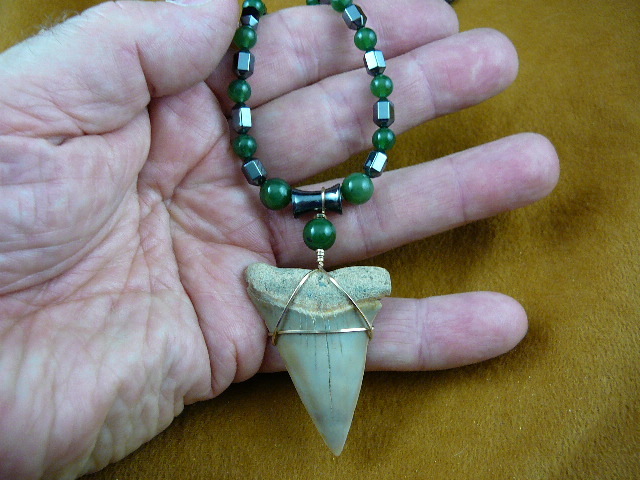 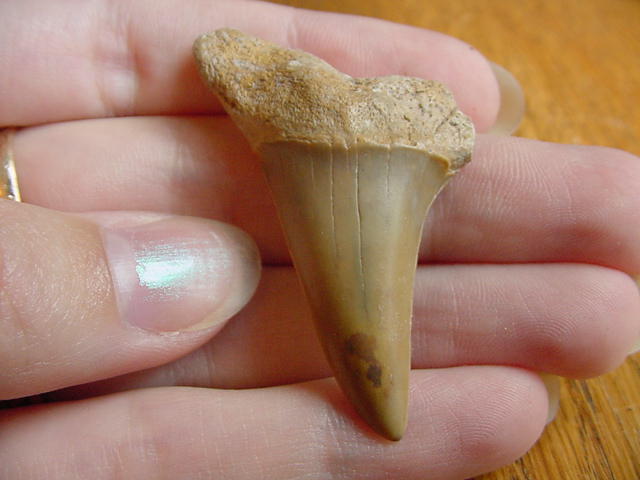 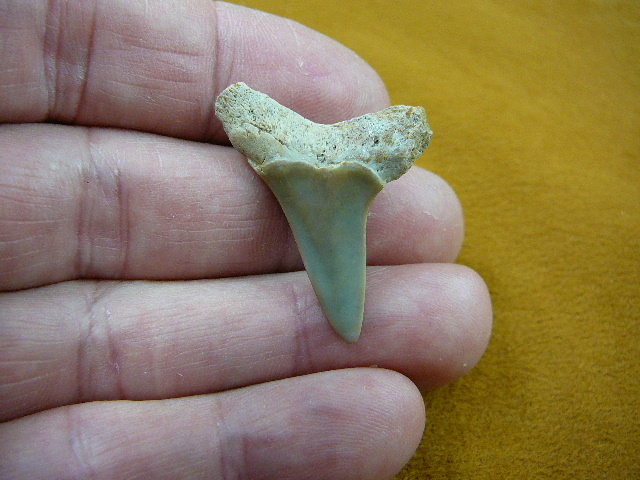 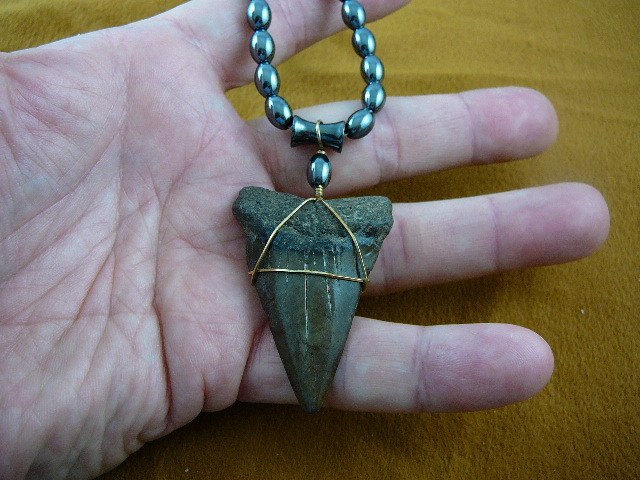 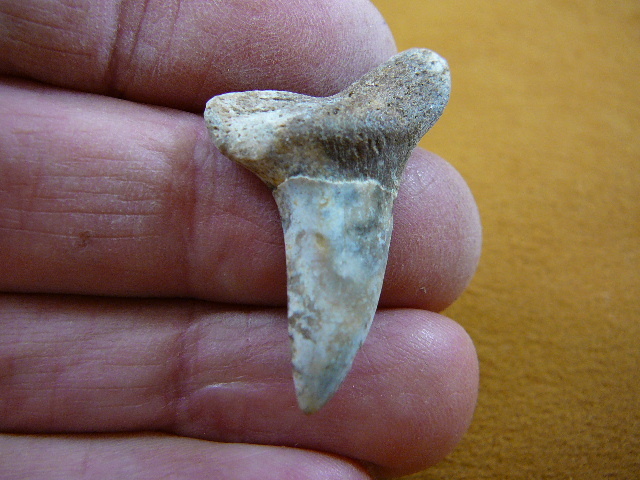 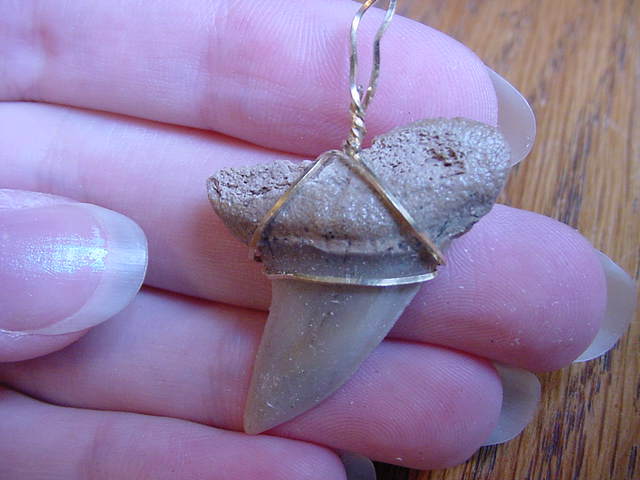 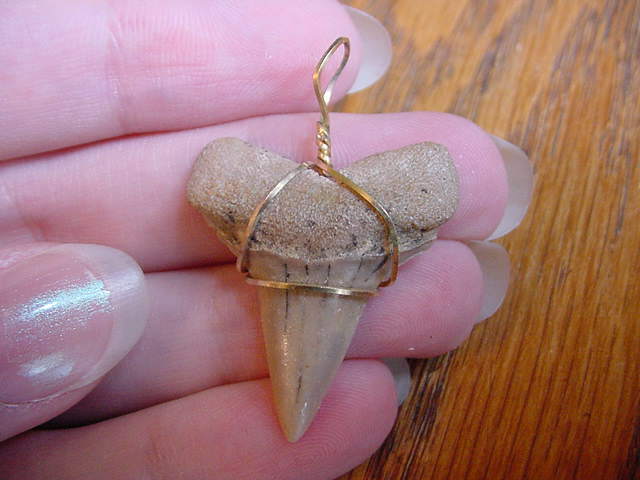 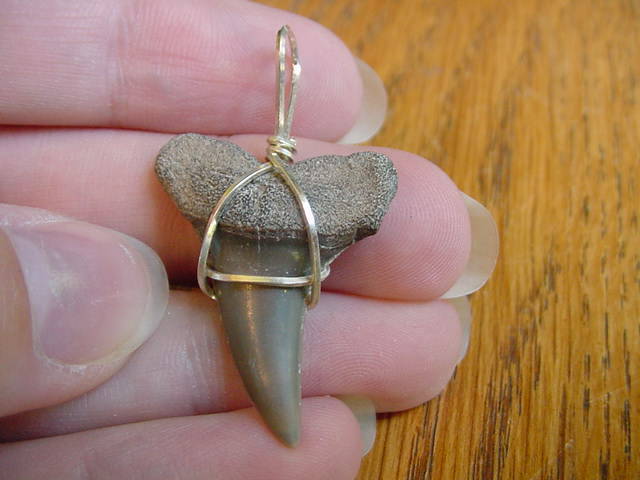 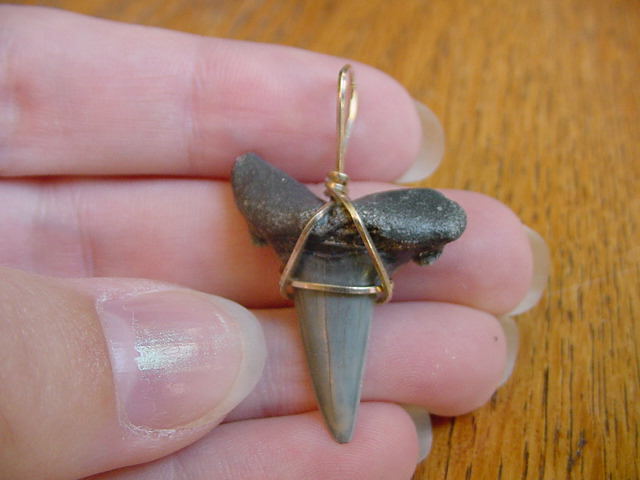 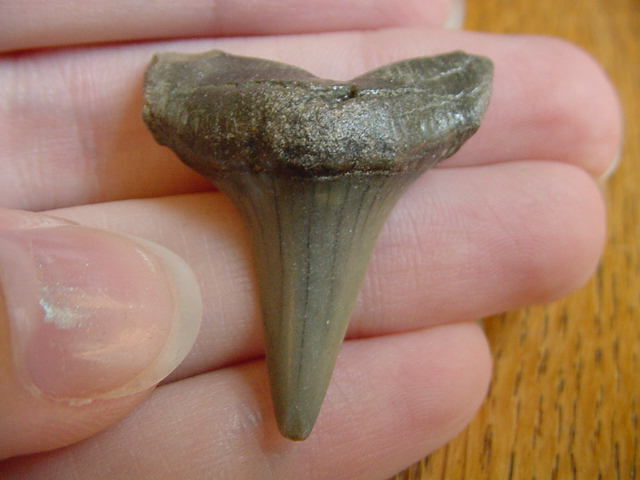 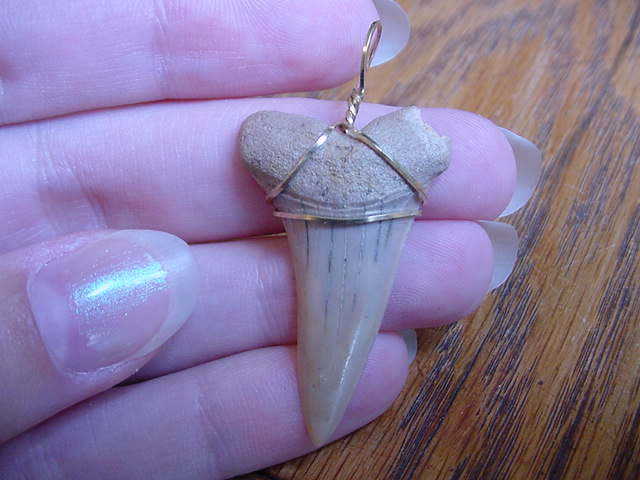 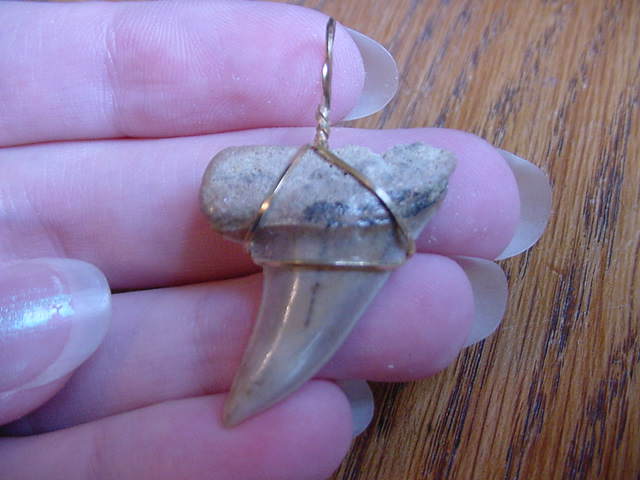 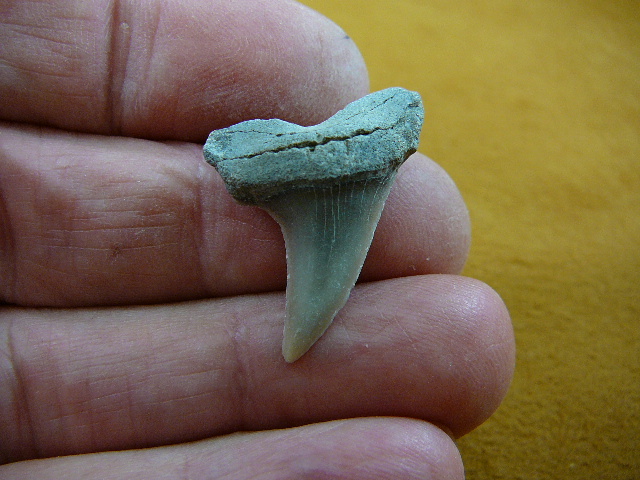 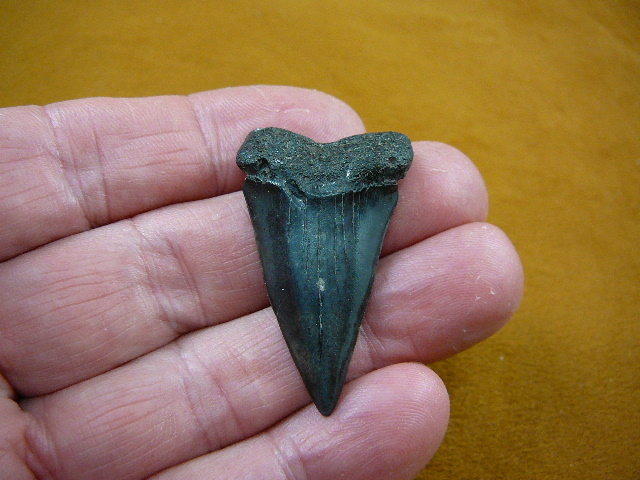 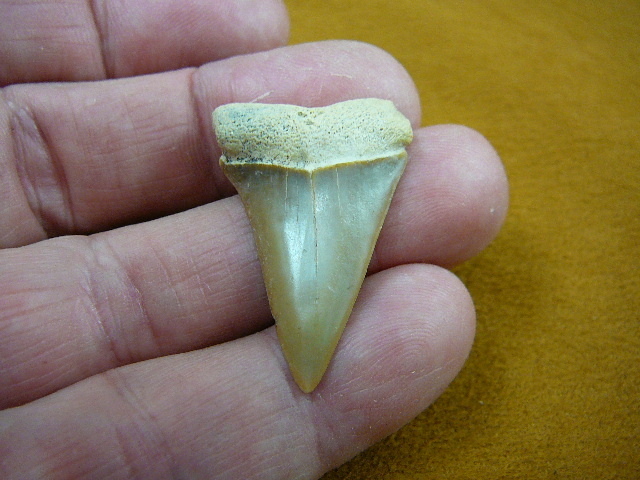 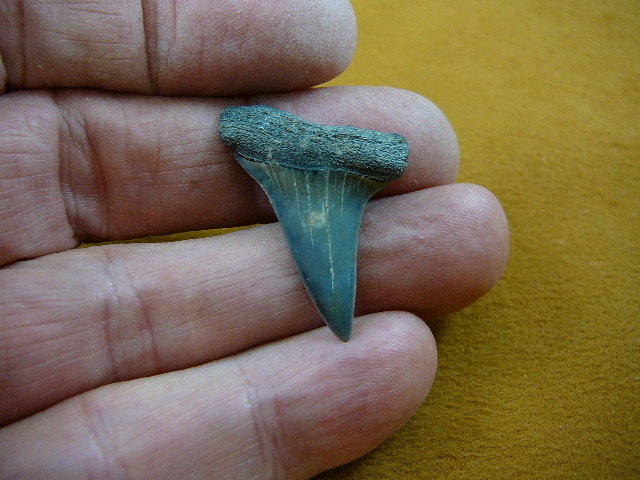 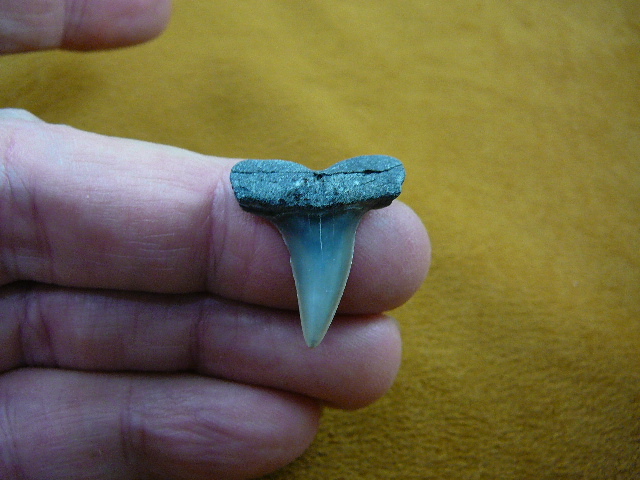 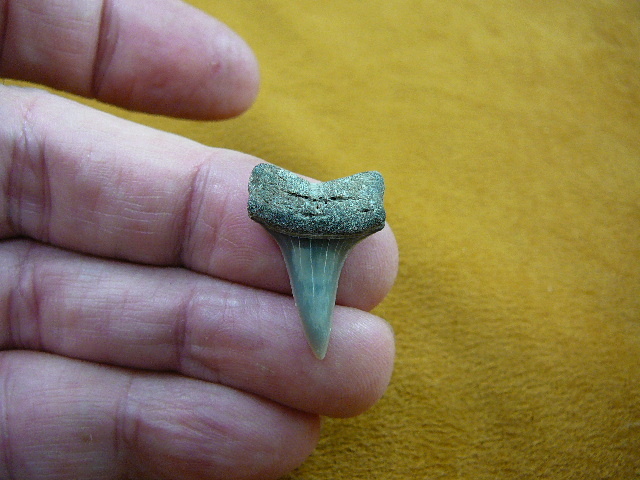 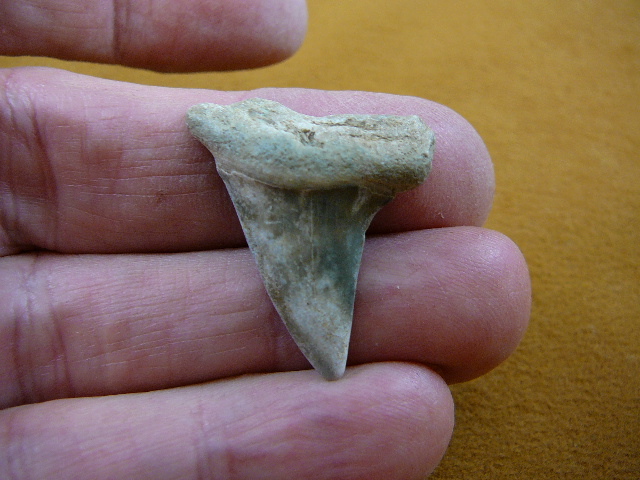 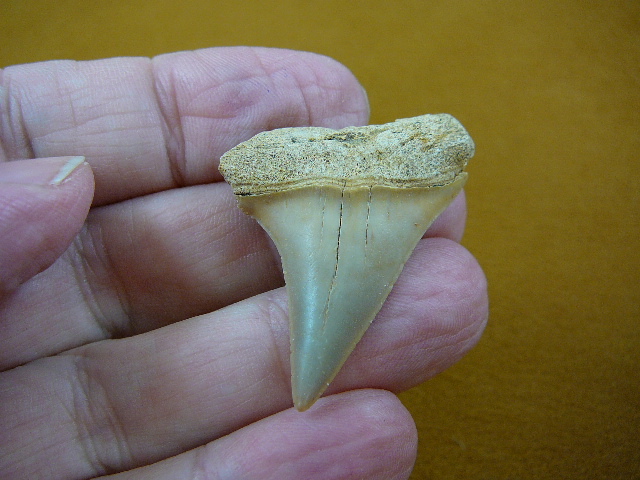 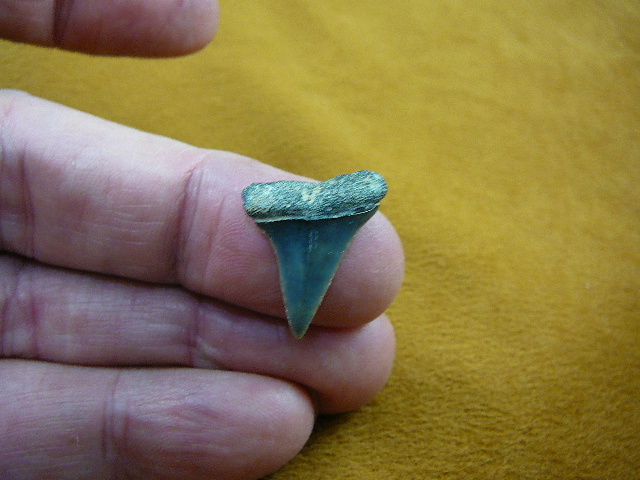 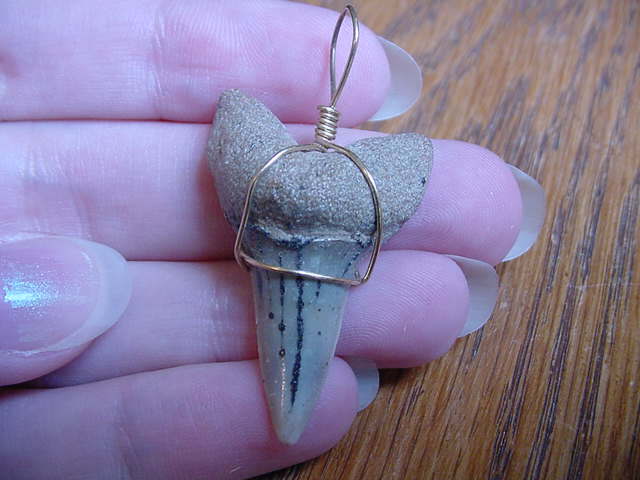 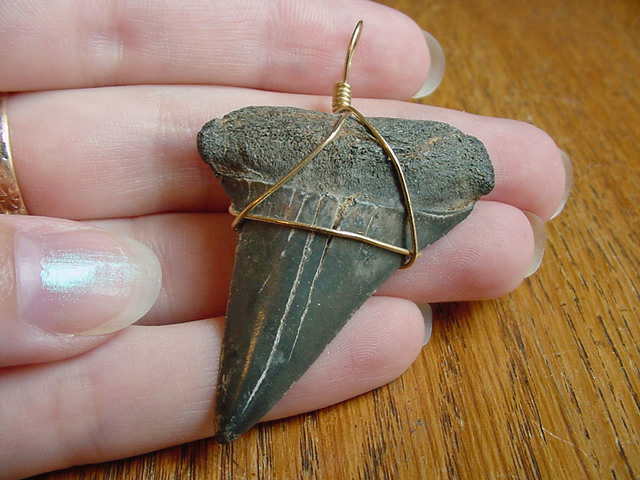 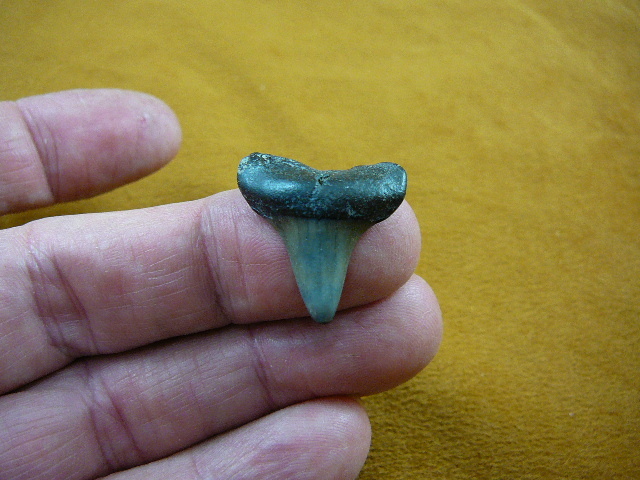 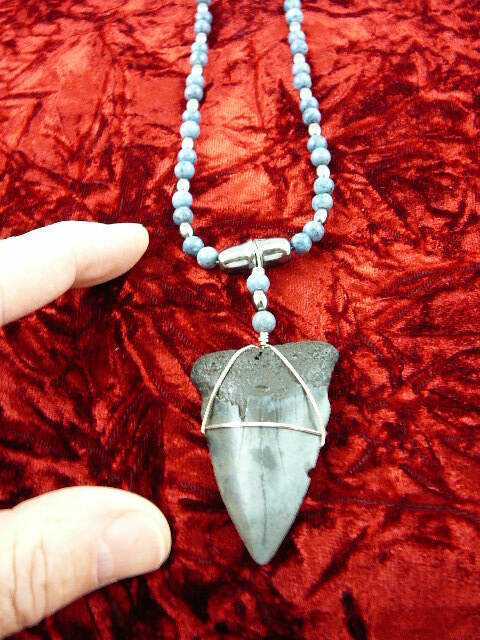 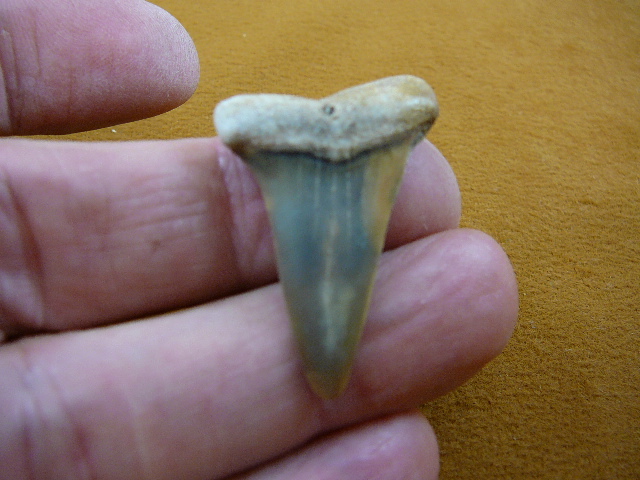 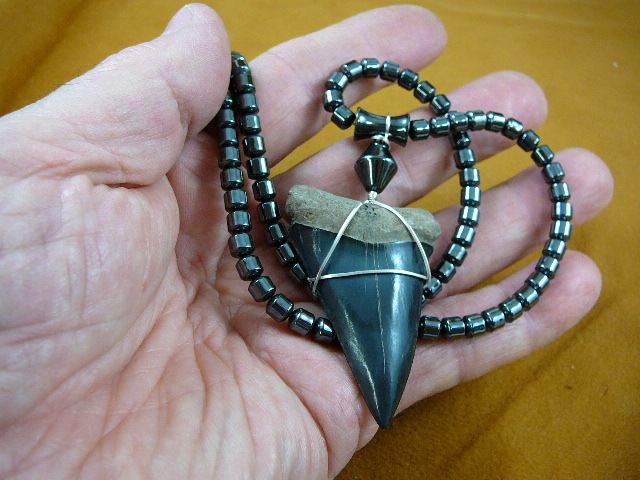 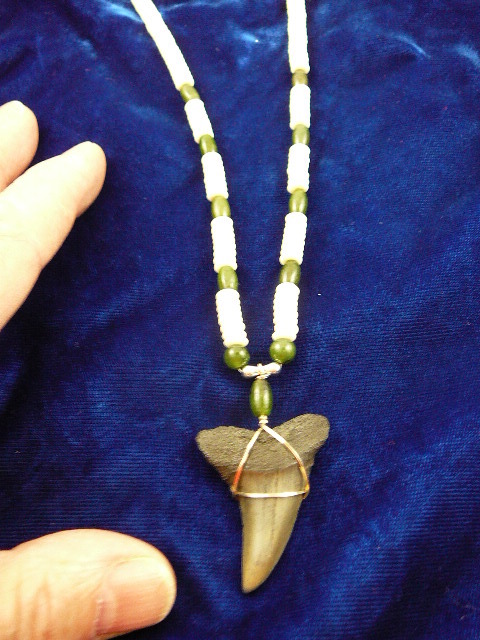 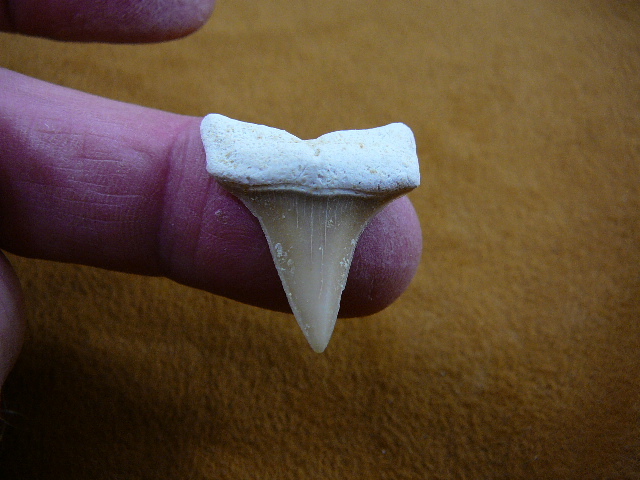 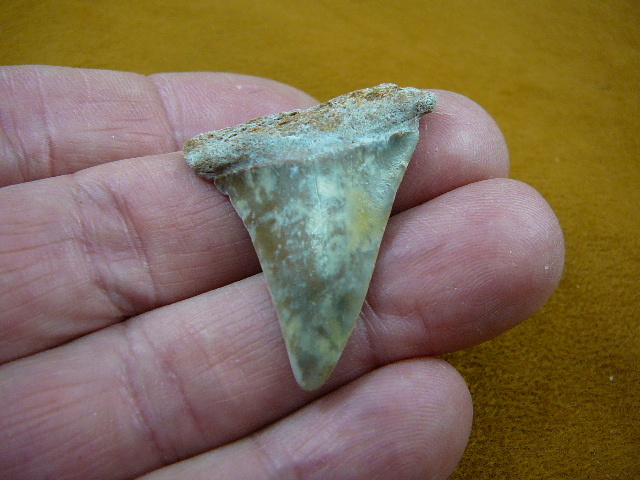 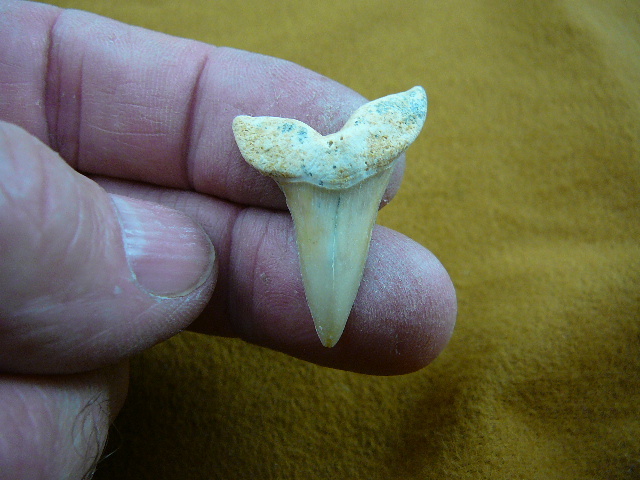 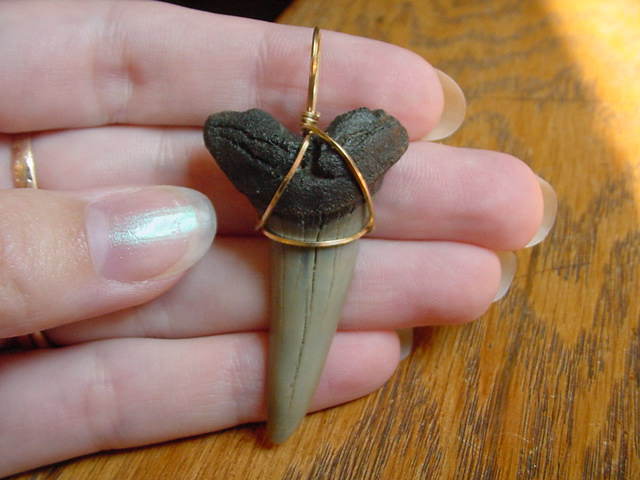 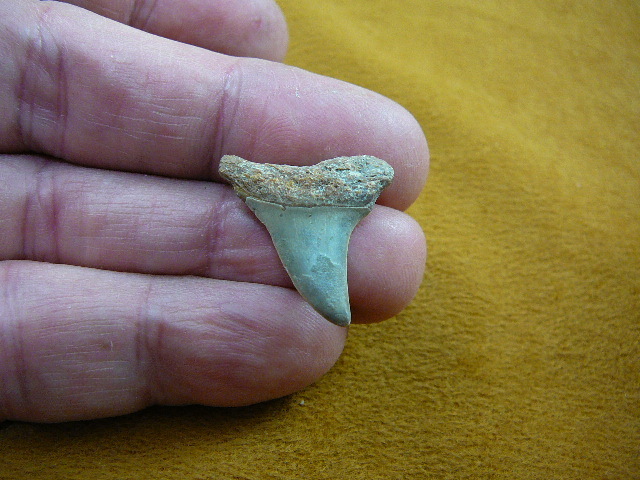 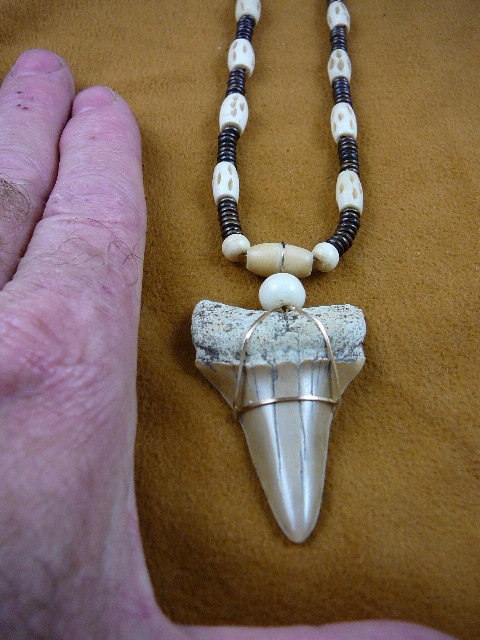 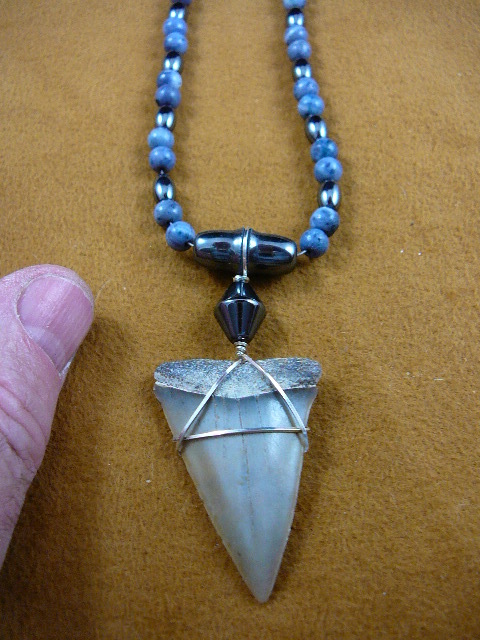 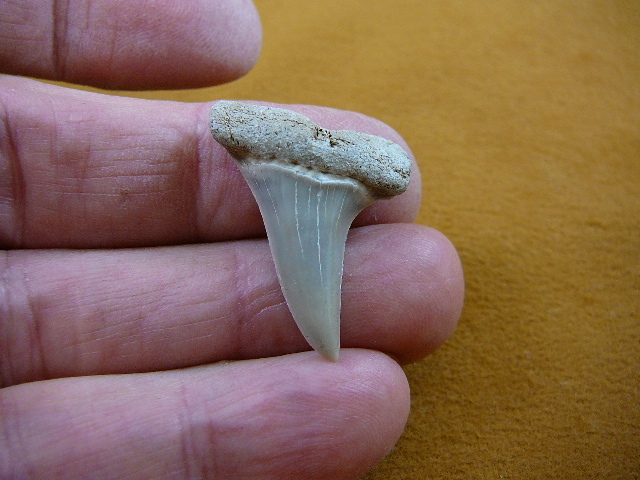 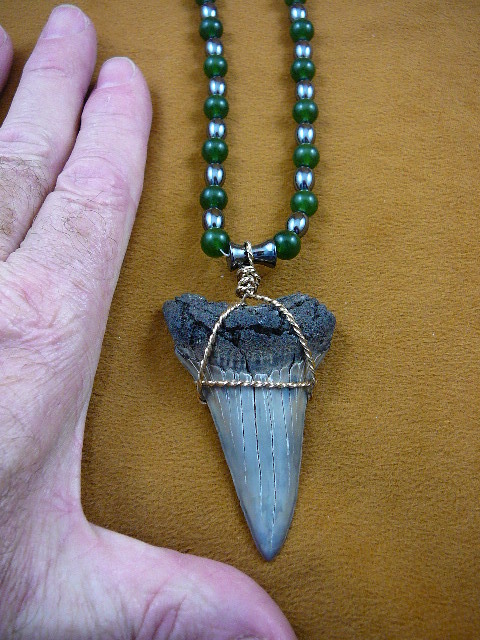 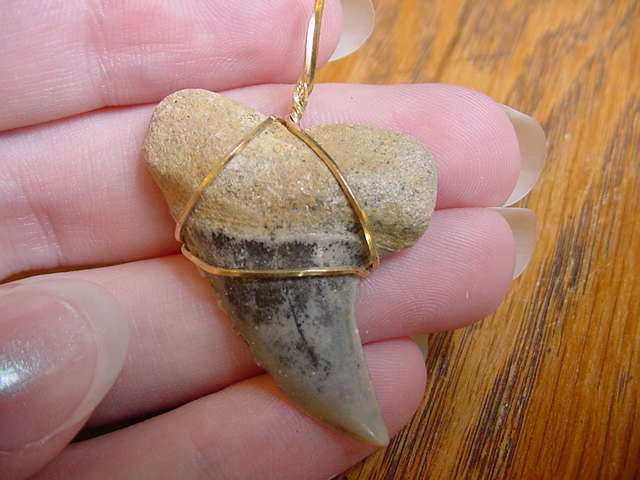 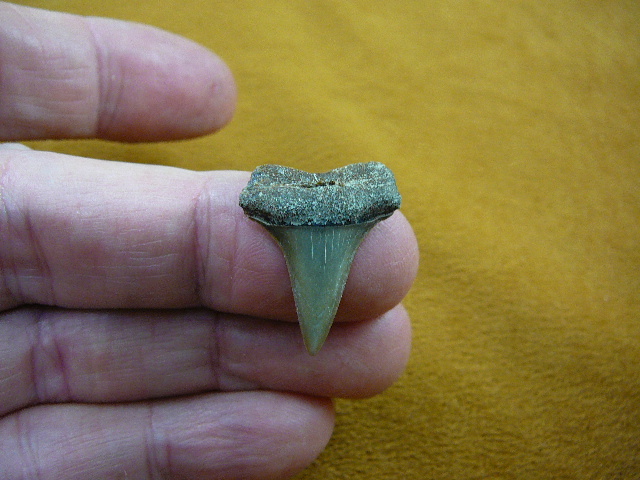 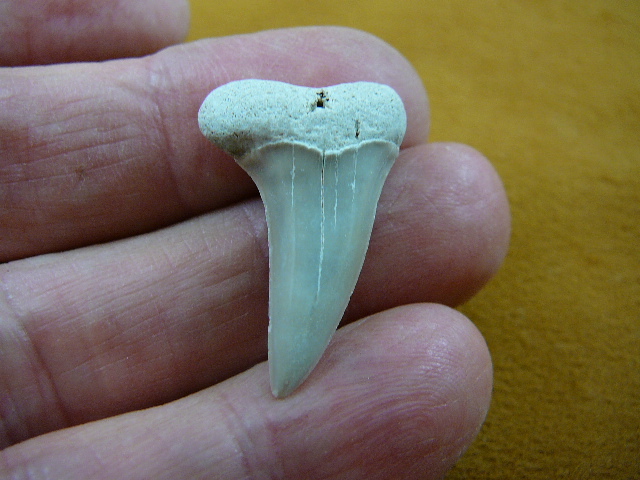 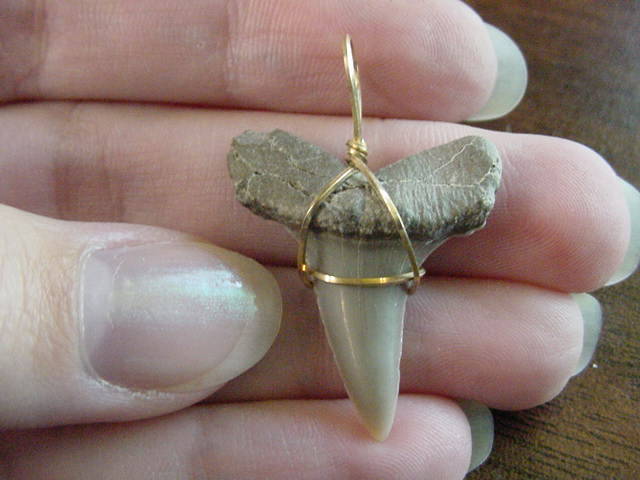 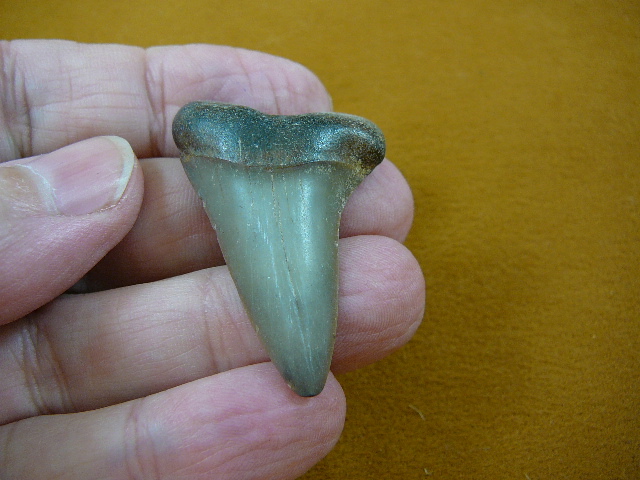 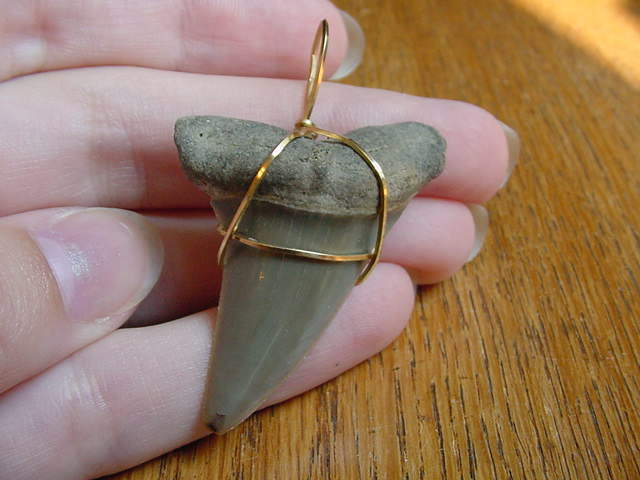 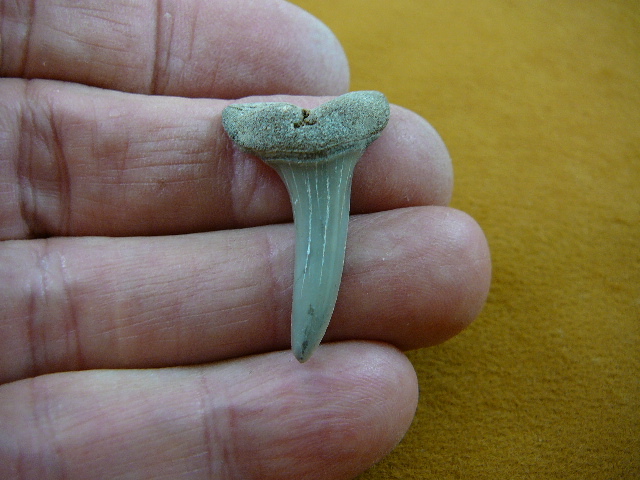 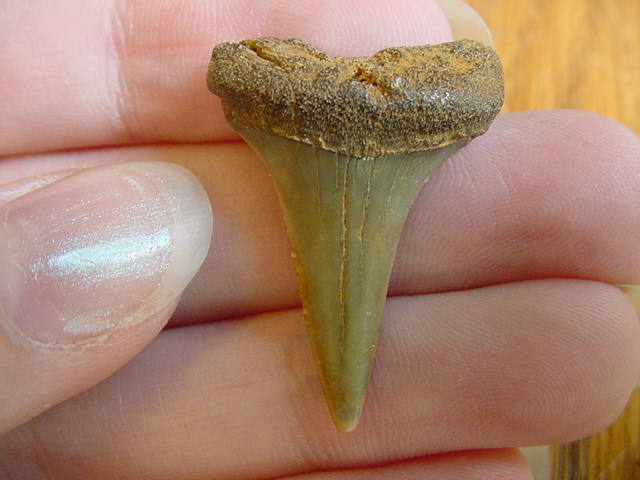 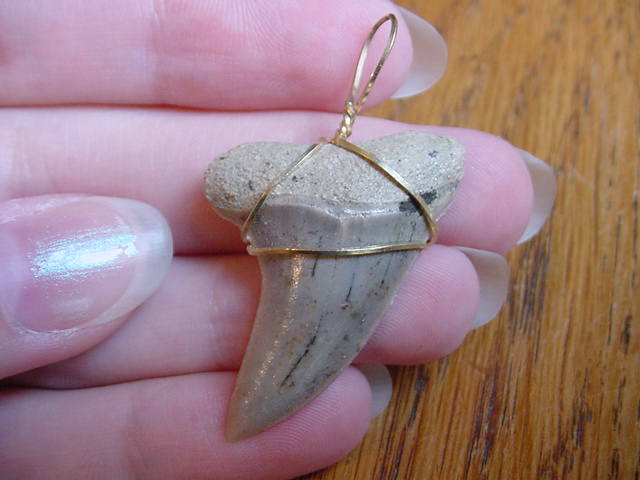 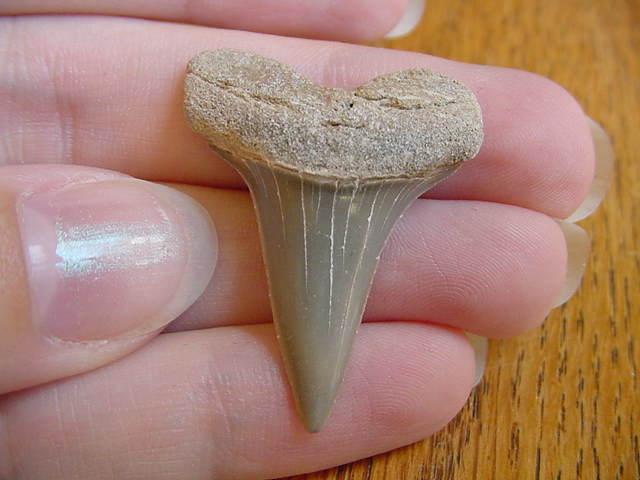 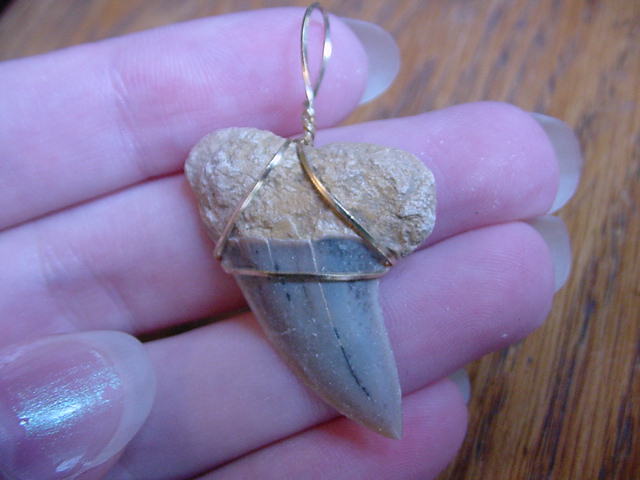 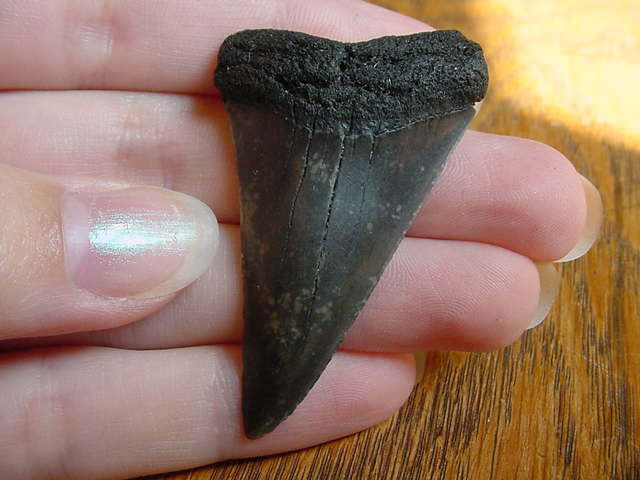 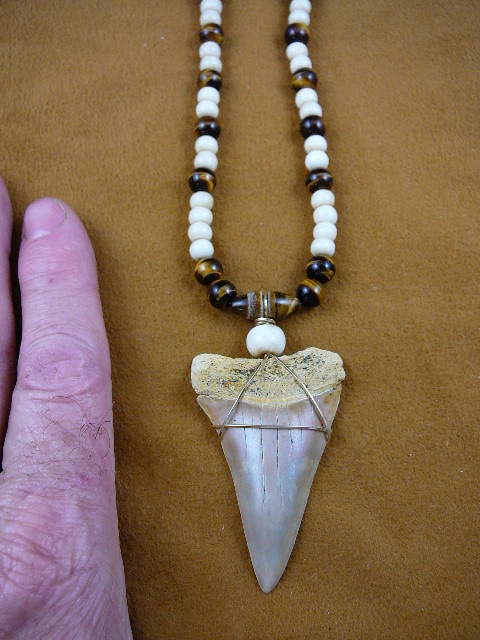 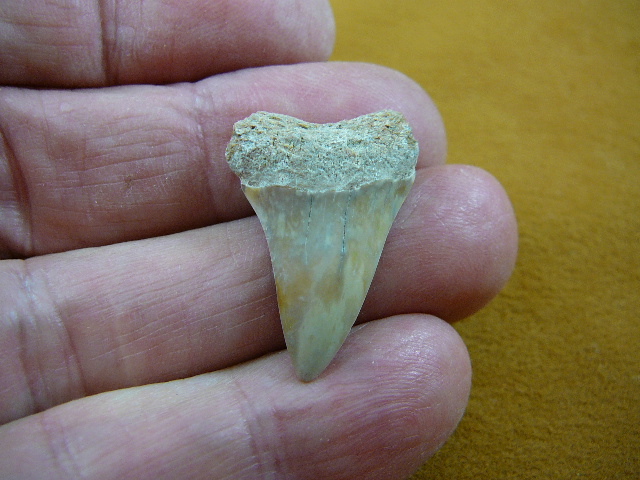 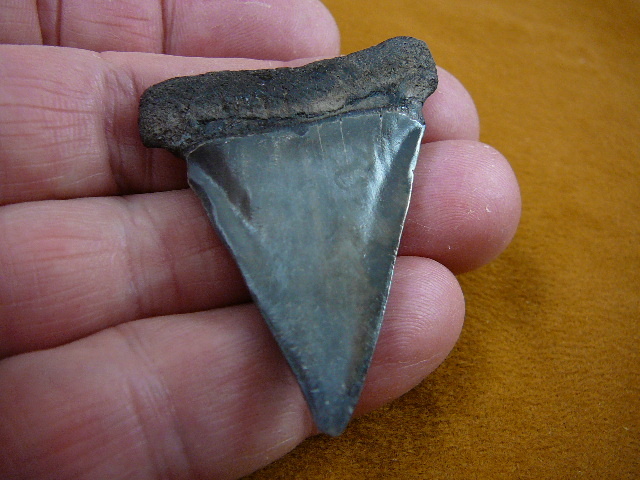 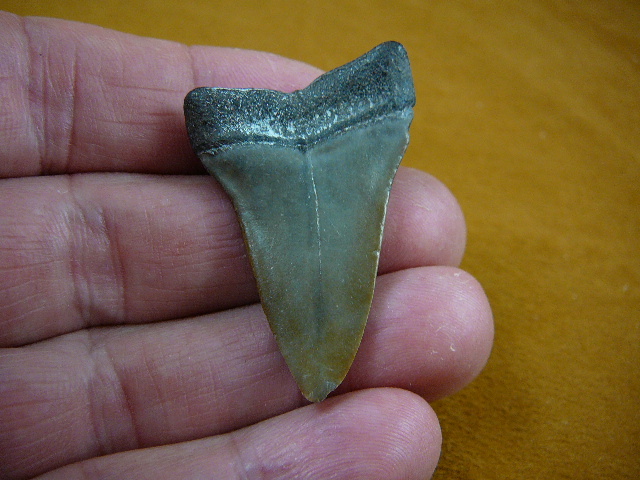 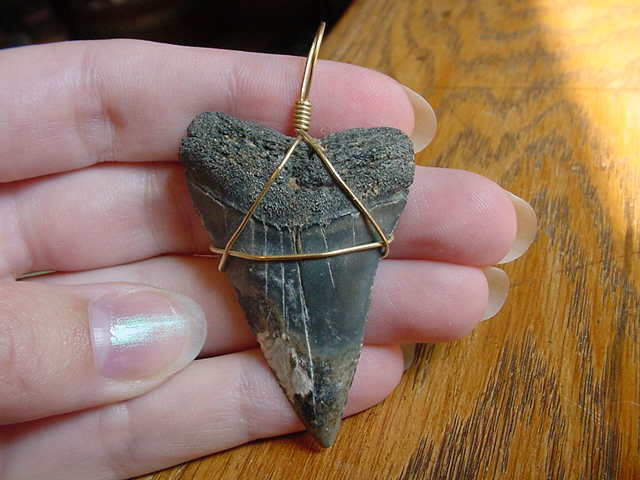 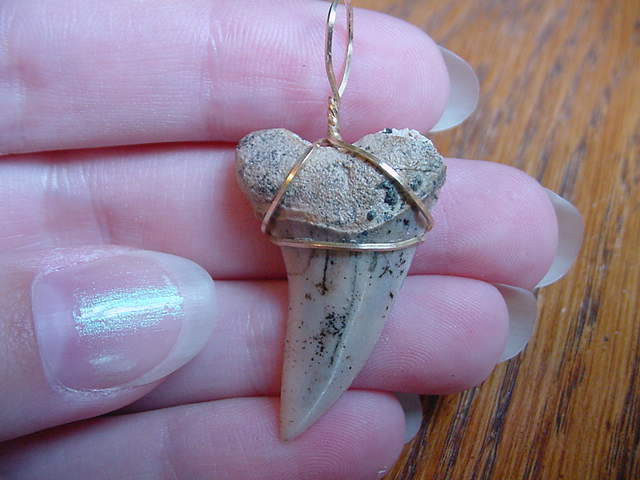 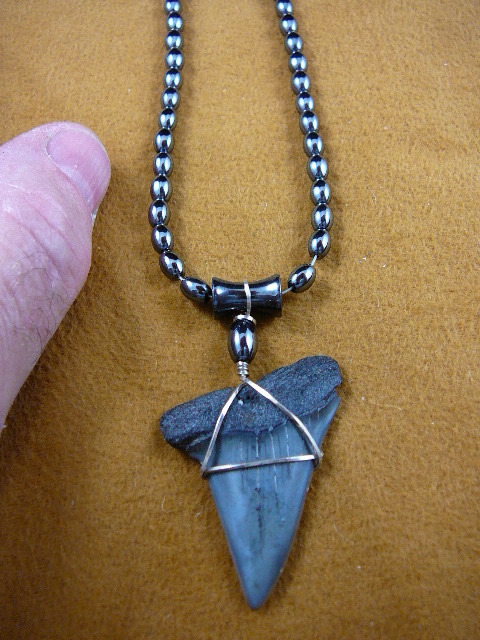 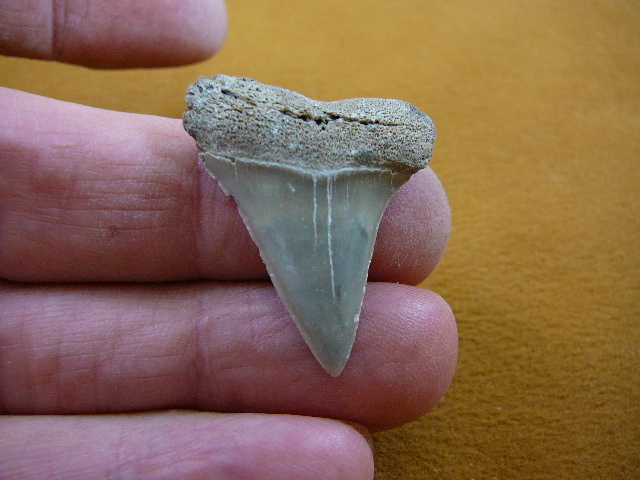 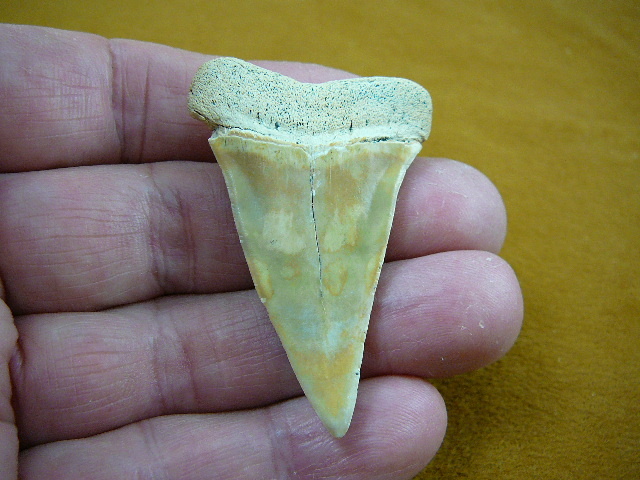 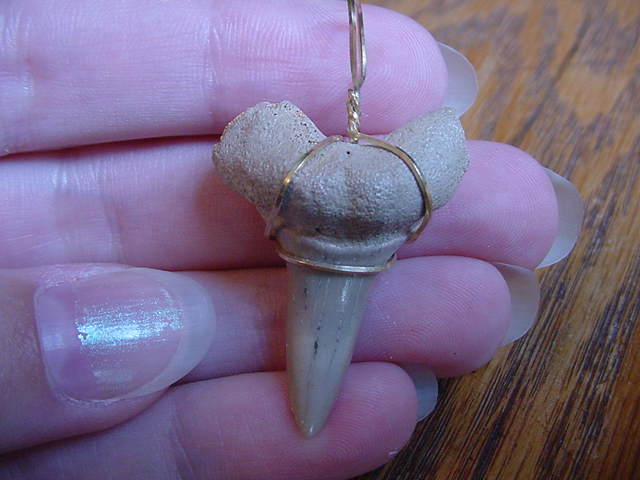 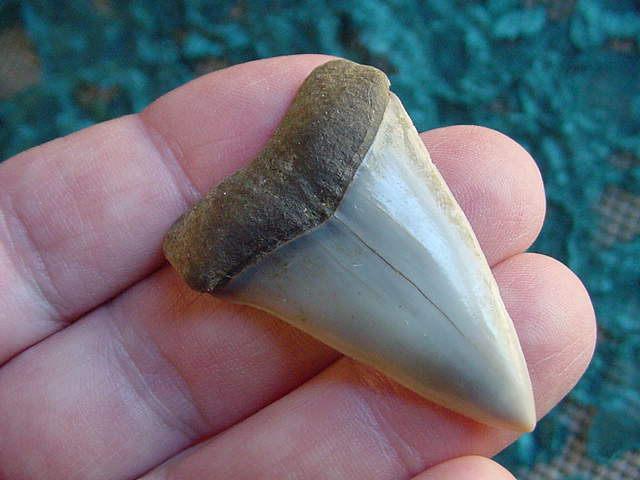 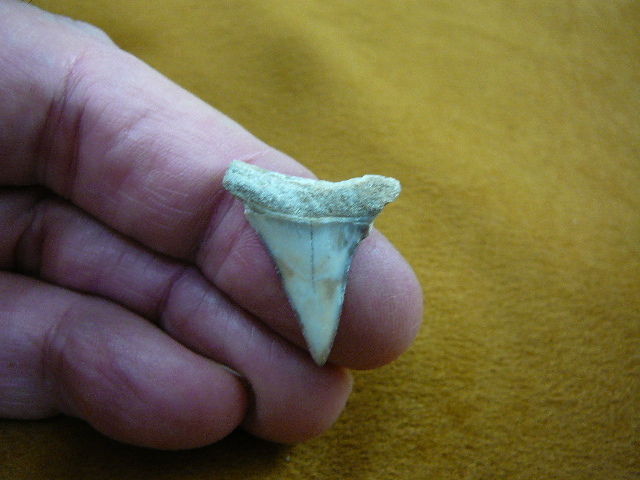 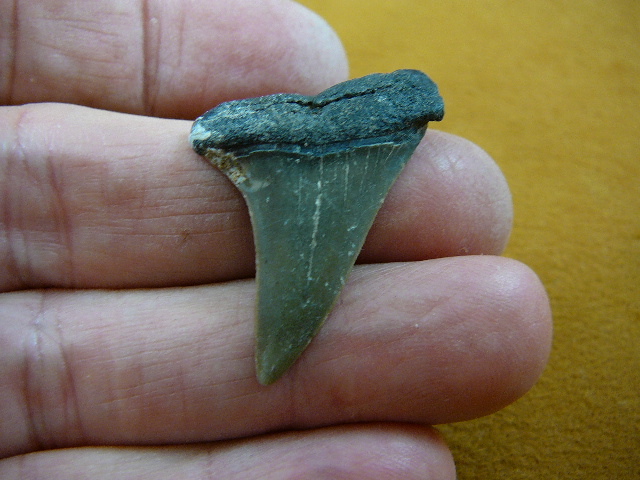 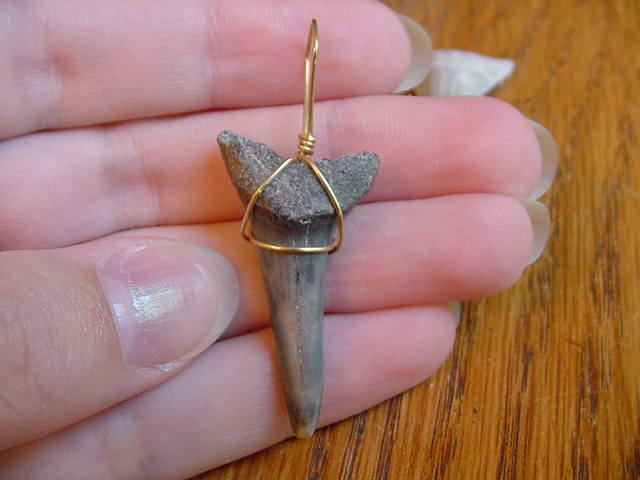 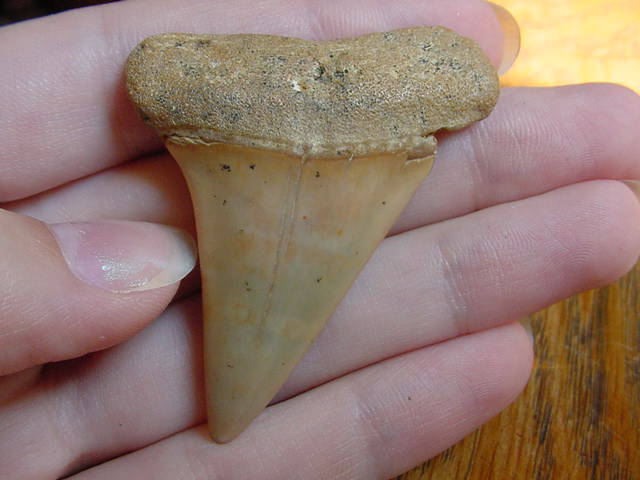 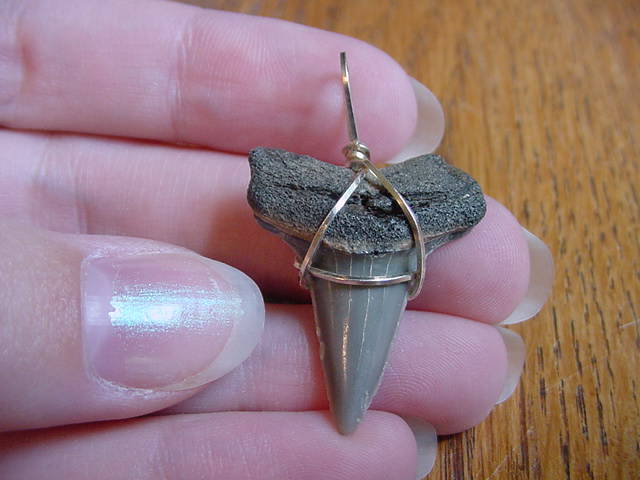 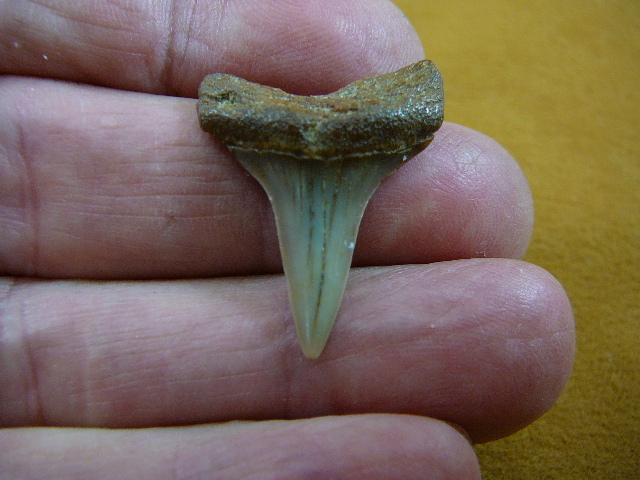 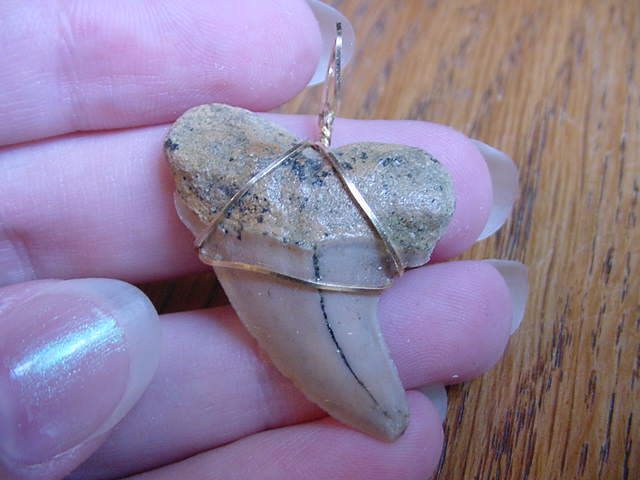 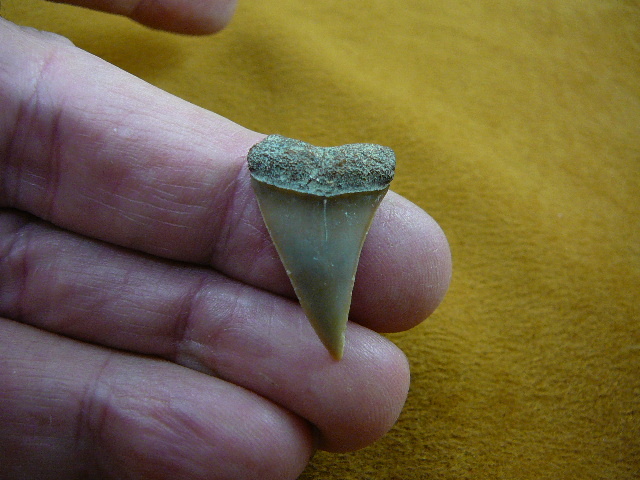 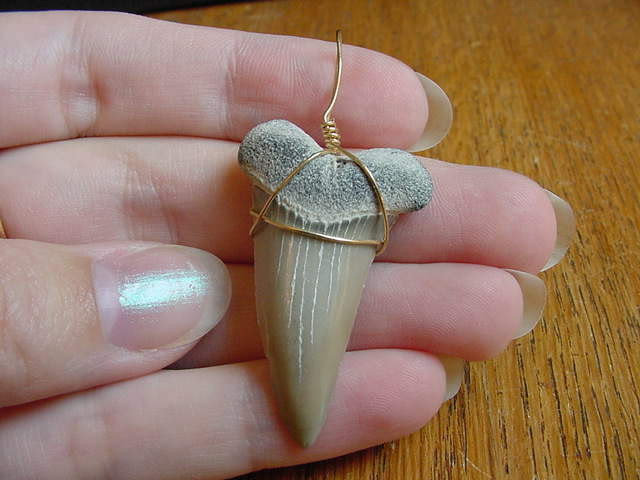 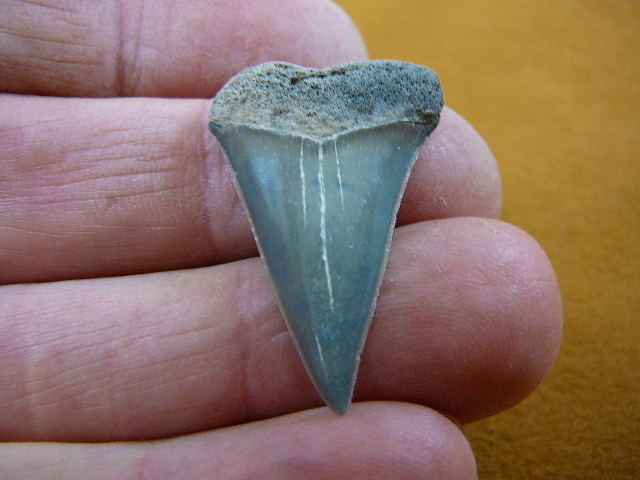 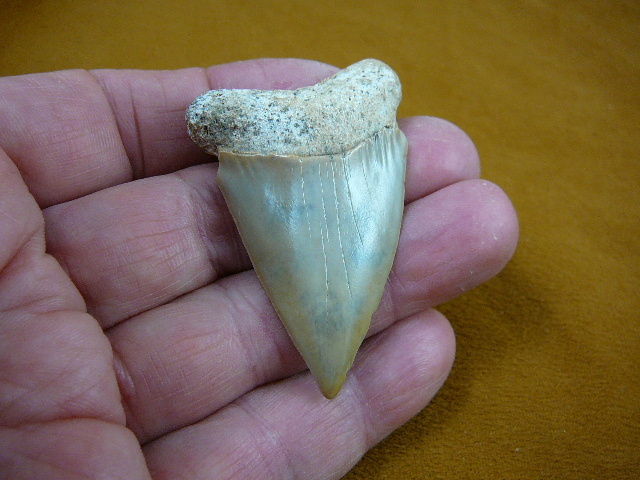 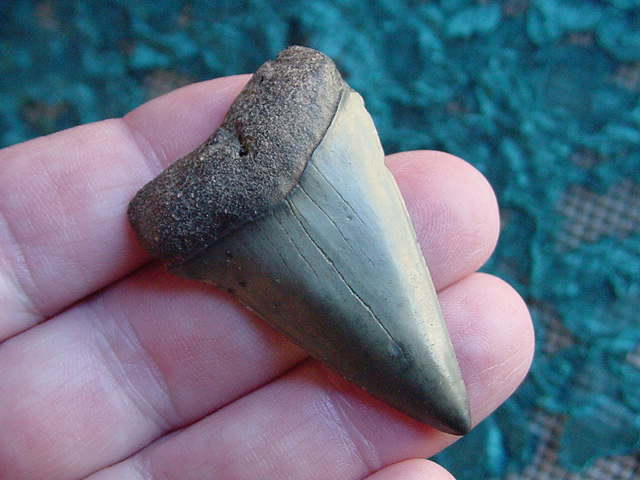 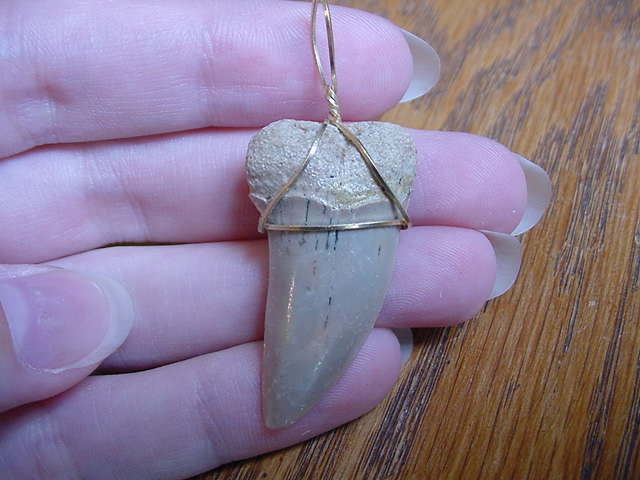 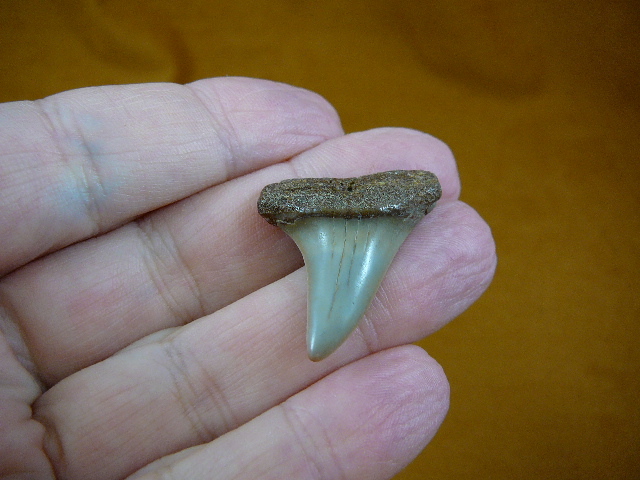 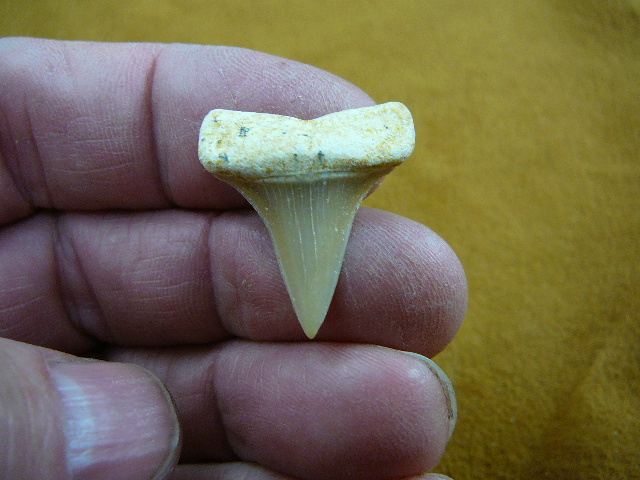 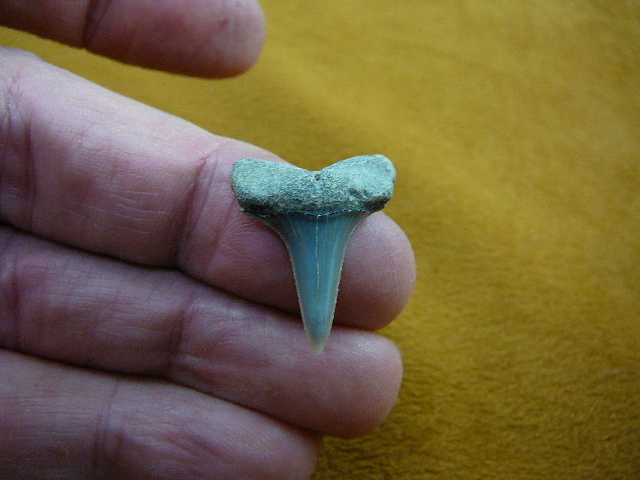 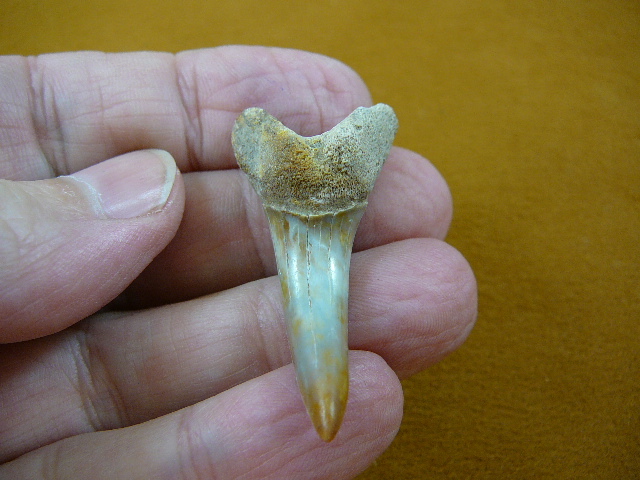 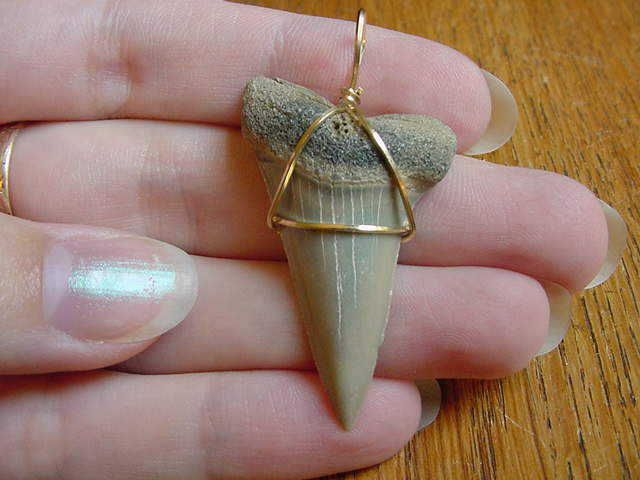 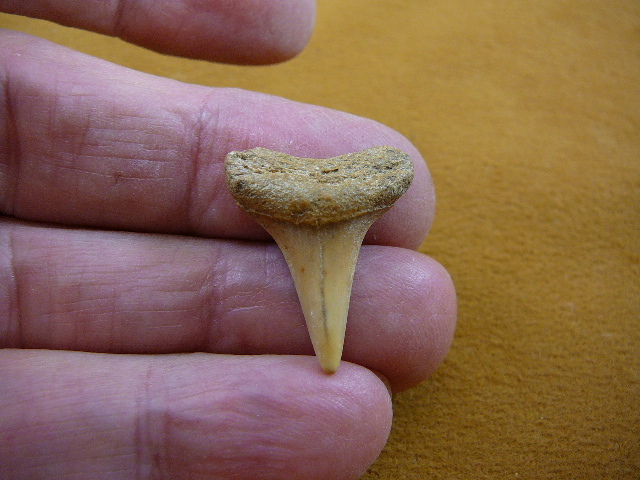 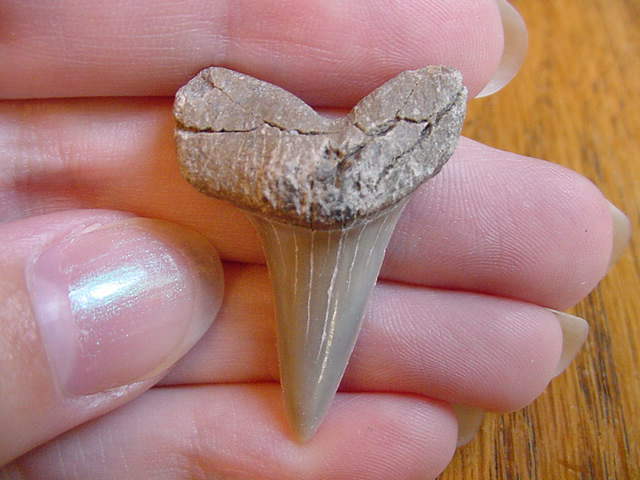 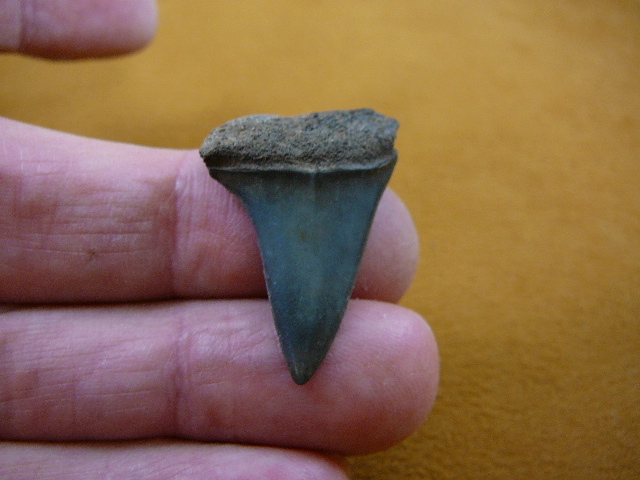 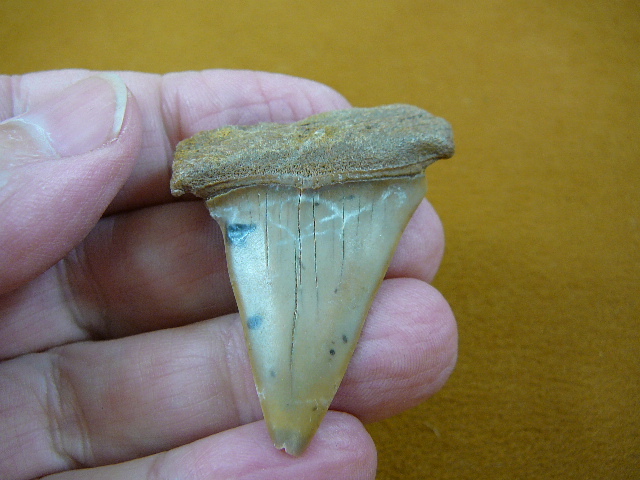 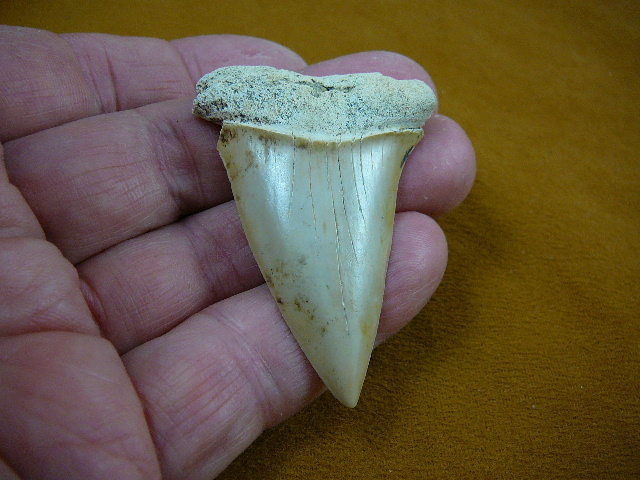 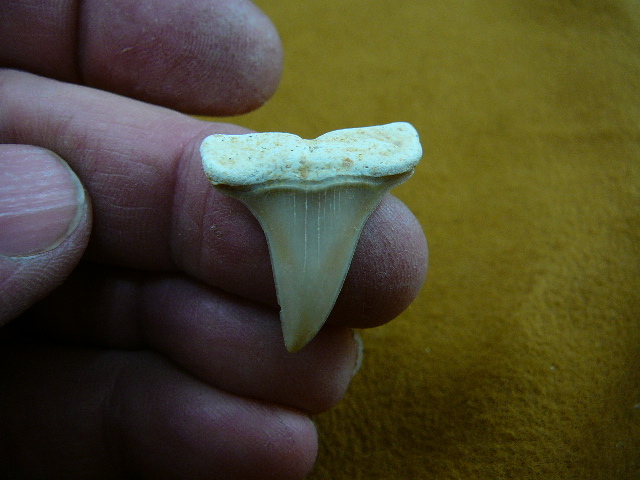 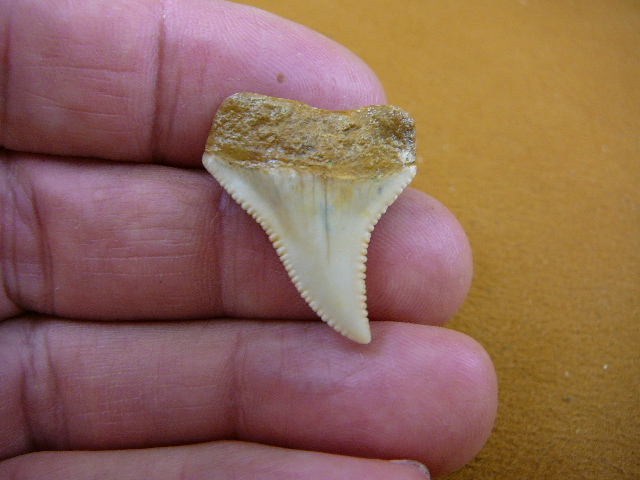 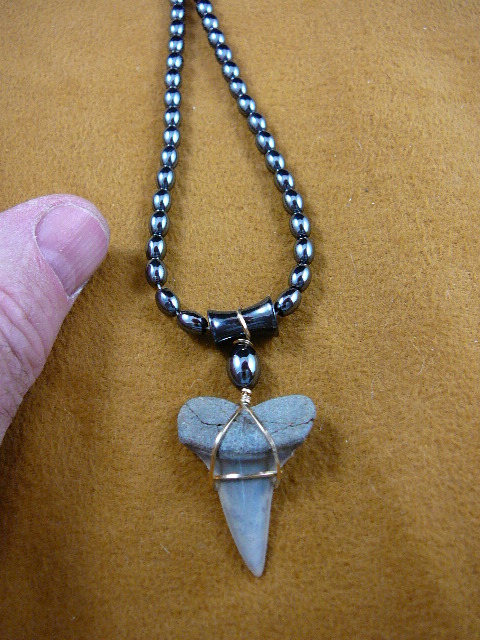 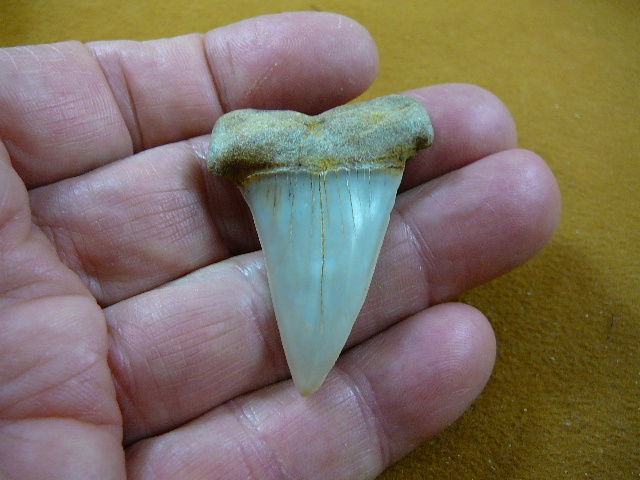 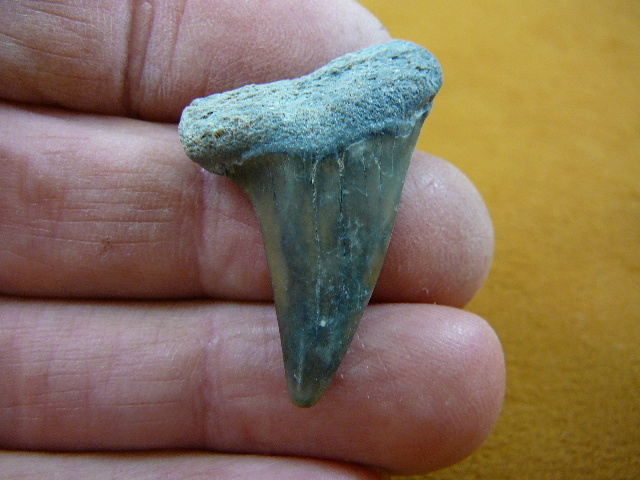 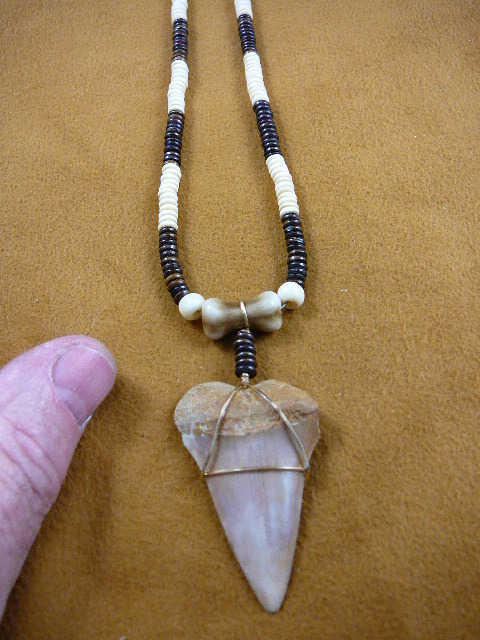 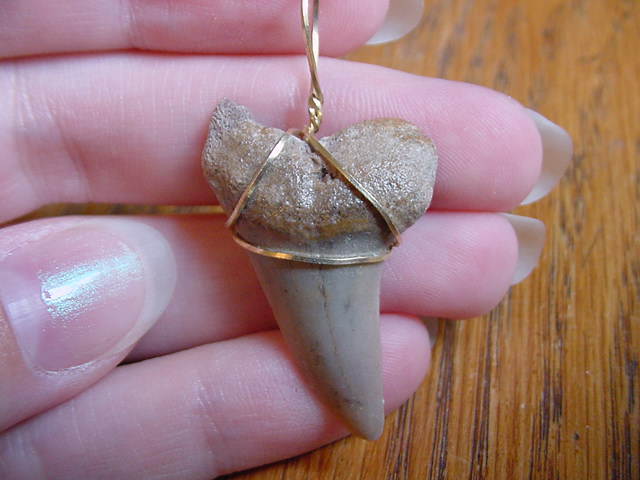 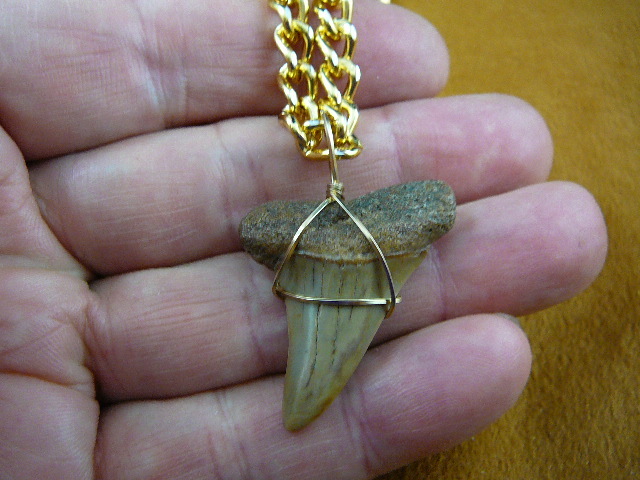 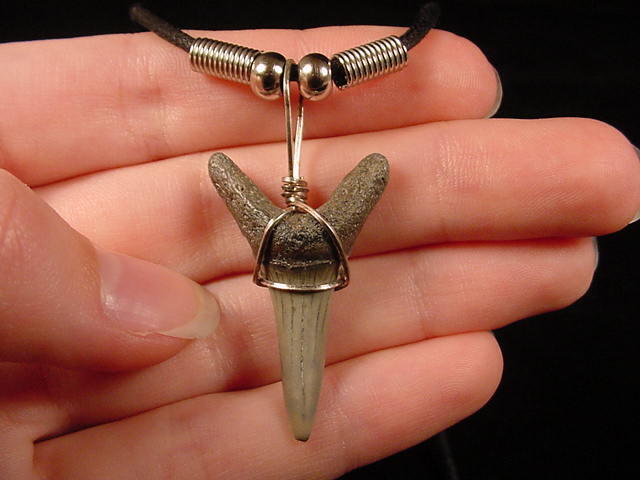 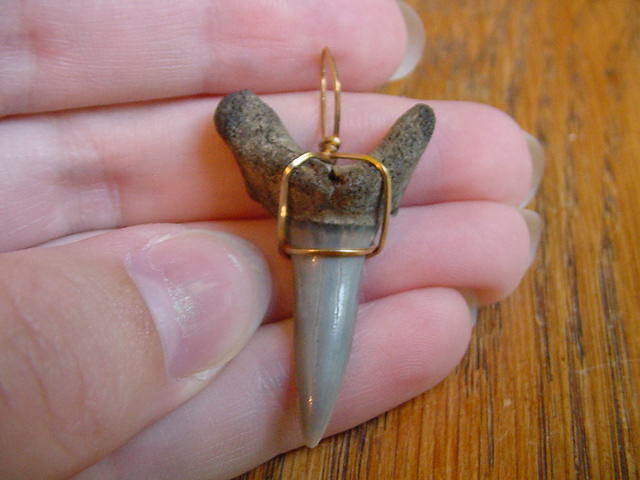 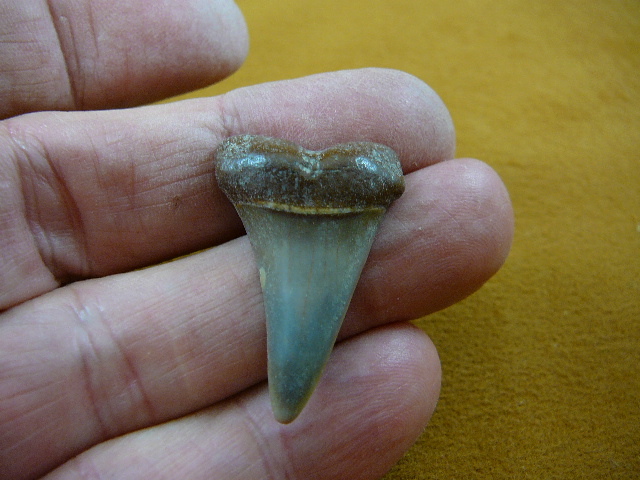 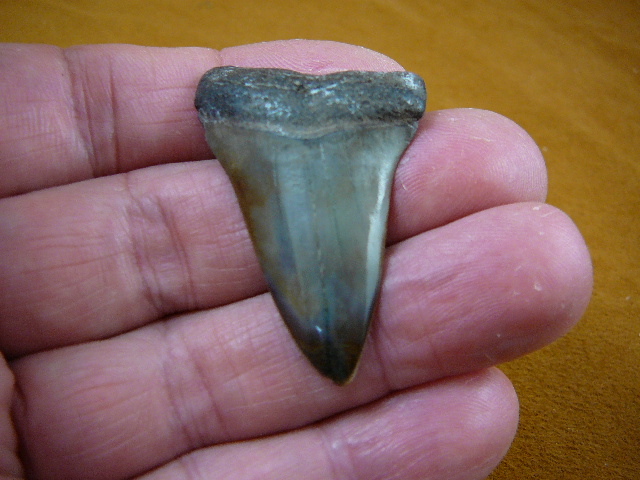 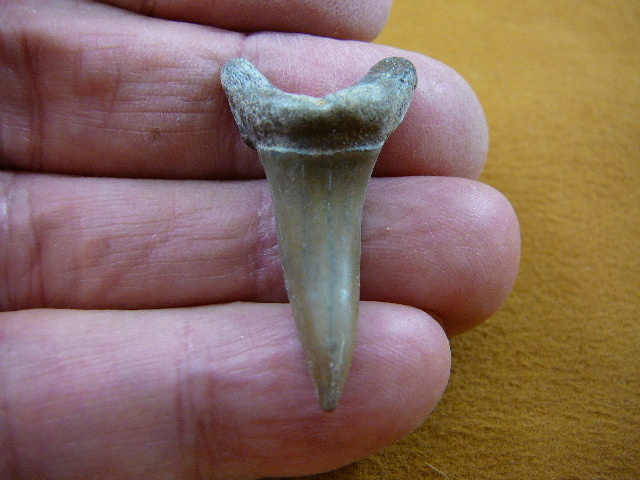 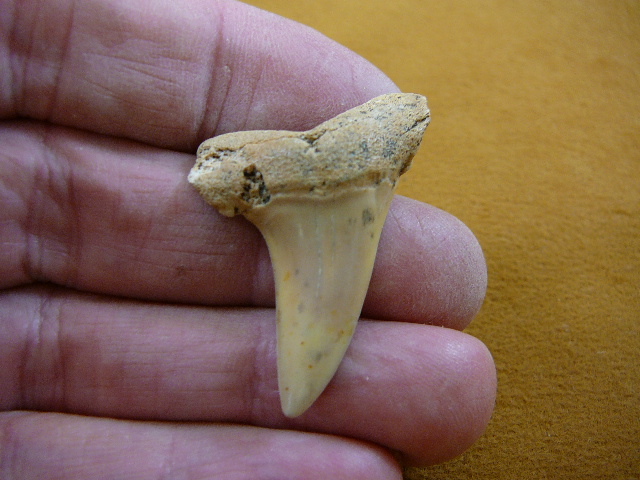 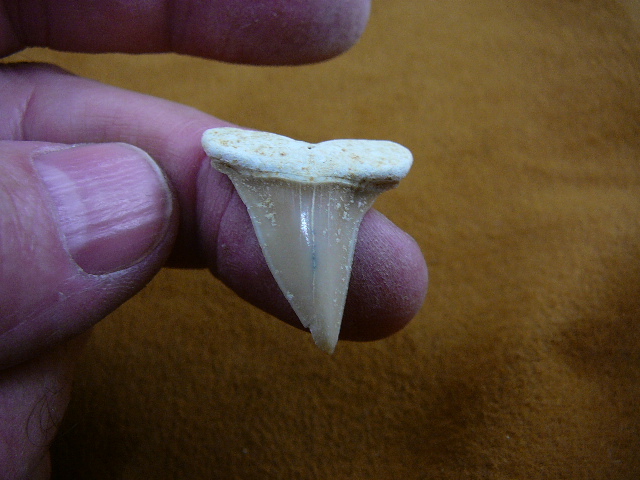 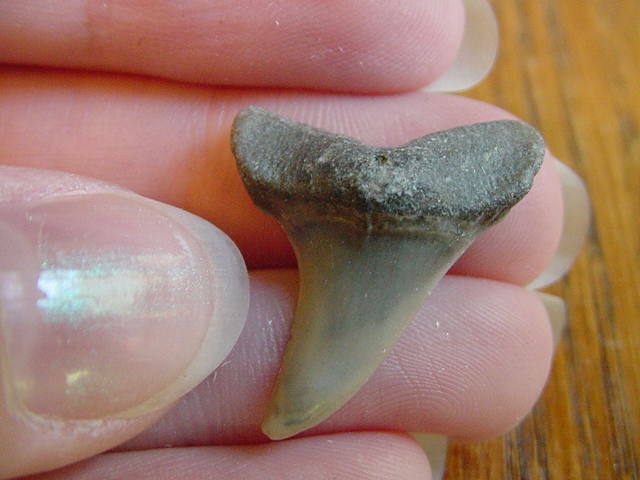 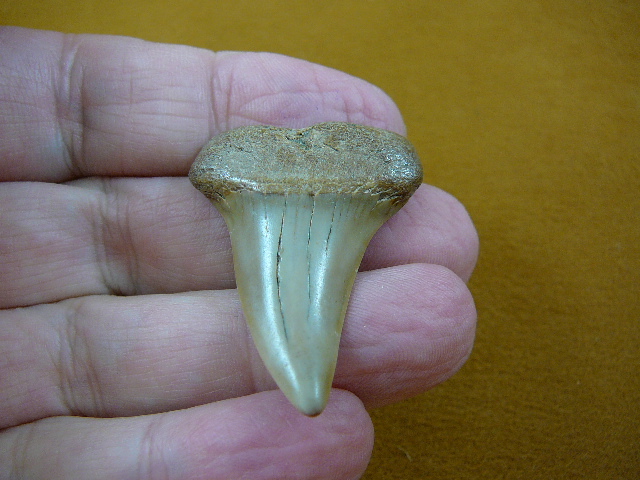 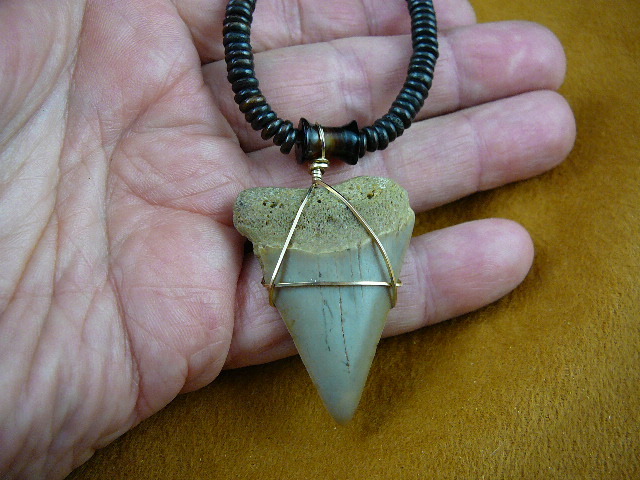 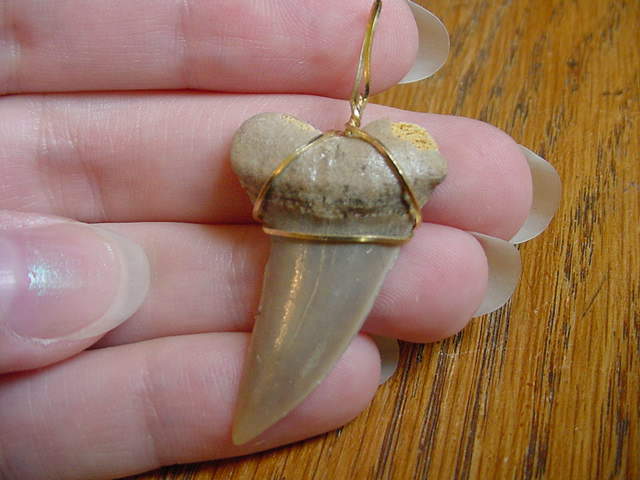 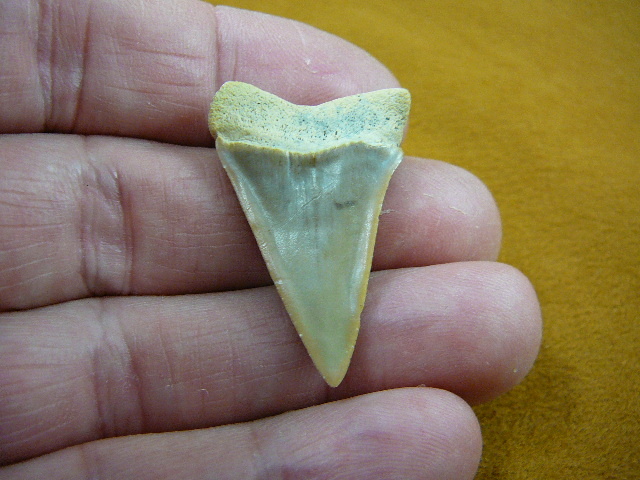 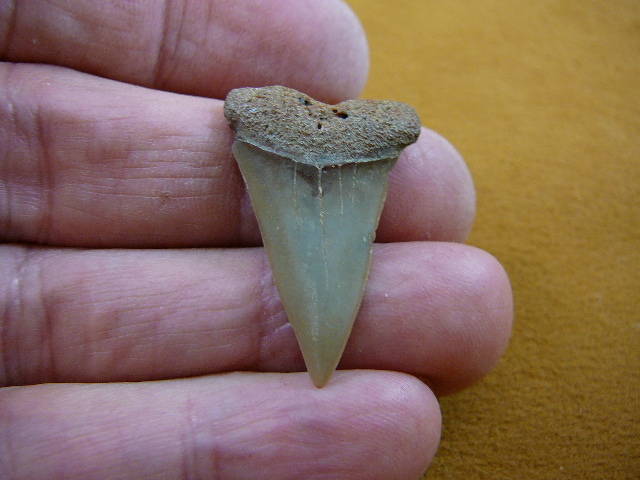 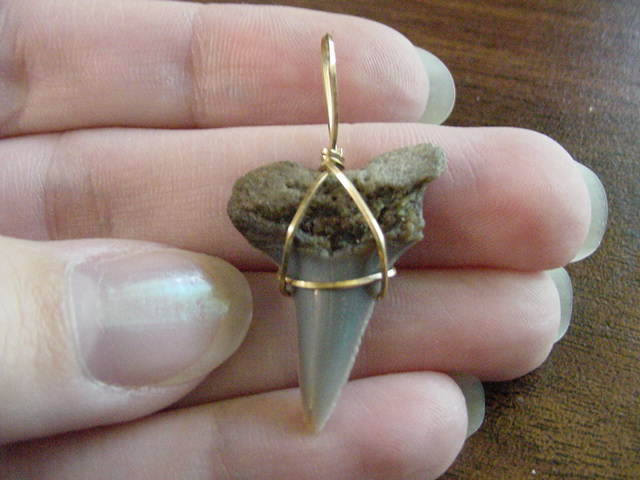 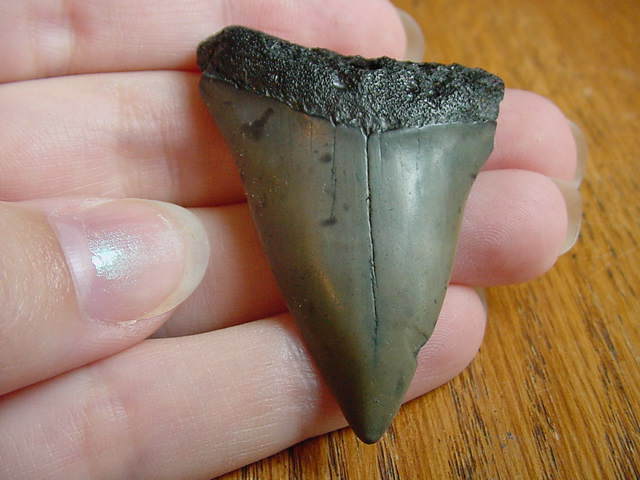 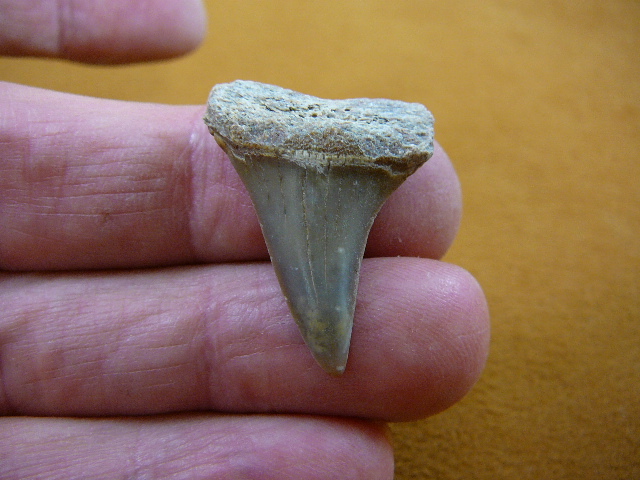 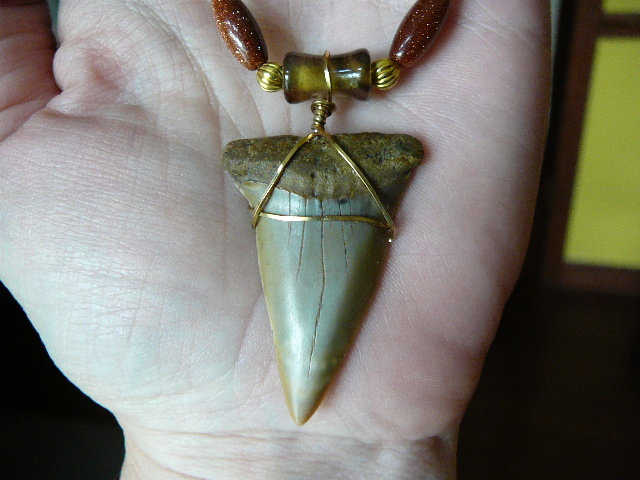 Cool looking tooth with rough top and couple of nicks on left side. 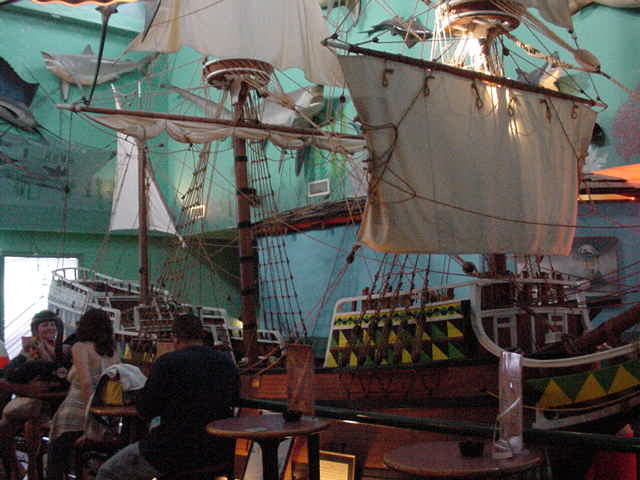 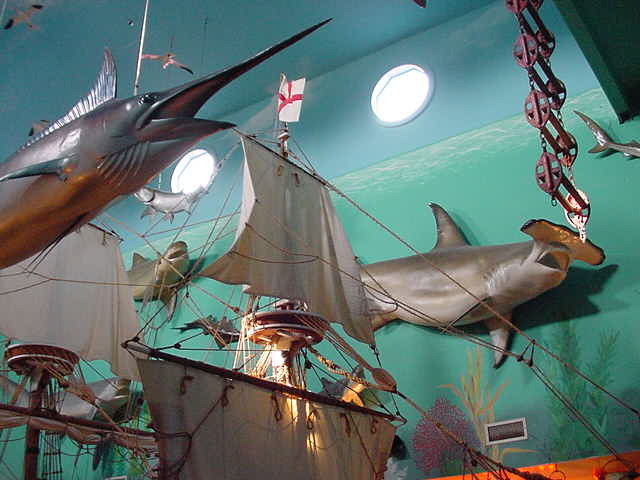 Sizes from 1-1/4 to 1-1/2"
These are pictures of the "dry sea" at Benjamin's Calabash Seafood in Myrtle Beach in the bar area, which includes a full size pirate ship, megalodon jaws and a great white! 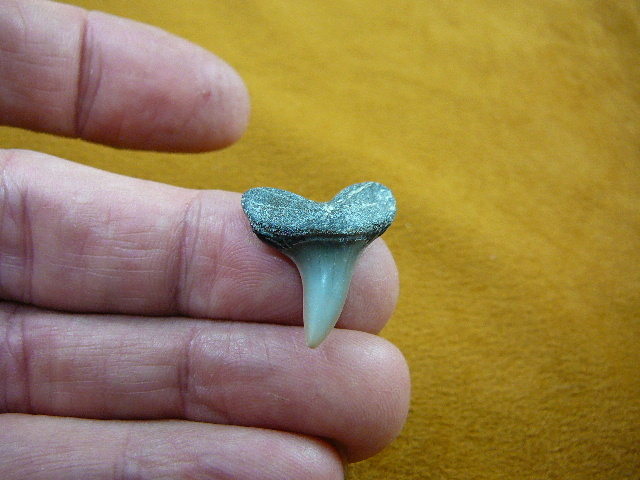 Yeeks!